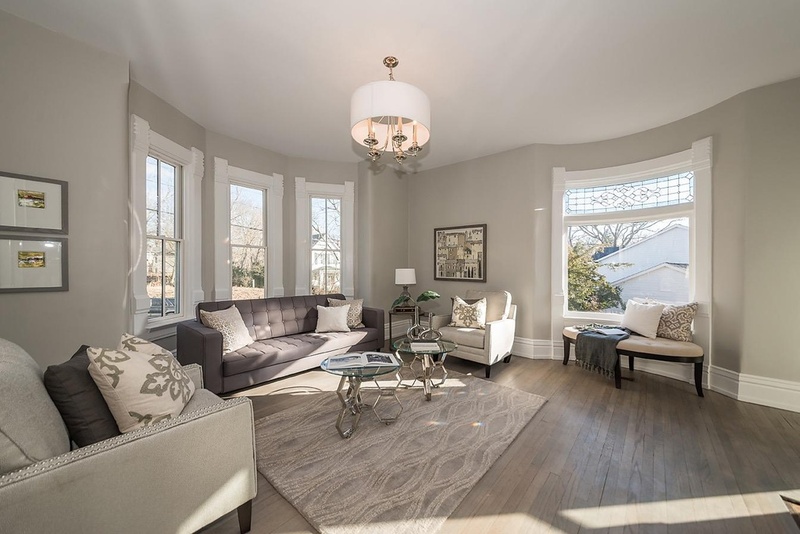 It's a marriage of Victorian charm with high-end updates and conveniences, nestled in the heart of Mt. 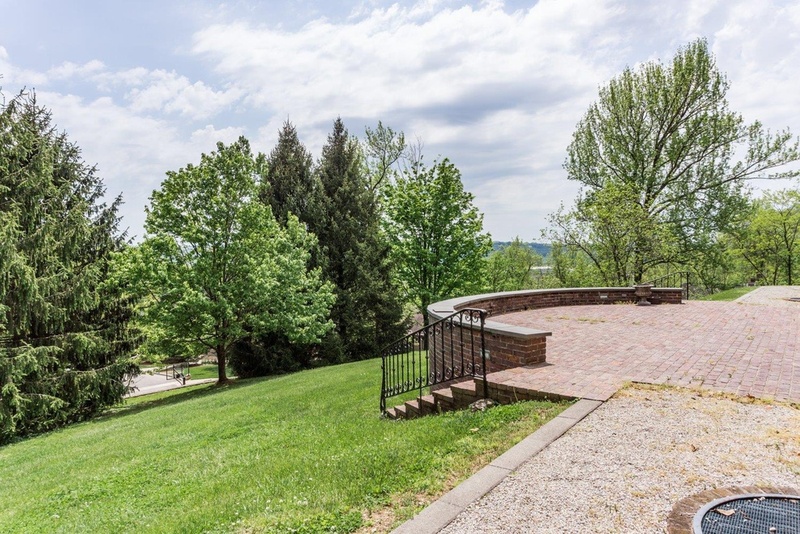 Lookout! 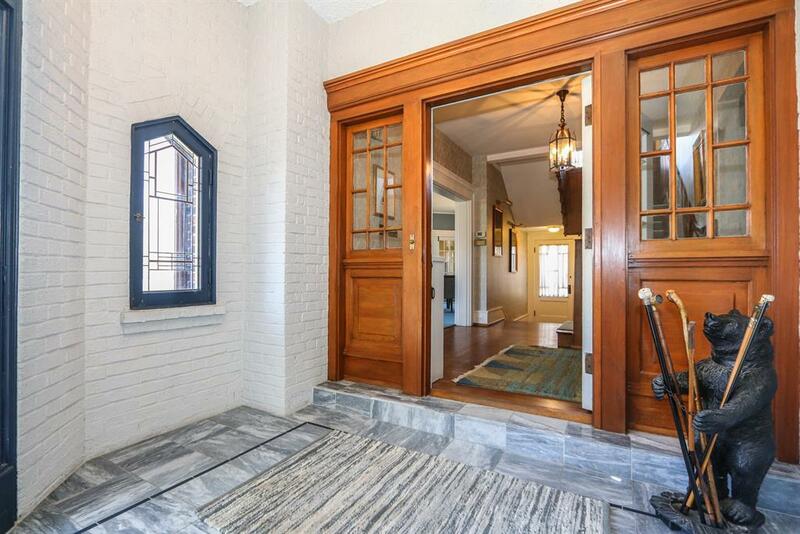 Click for a sneak peek inside this Listing of the Week! 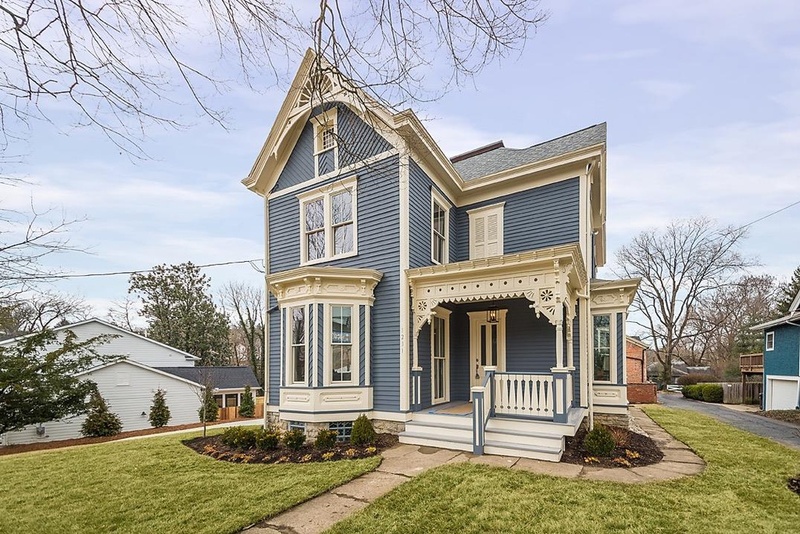 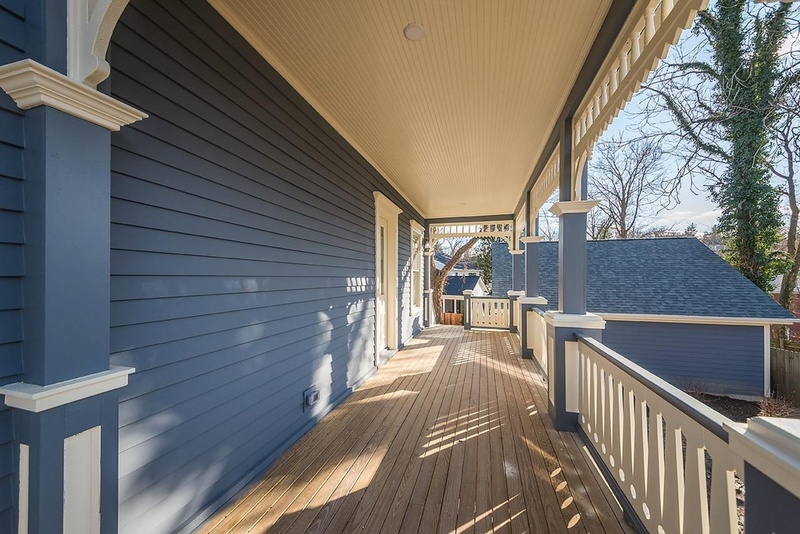 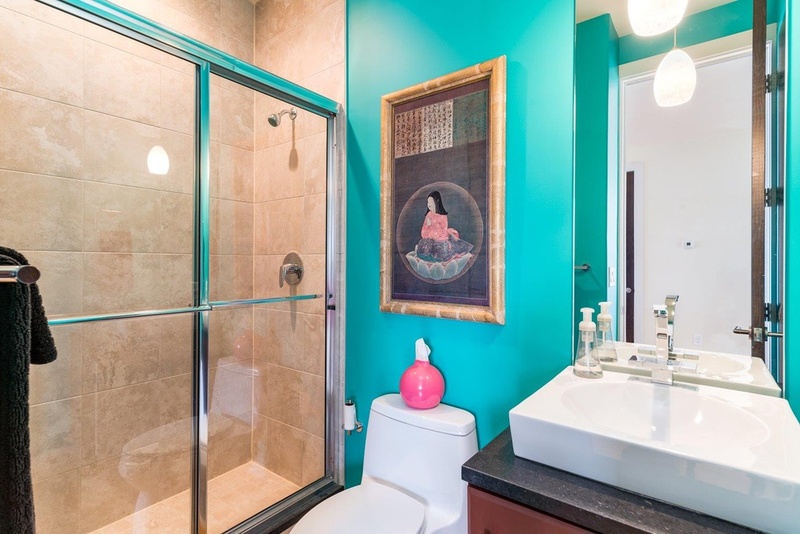 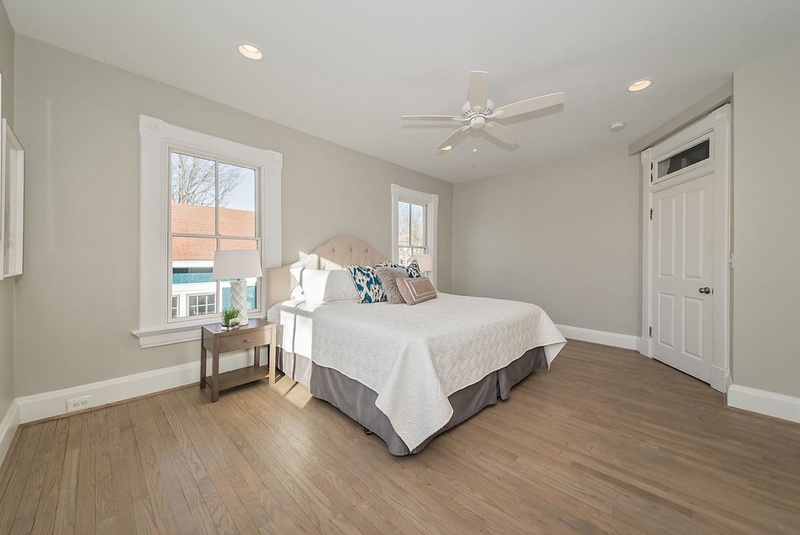 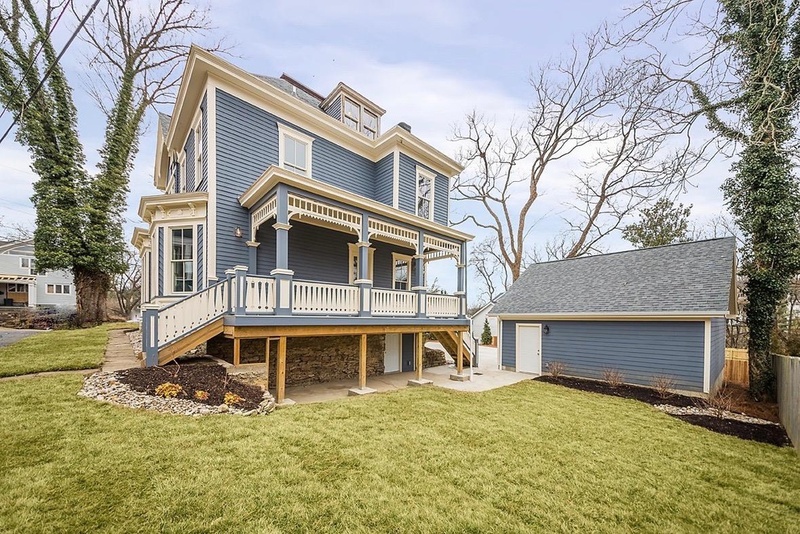 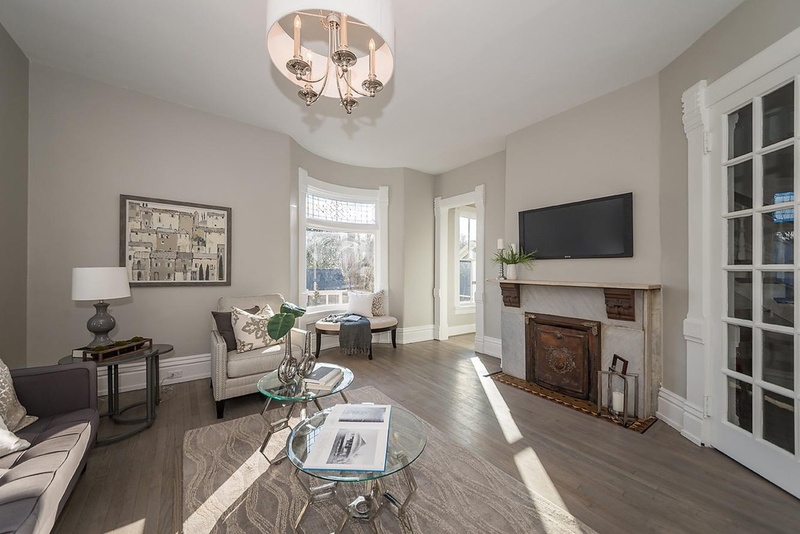 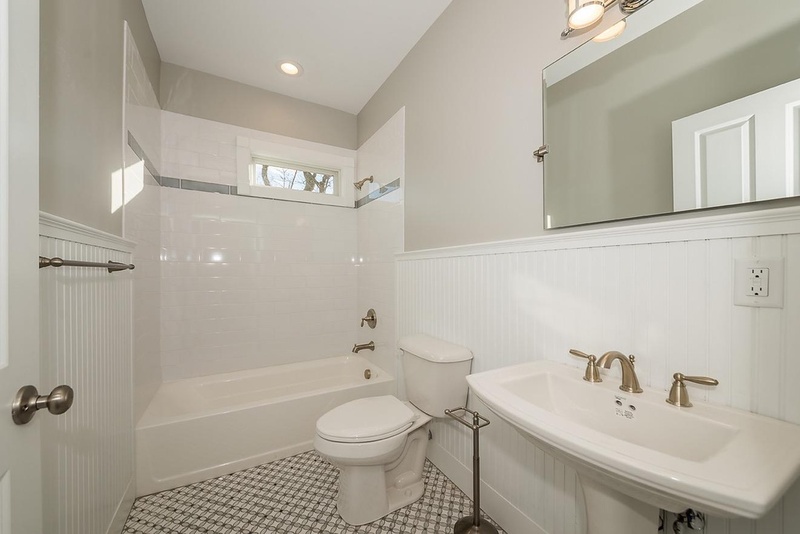 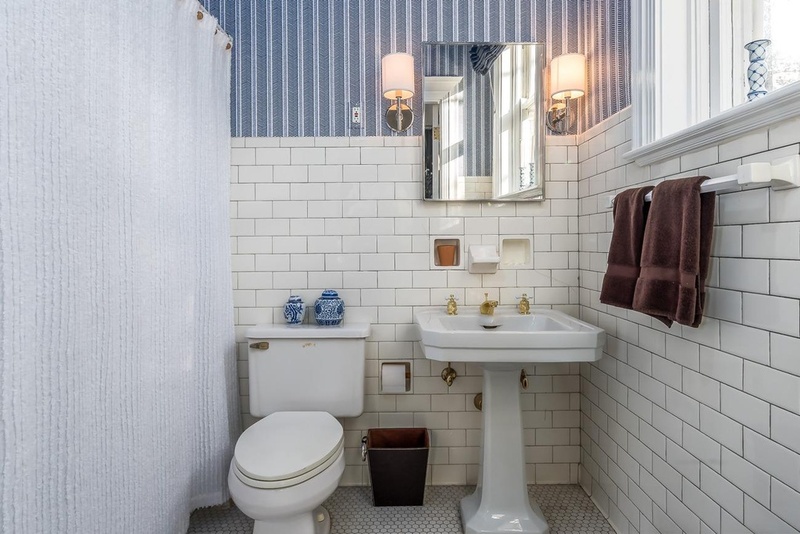 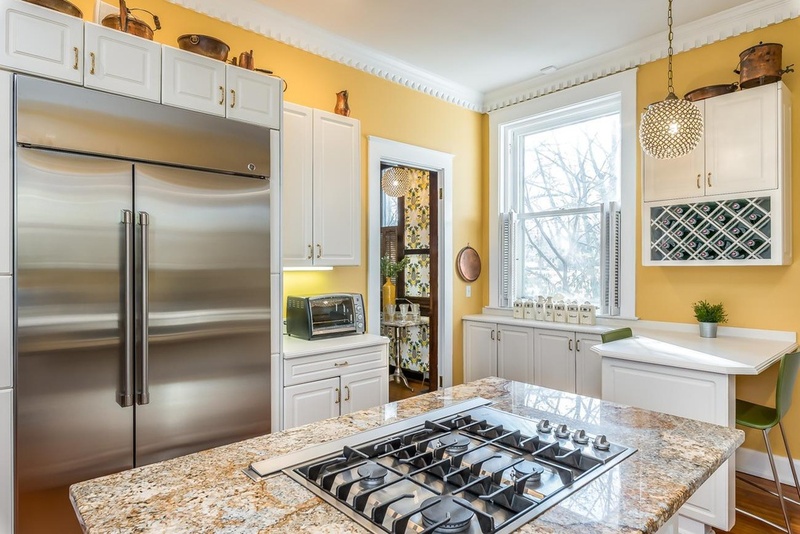 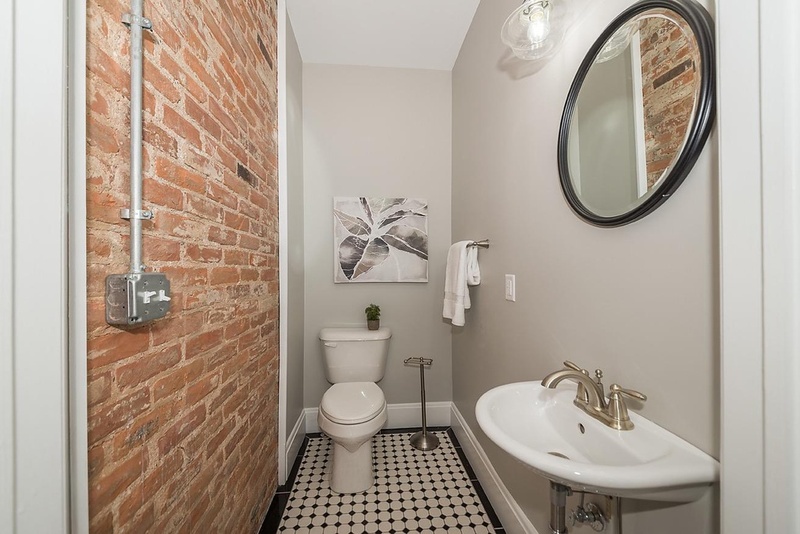 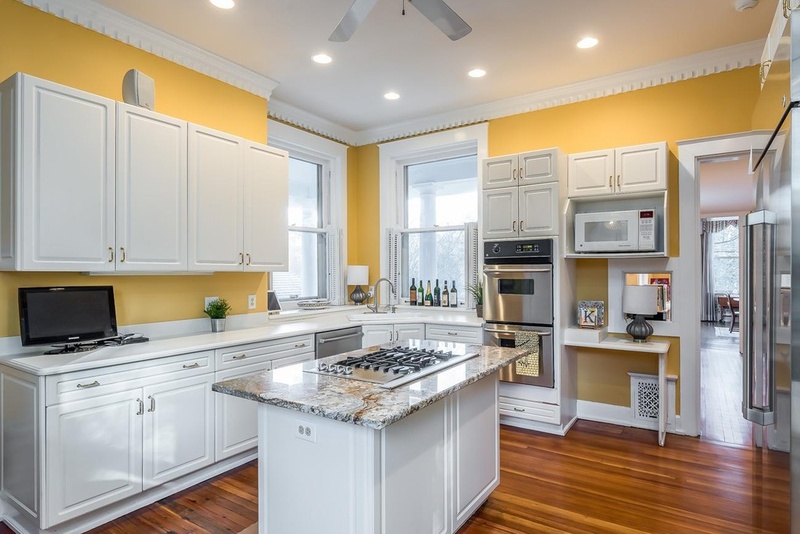 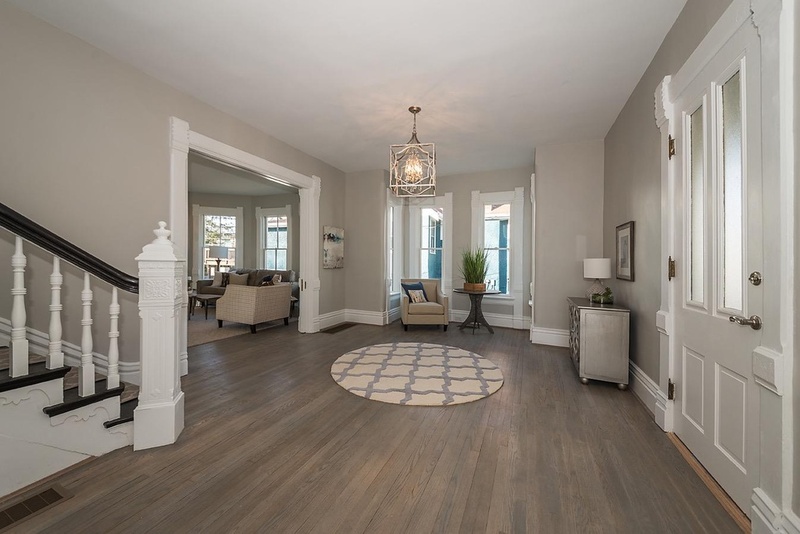 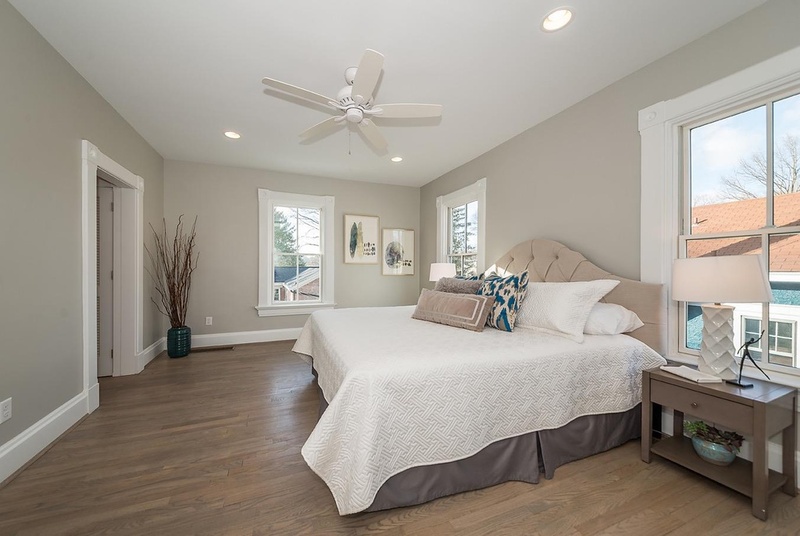 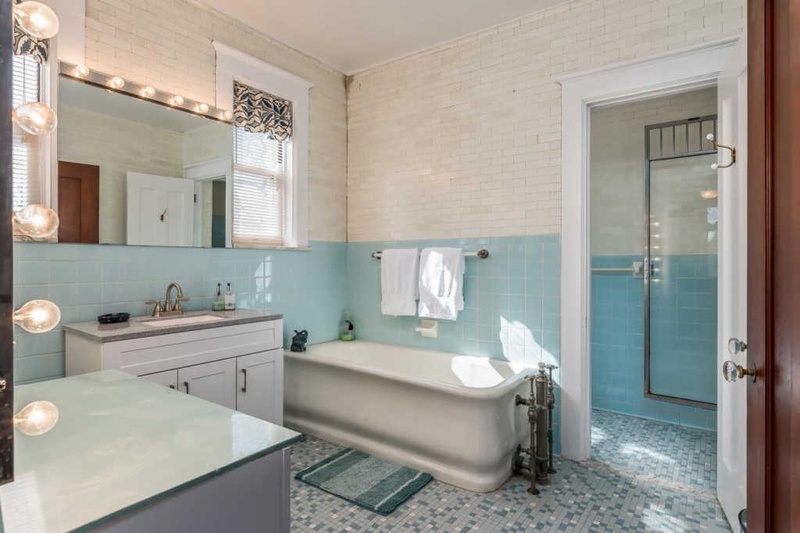 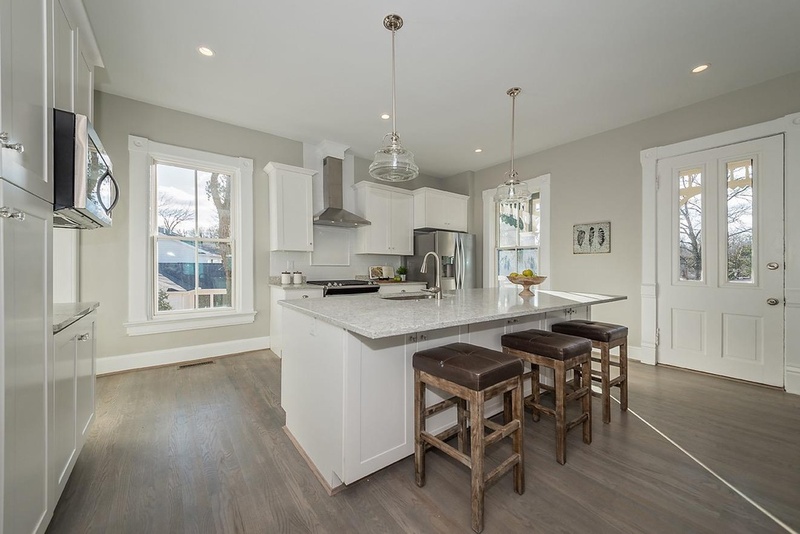 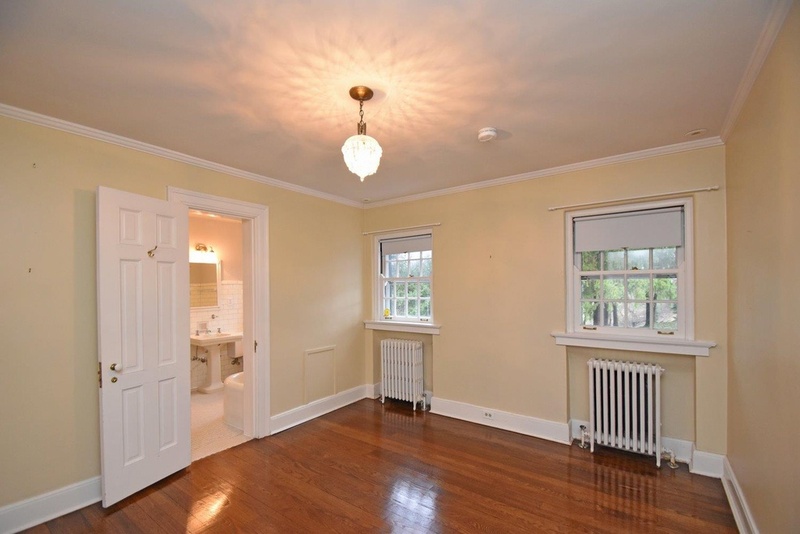 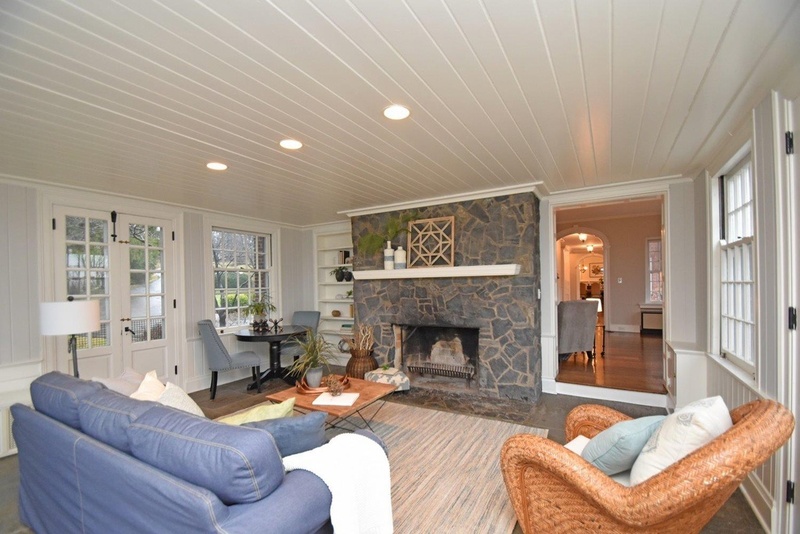 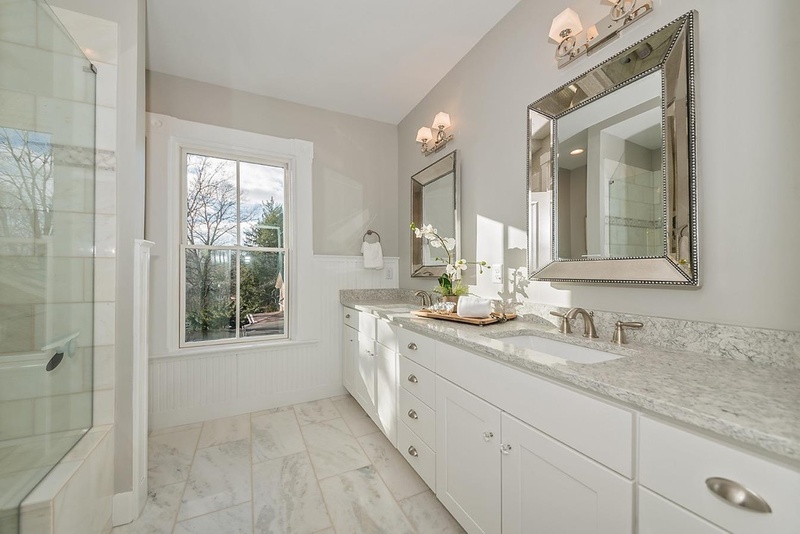 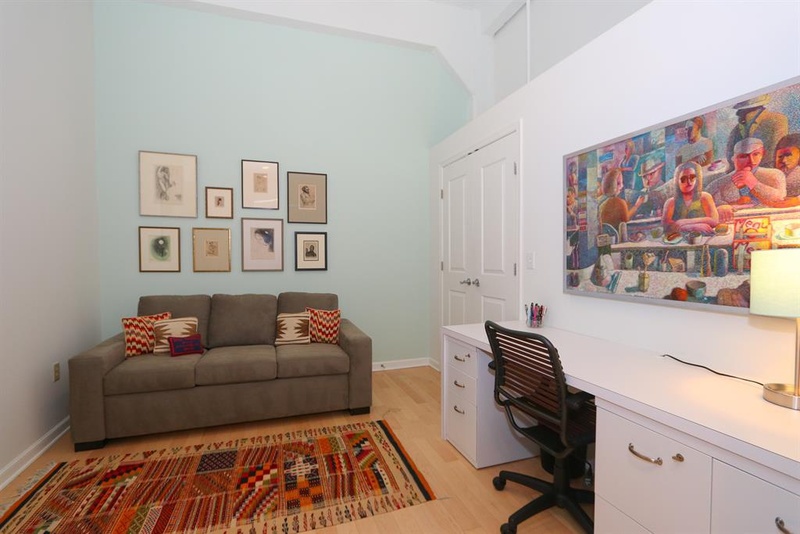 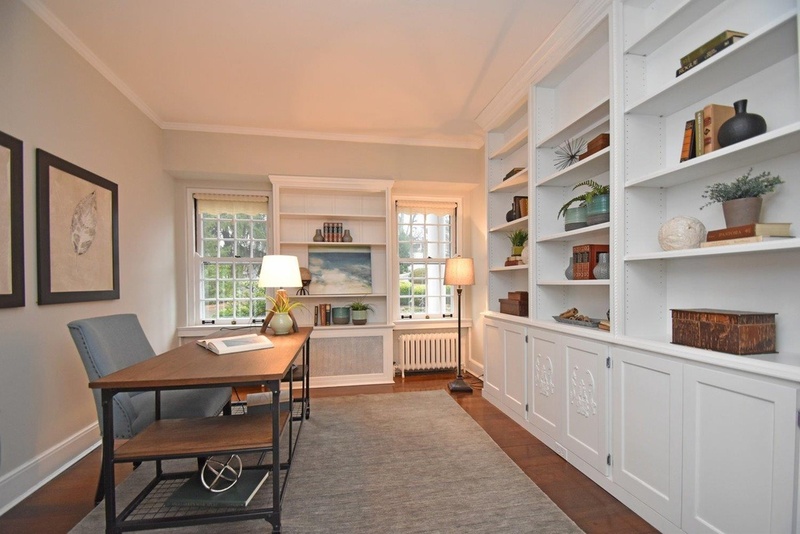 This Victorian home is completely remodeled but hasn’t lost its charm. 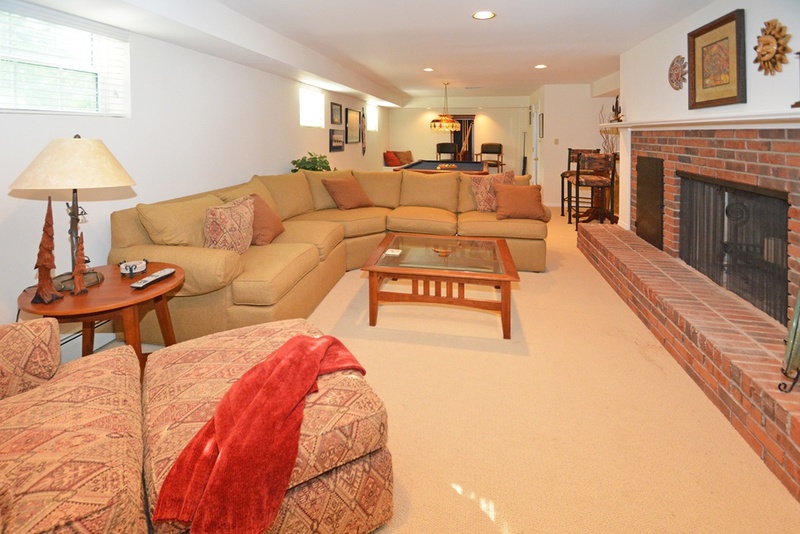 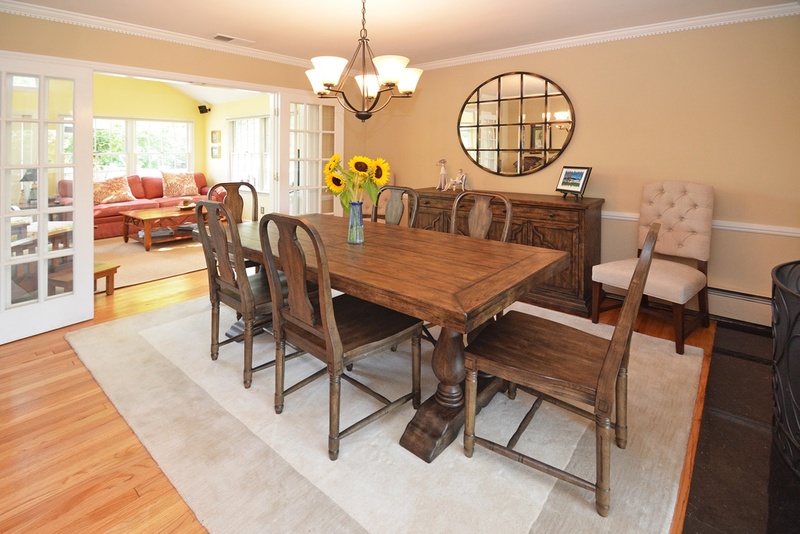 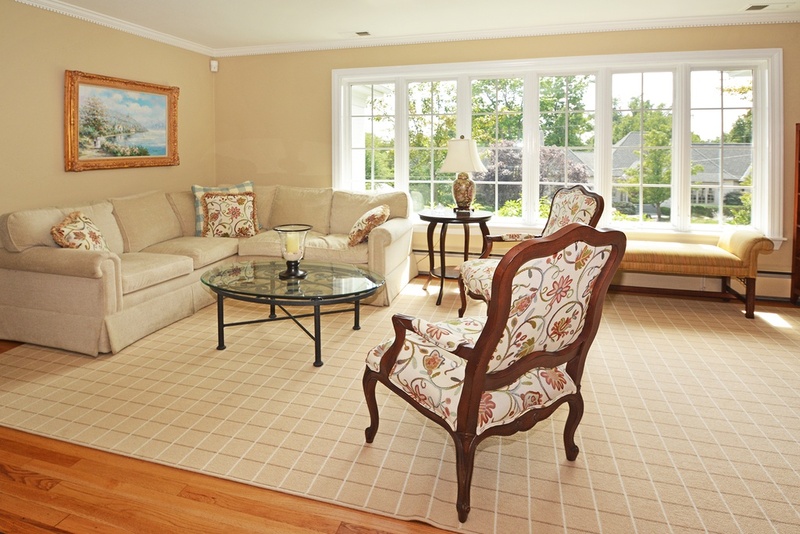 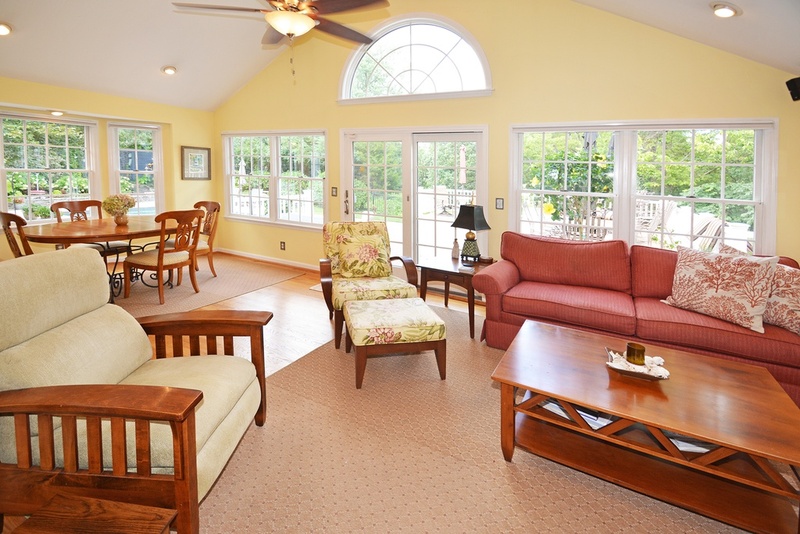 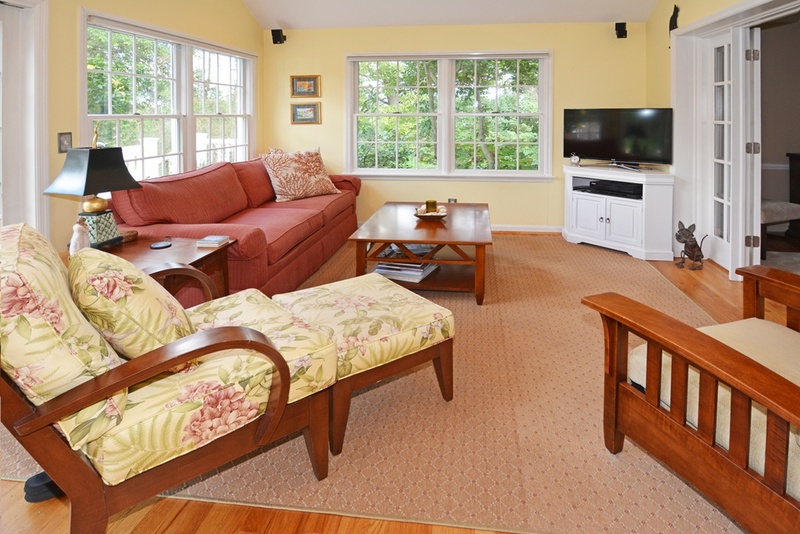 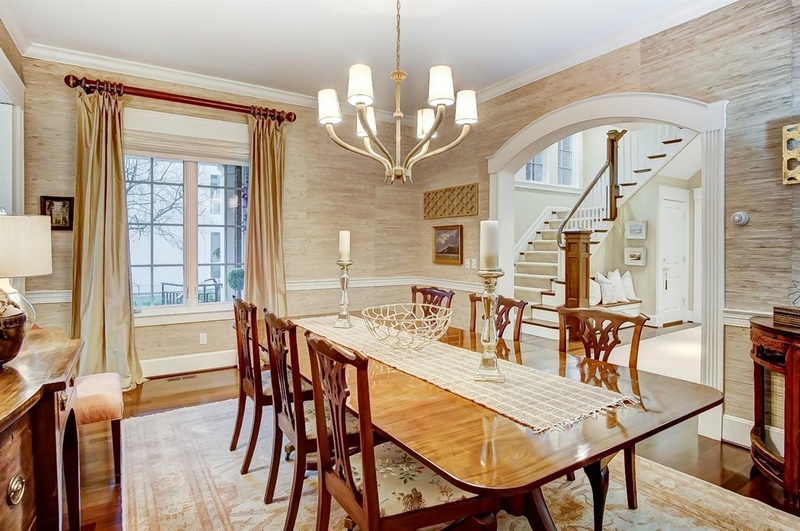 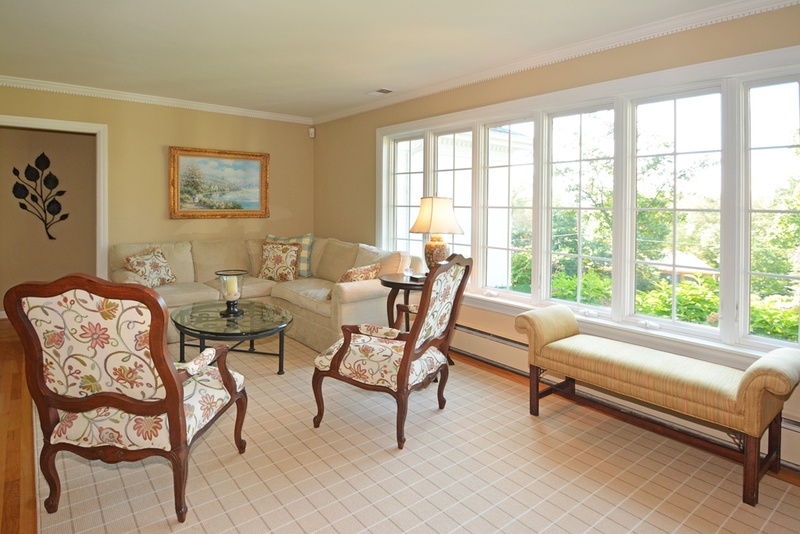 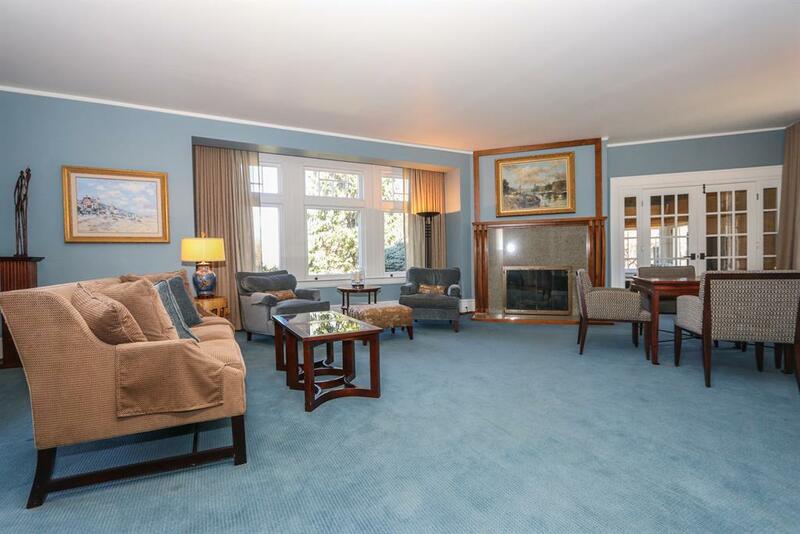 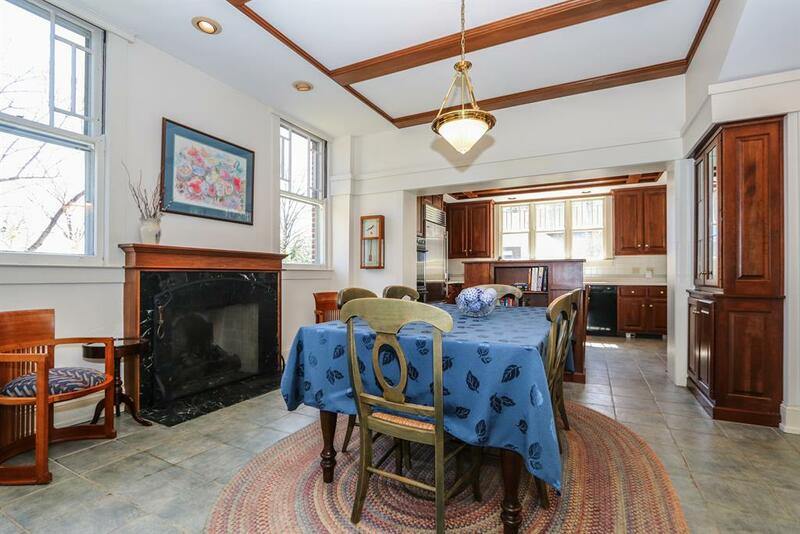 It’s an open-concept home with an eat-in, walk-out kitchen, a formal living room, and dining rooms. 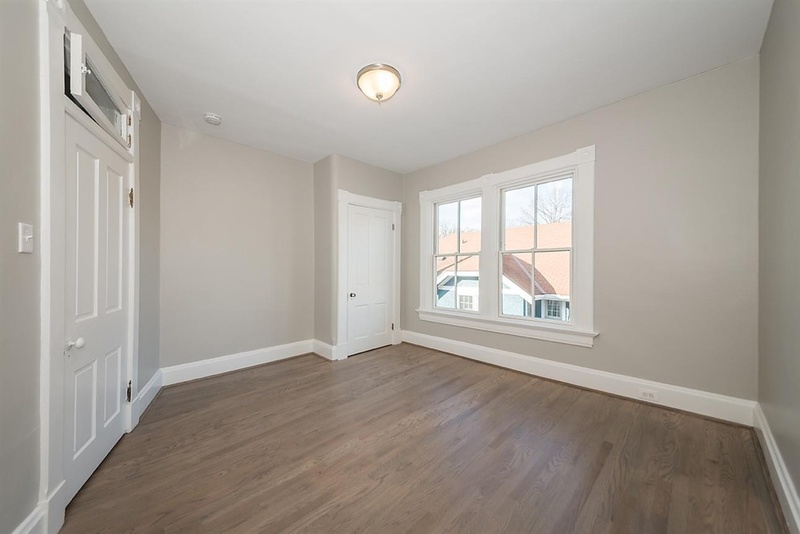 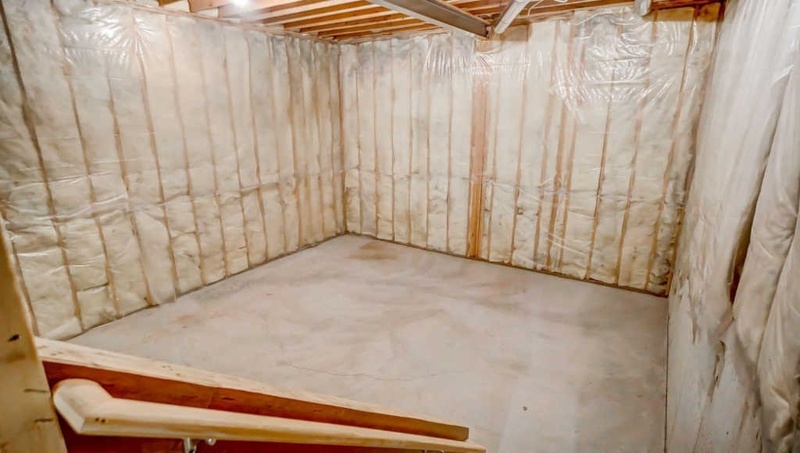 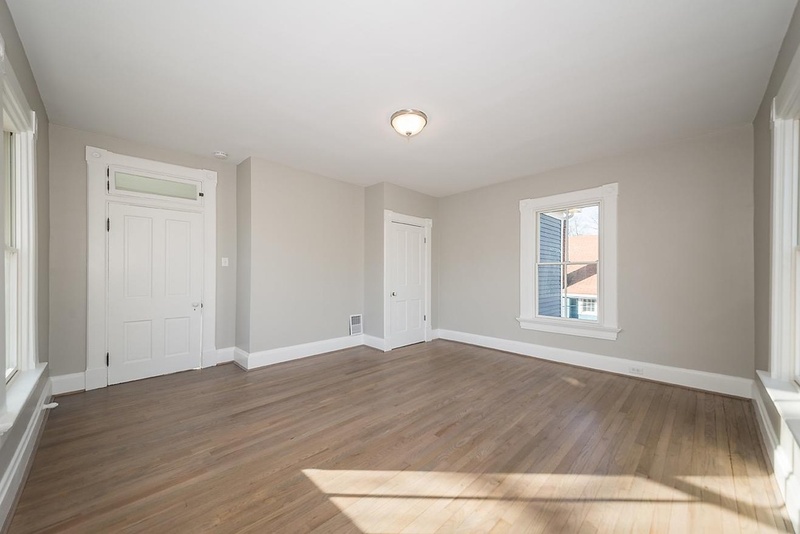 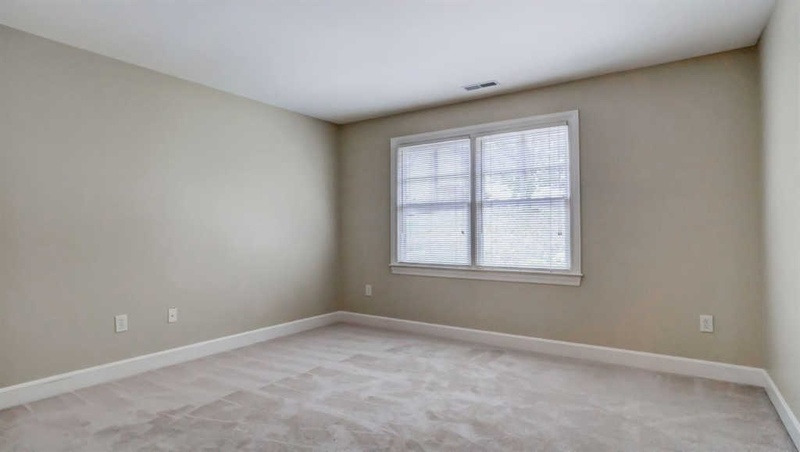 The 4-bedroom, 5-bathroom home has hardwood floors, all-new plumbing, 95%+ new electrical, has been structurally improved, has a new roof, and two new HVAC units. 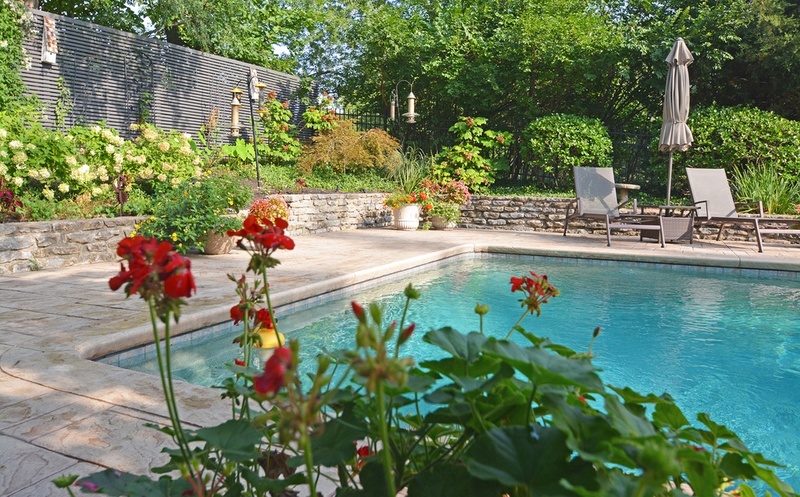 We’re living the English countryside life in this week’s Listing of the Week! 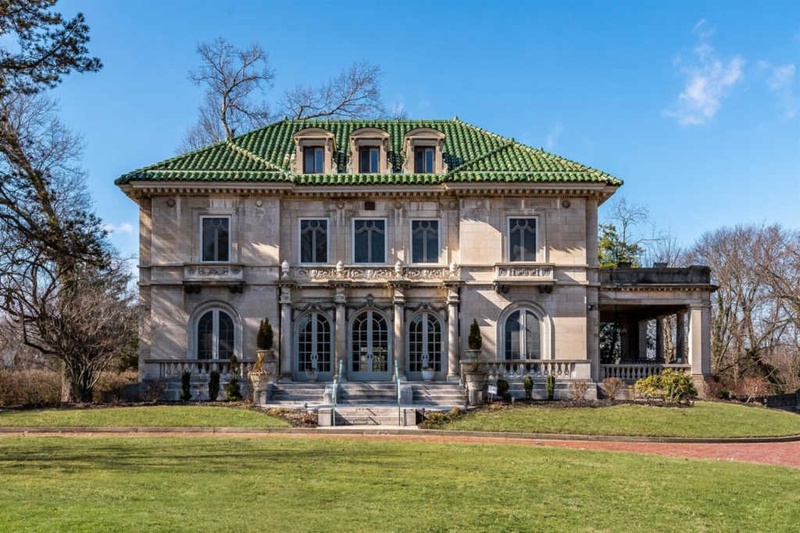 Live the European country life in this Stunning Italian Renaissance National Register masterpiece. 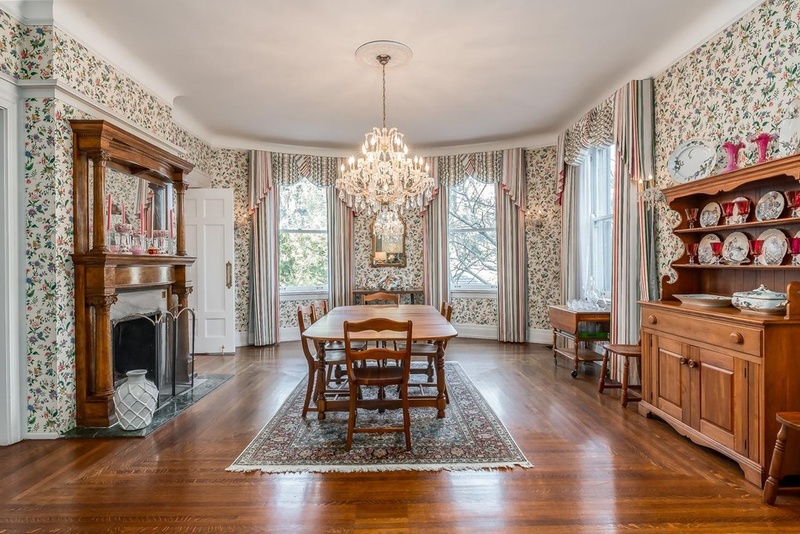 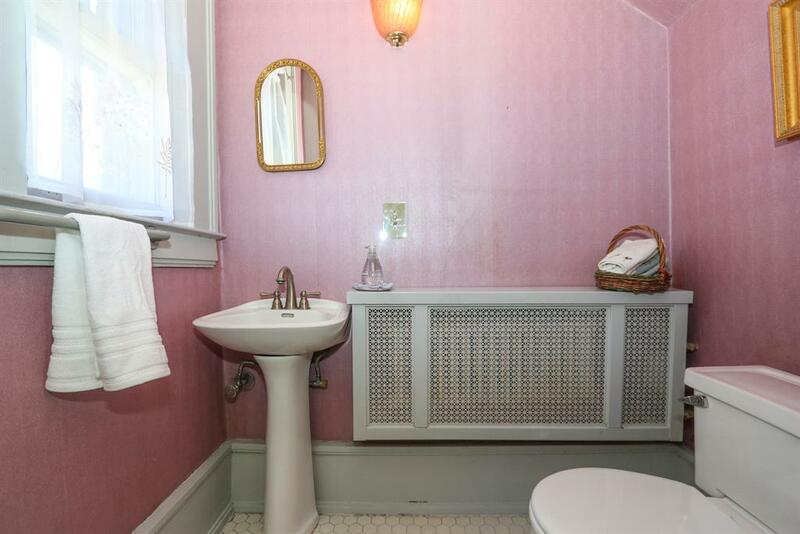 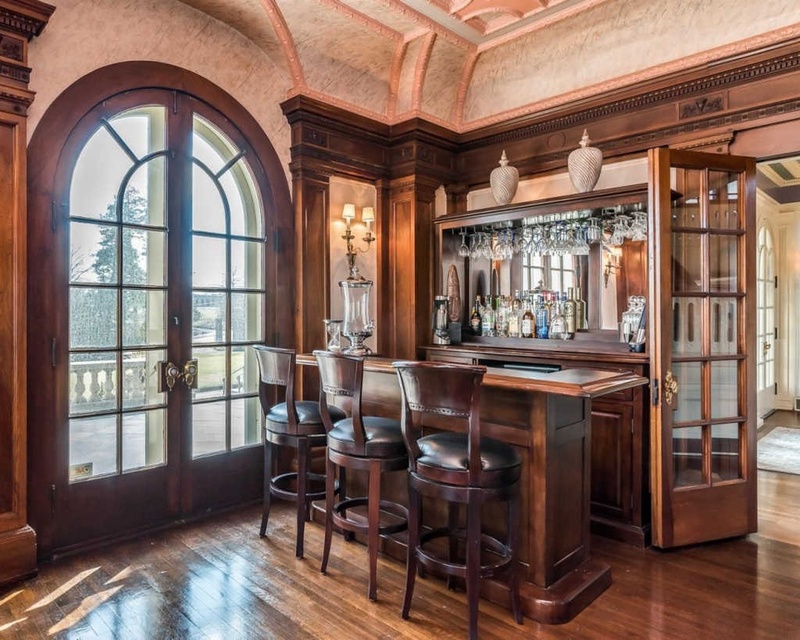 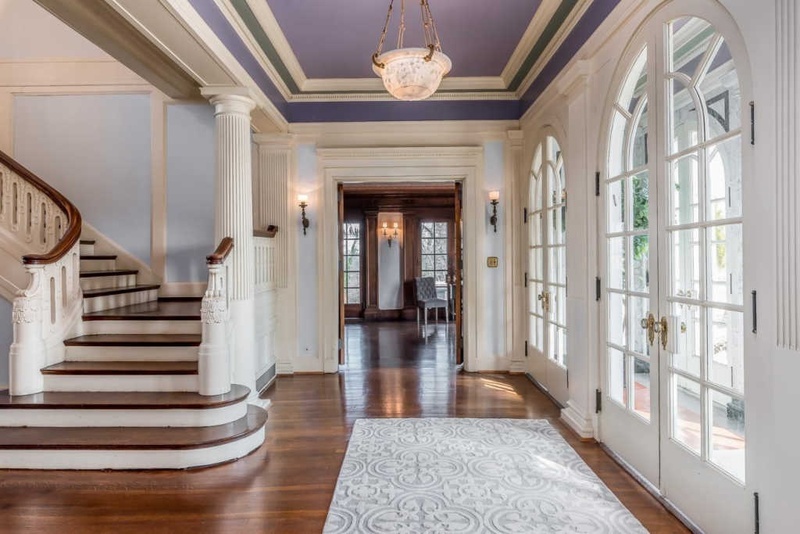 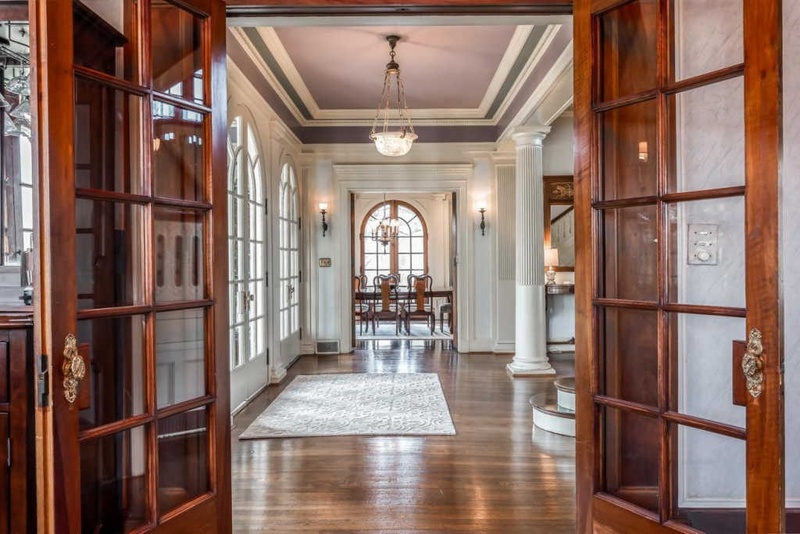 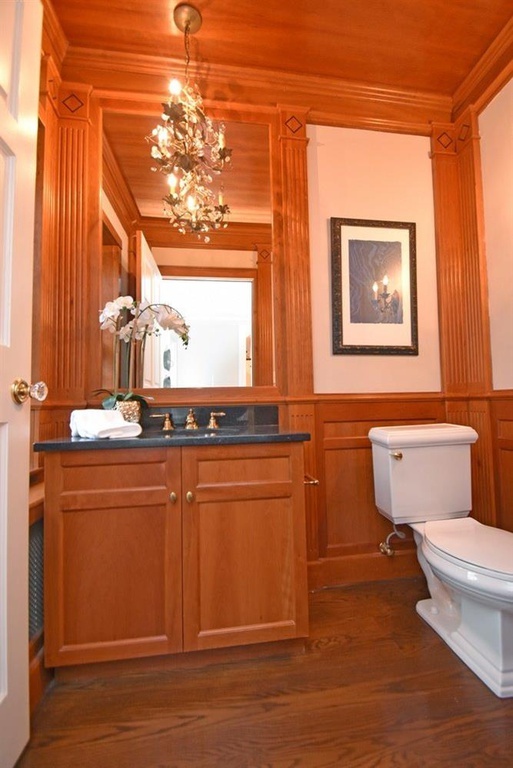 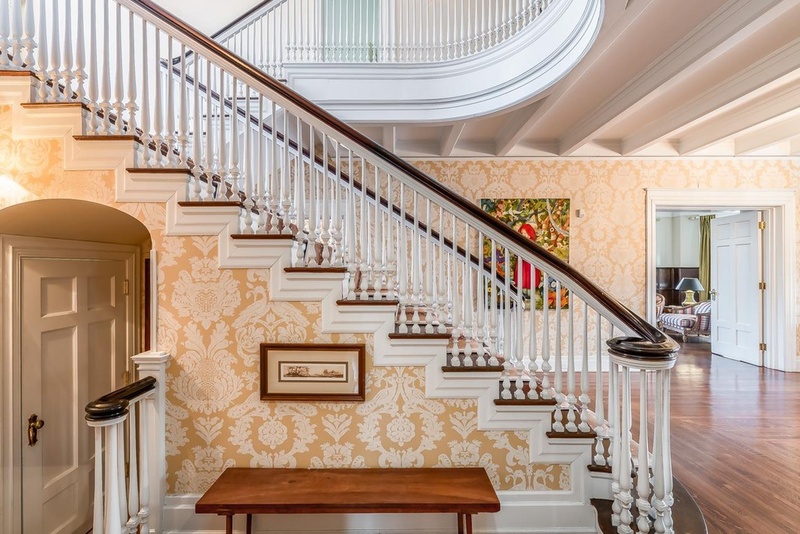 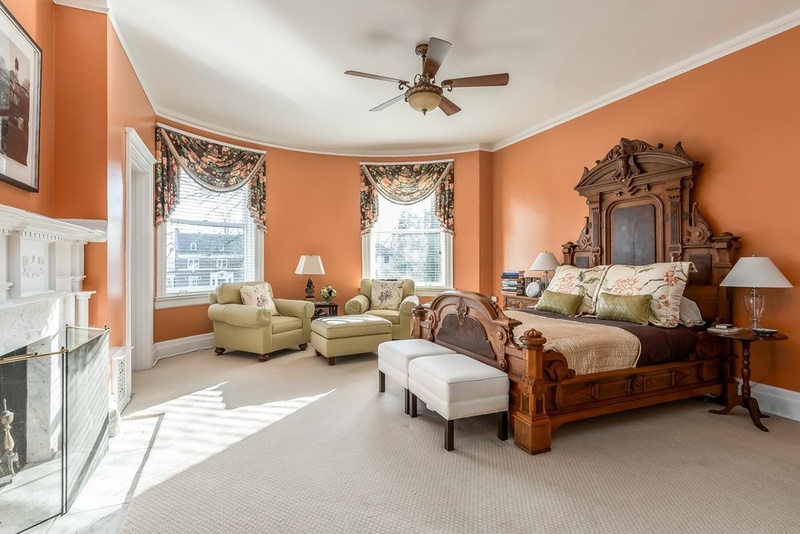 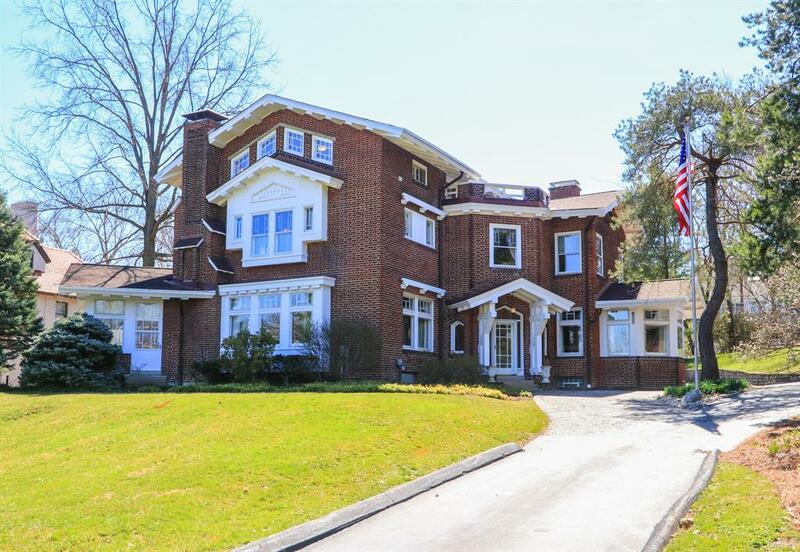 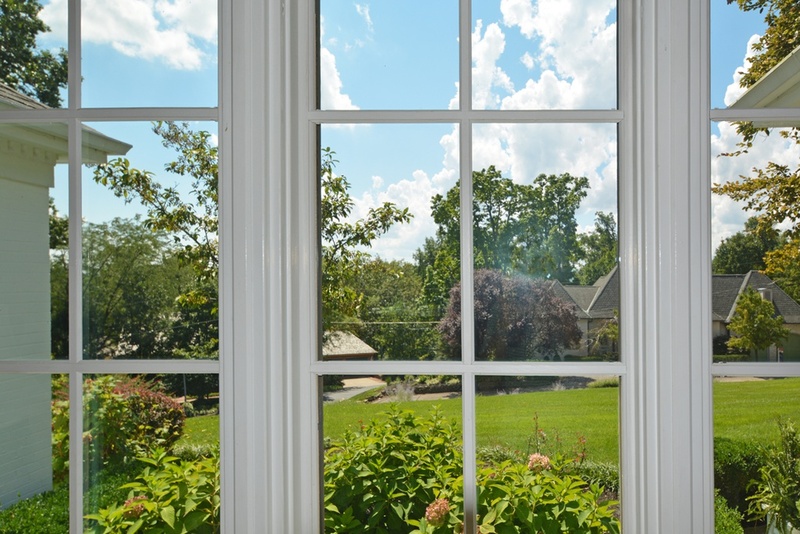 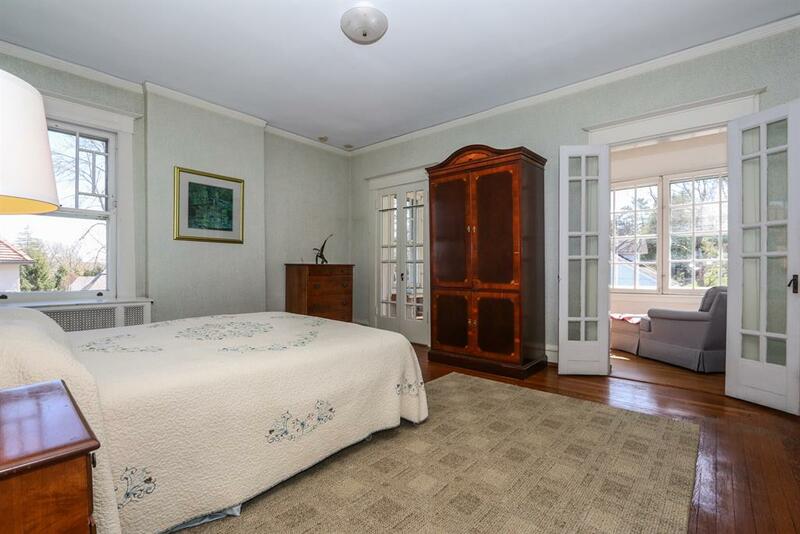 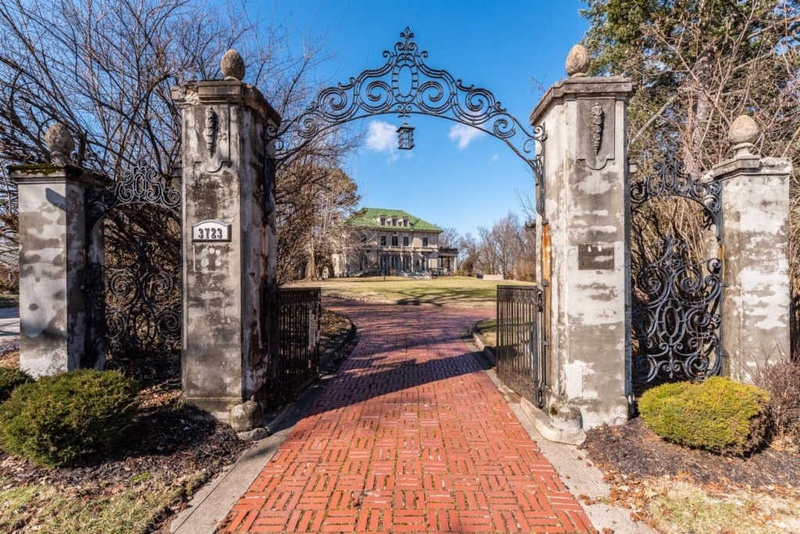 It features luxurious carved millwork, English Wedgwood hardware, and a priceless Rookwood solarium. 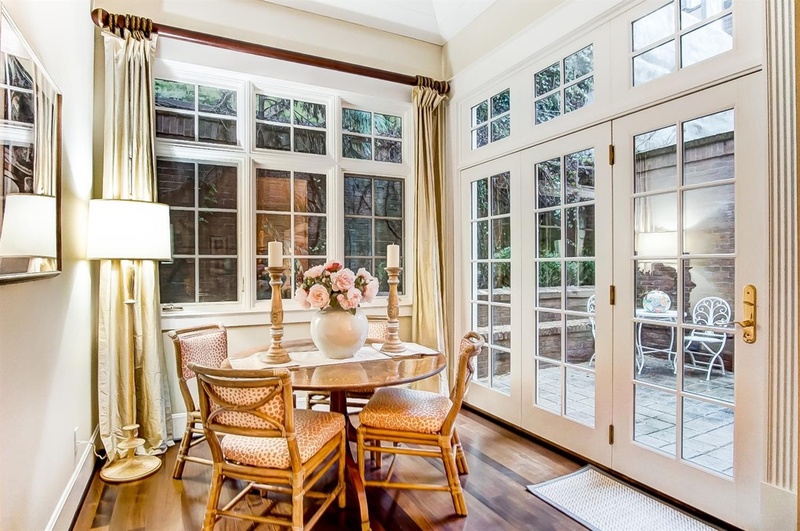 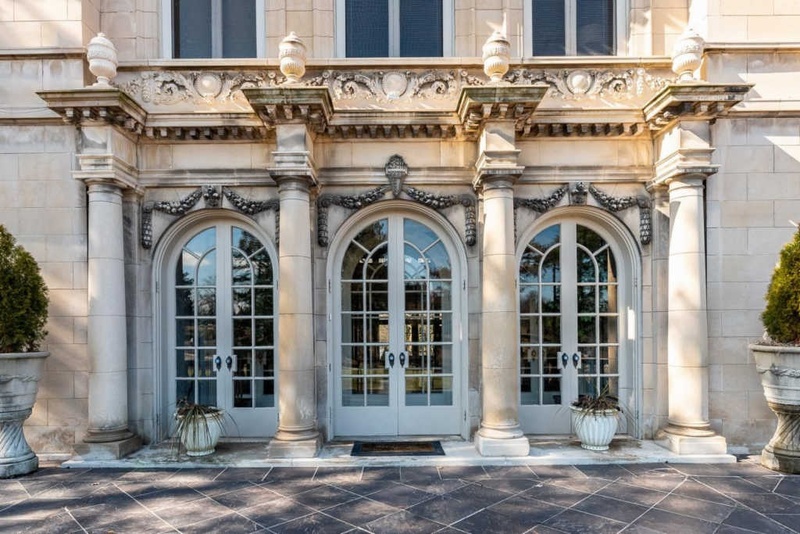 A dreamy Loggia overlooks cascading fountains and gorgeous park-like grounds. 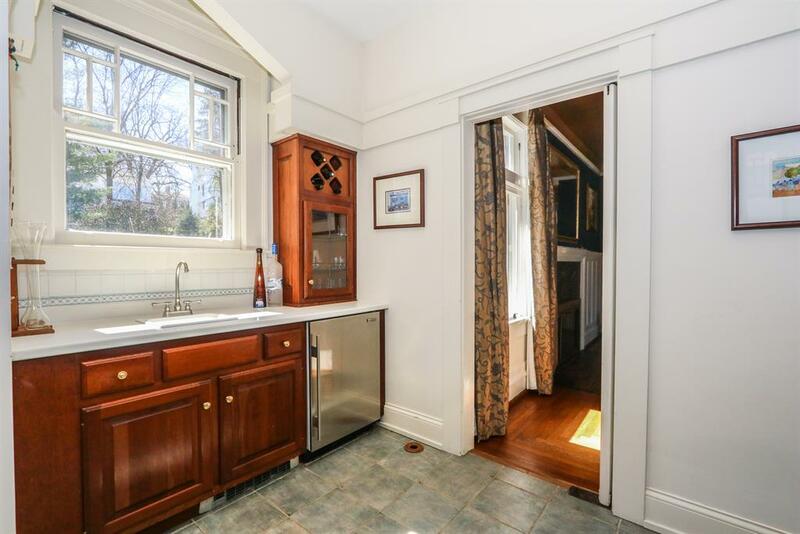 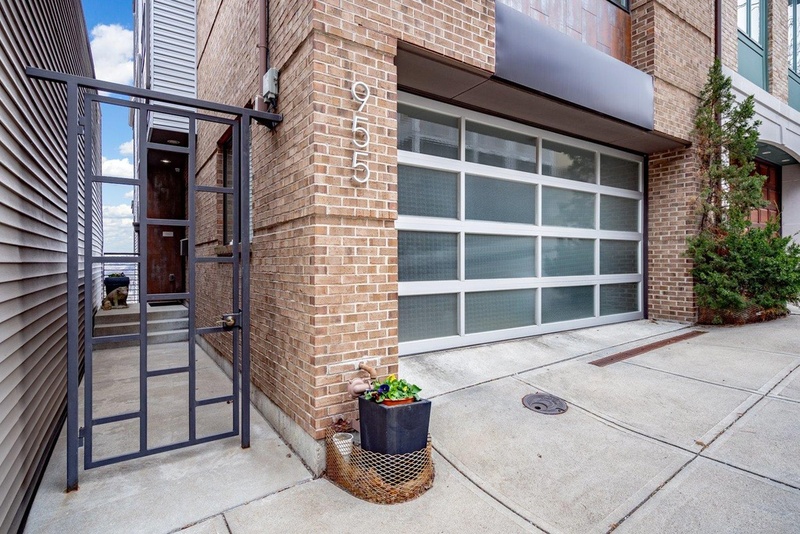 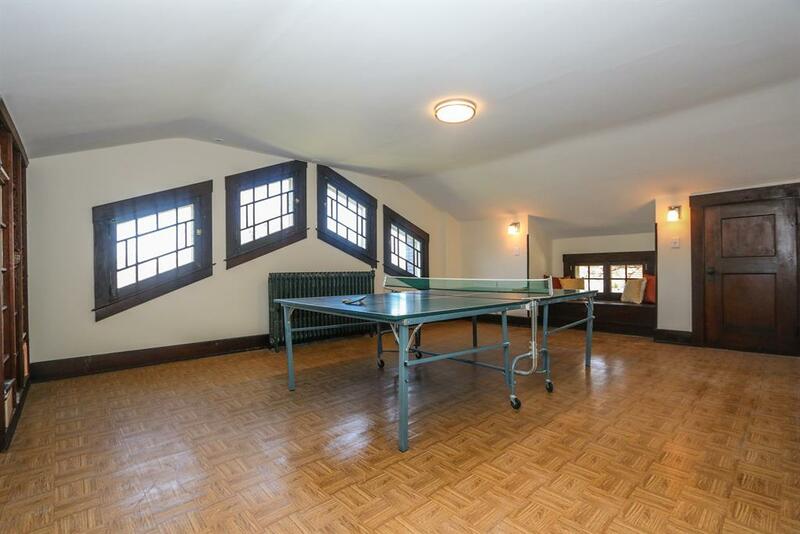 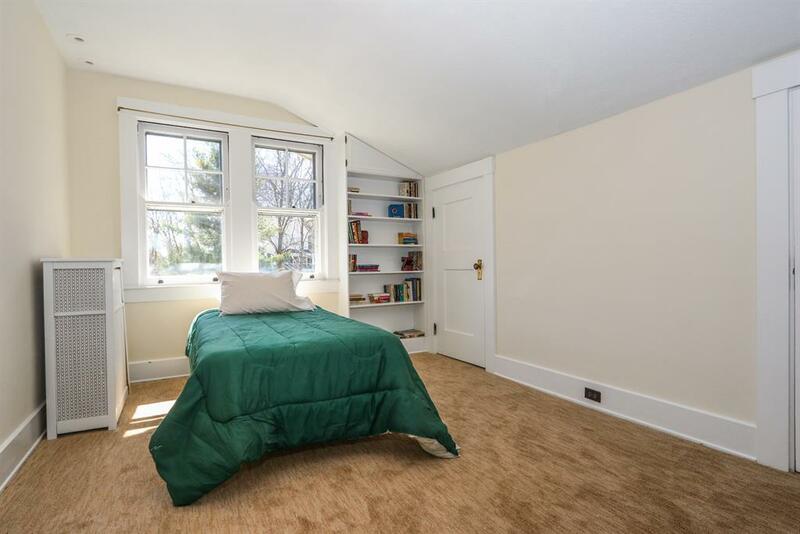 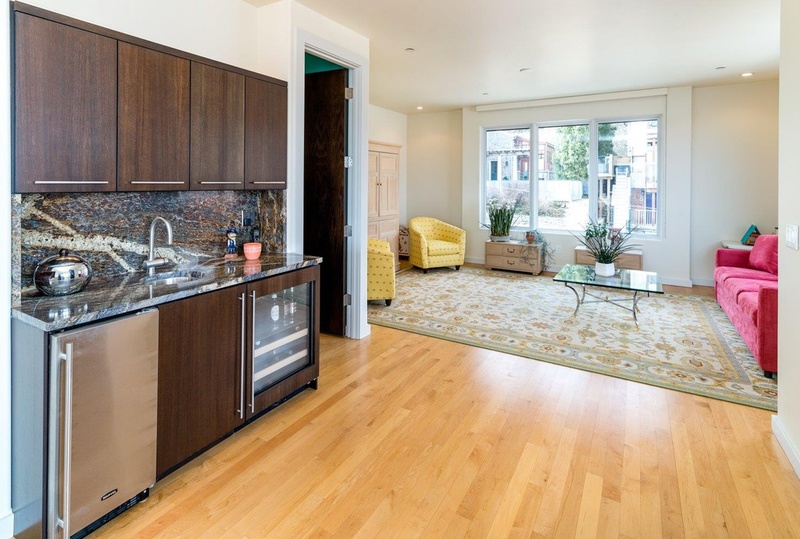 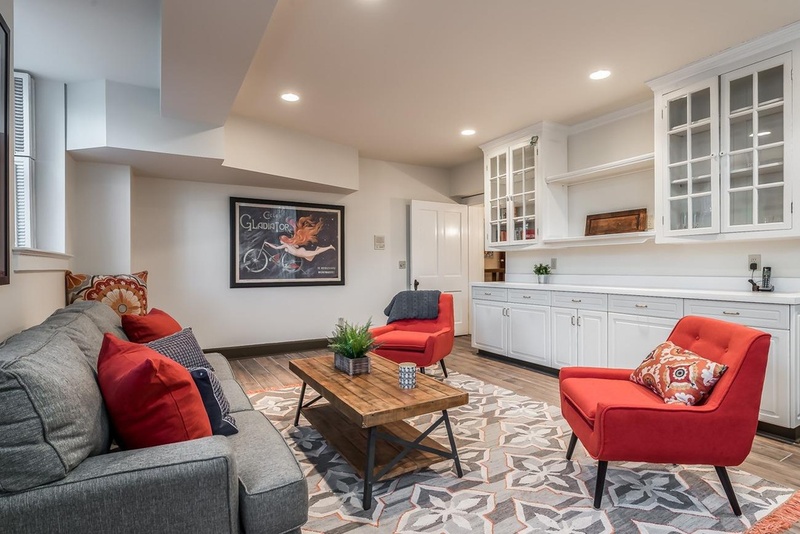 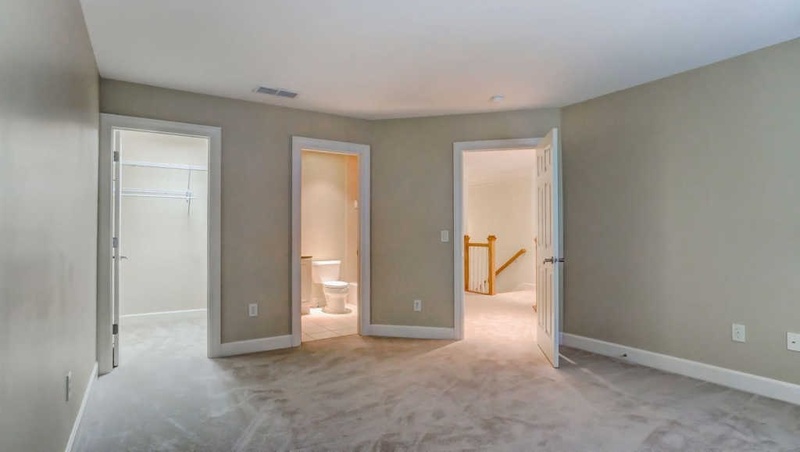 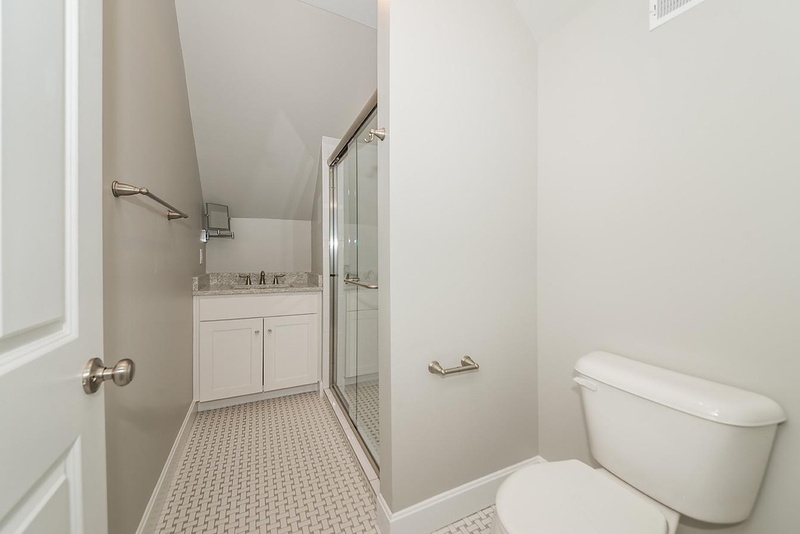 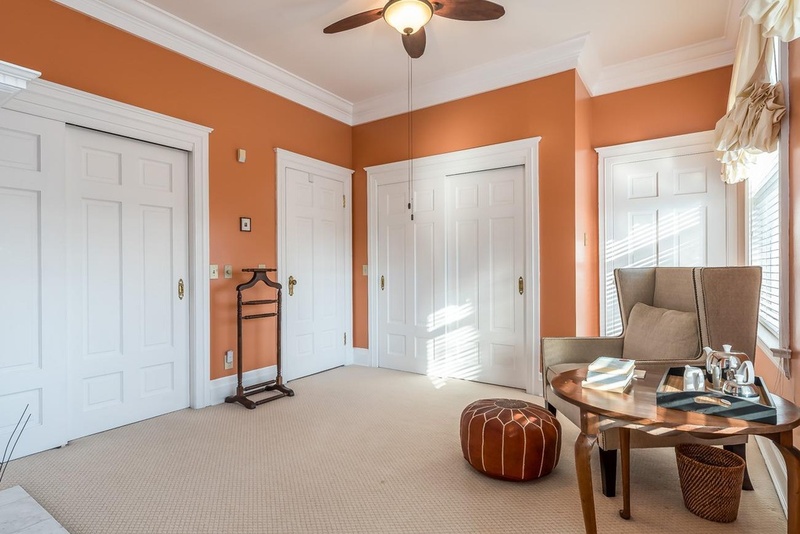 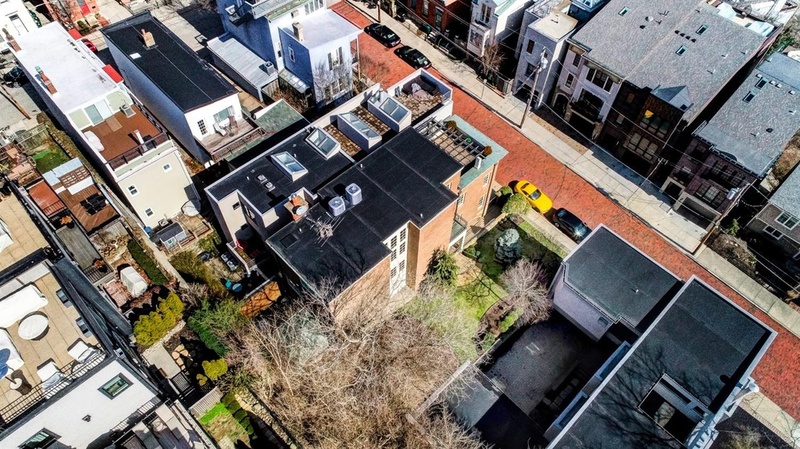 There’s a chauffeur’s apt converted to an exercise studio, a kitchen with granite countertops and stainless steel appliances, and a zoned HVAC. 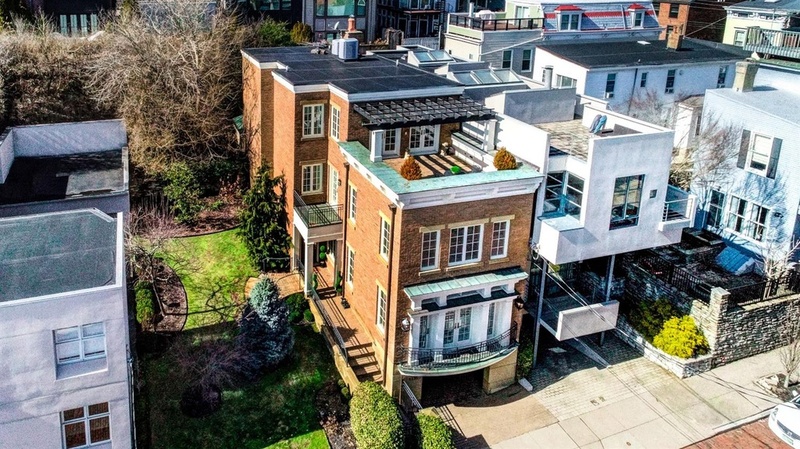 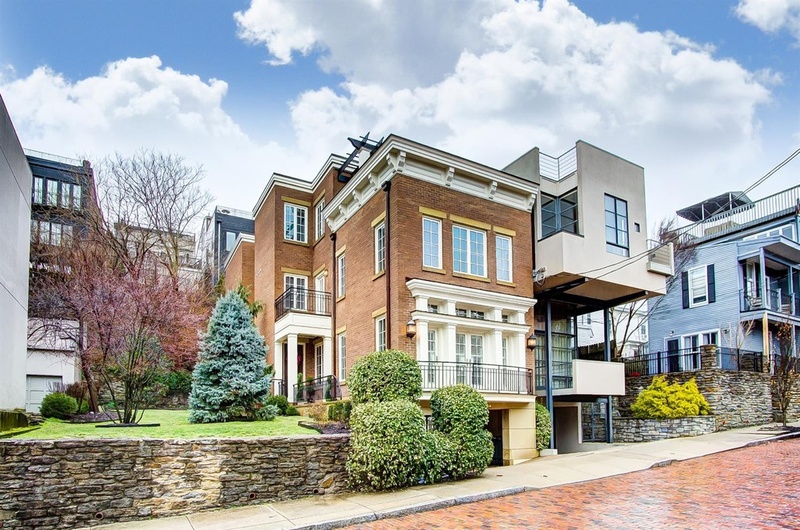 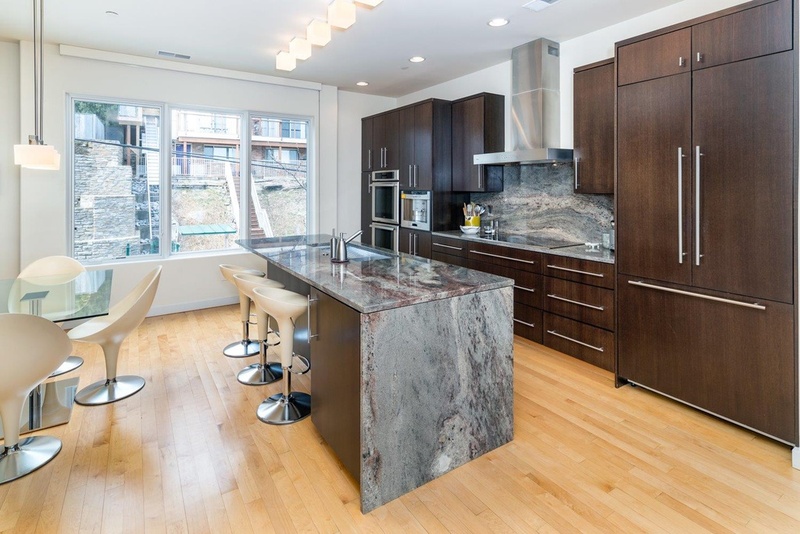 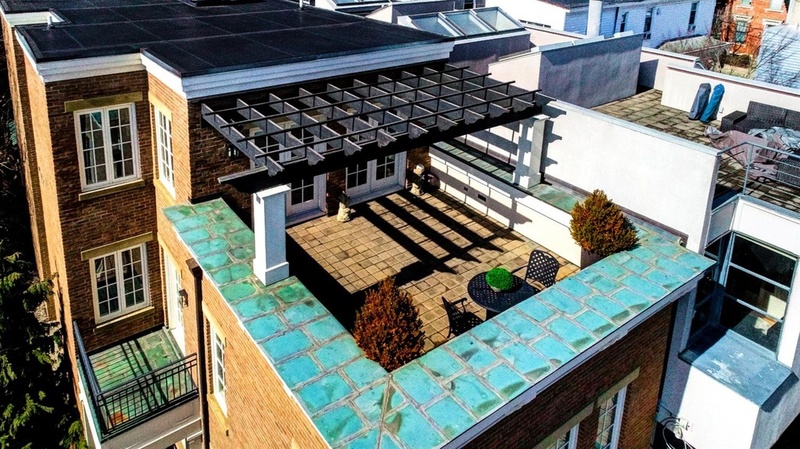 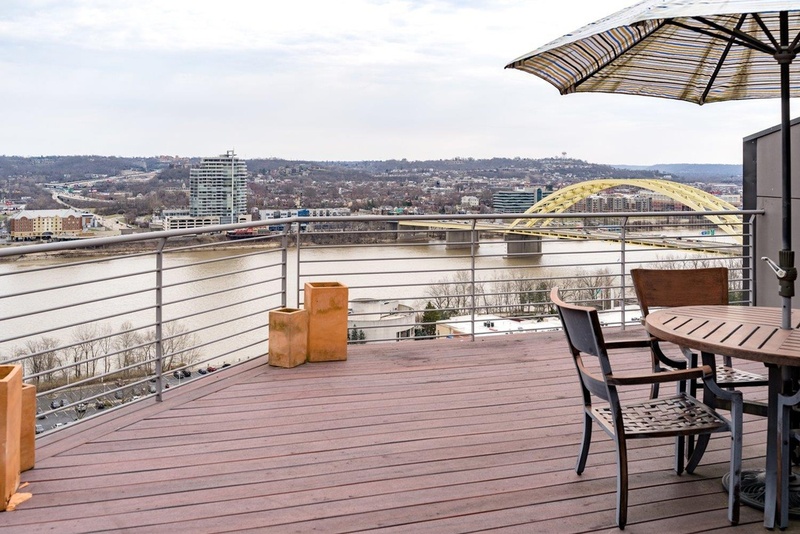 Perched atop the city with a view and rooftop terrace, gourmet kitchen, and luxury master suite with a lavish marble bath -- this is a must-see Listing of the Week! 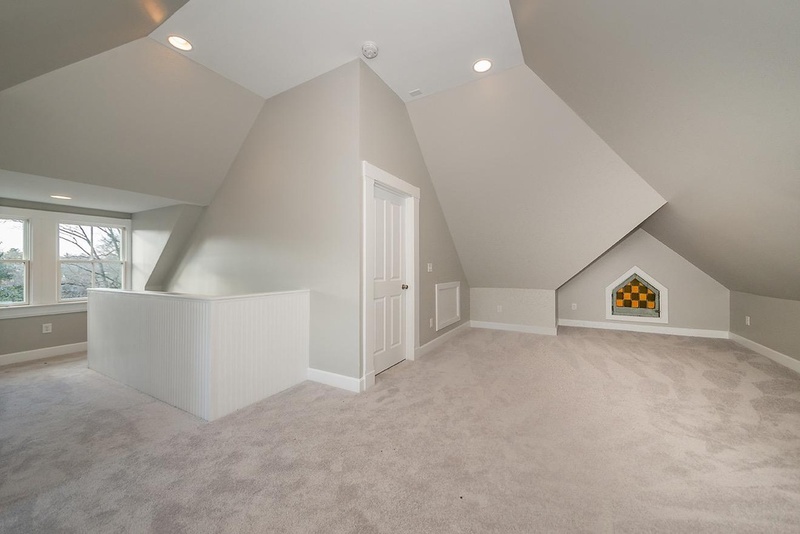 This stunning Mt. 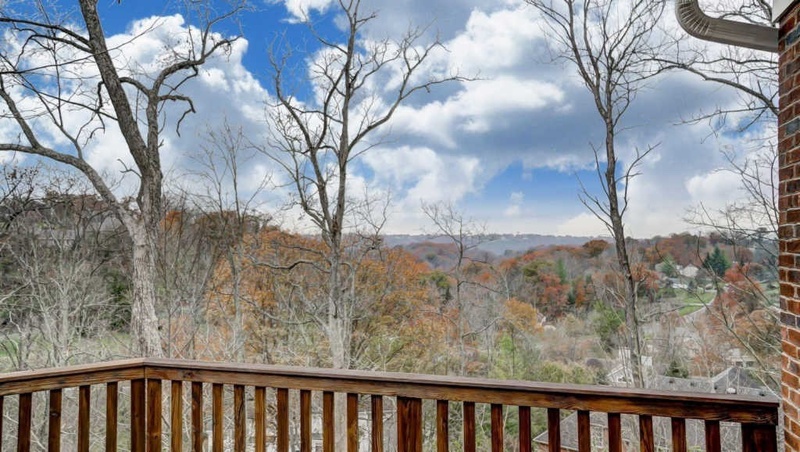 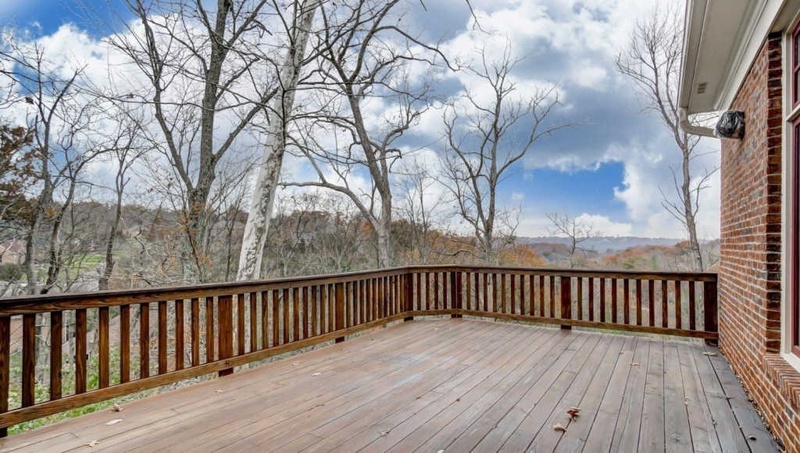 Adams home features a beautiful river view. 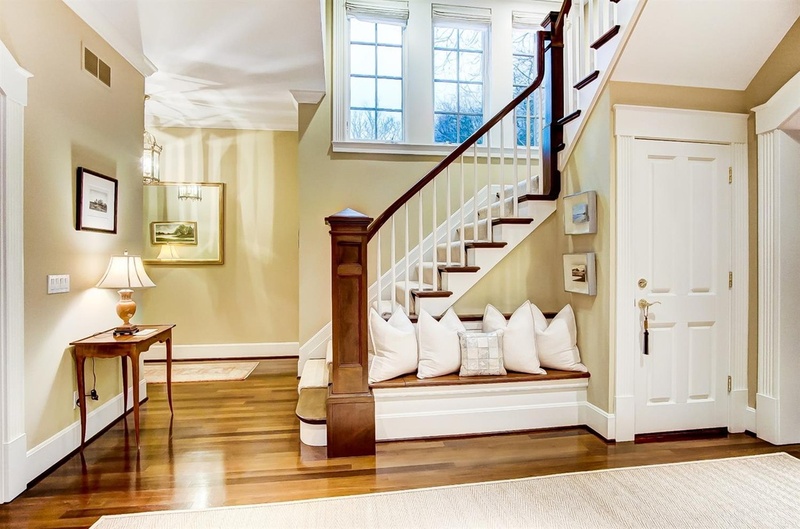 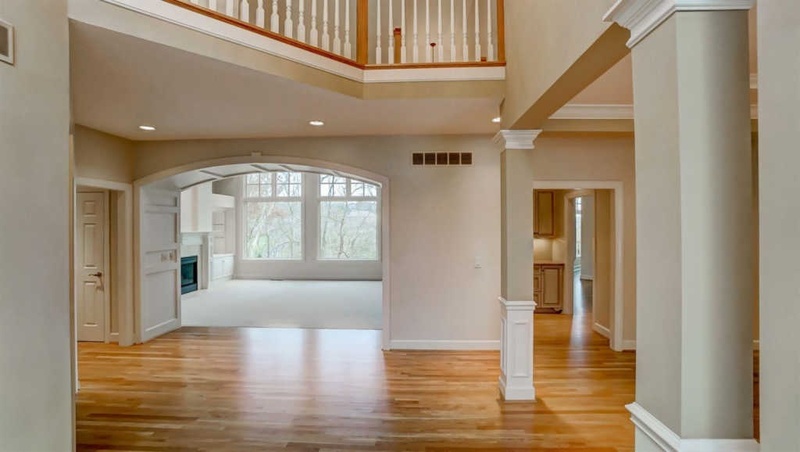 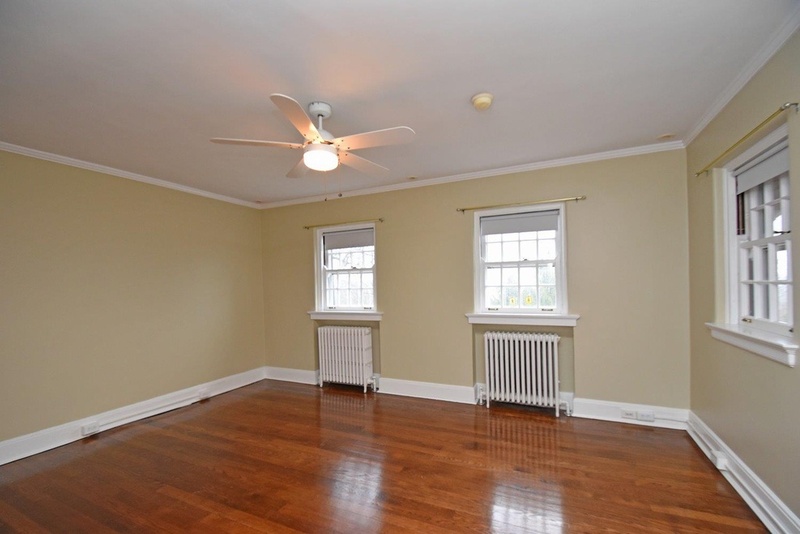 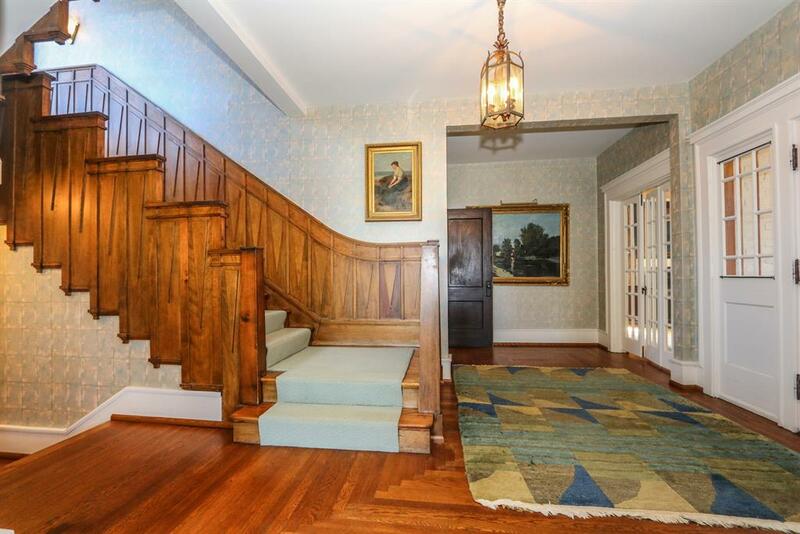 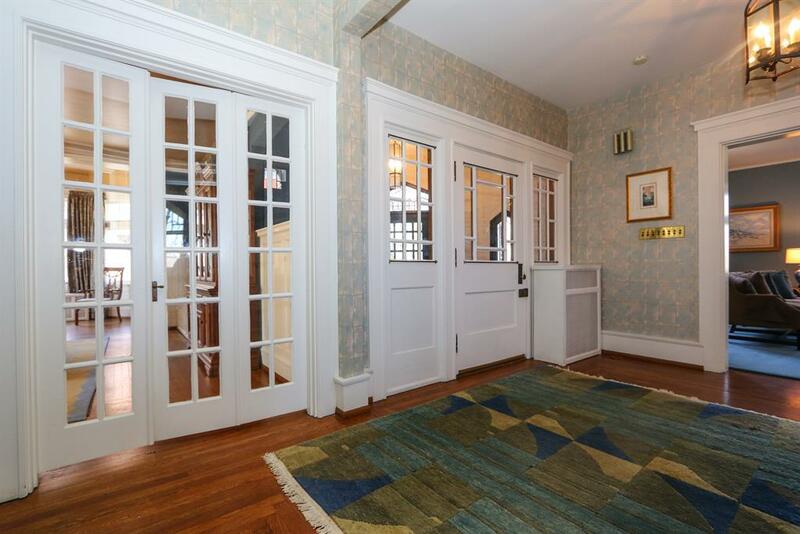 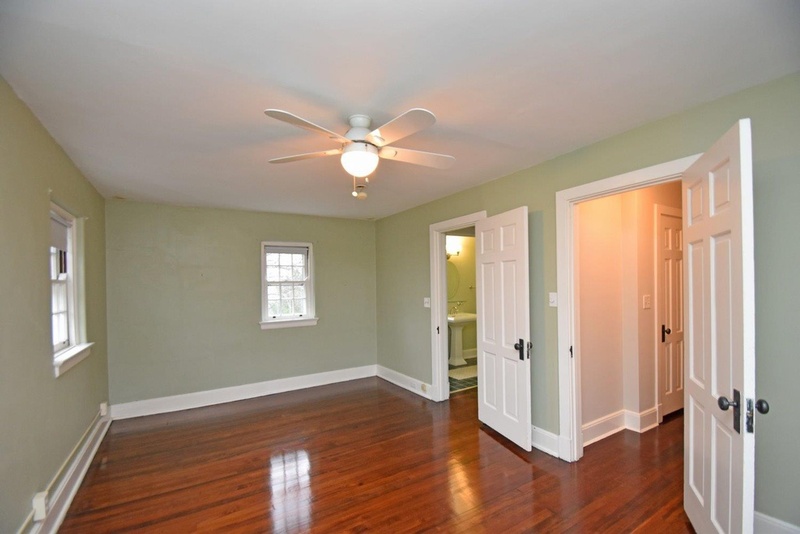 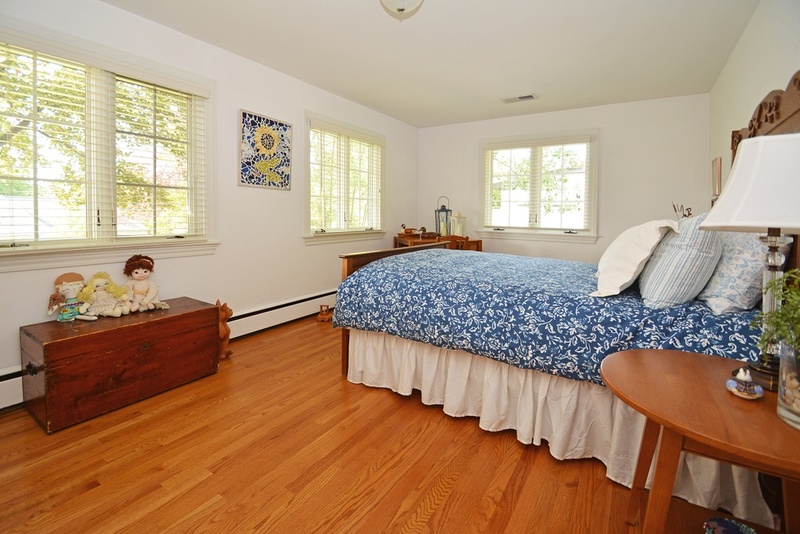 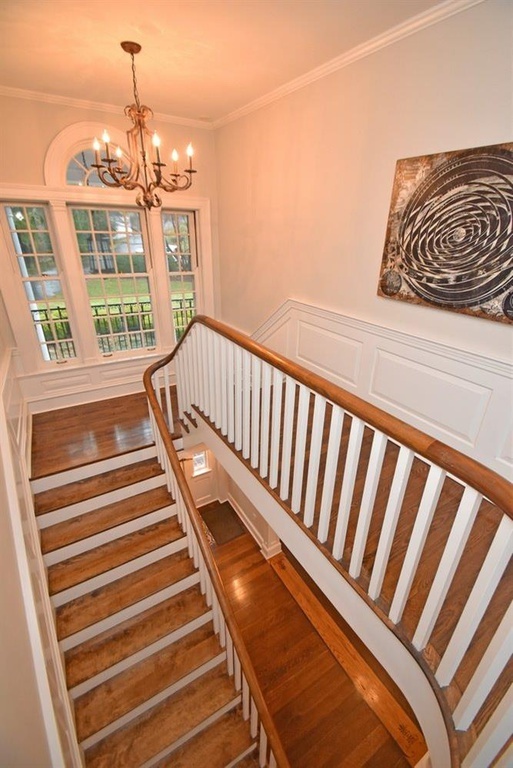 Inside, there are gorgeous hardwoods throughout. 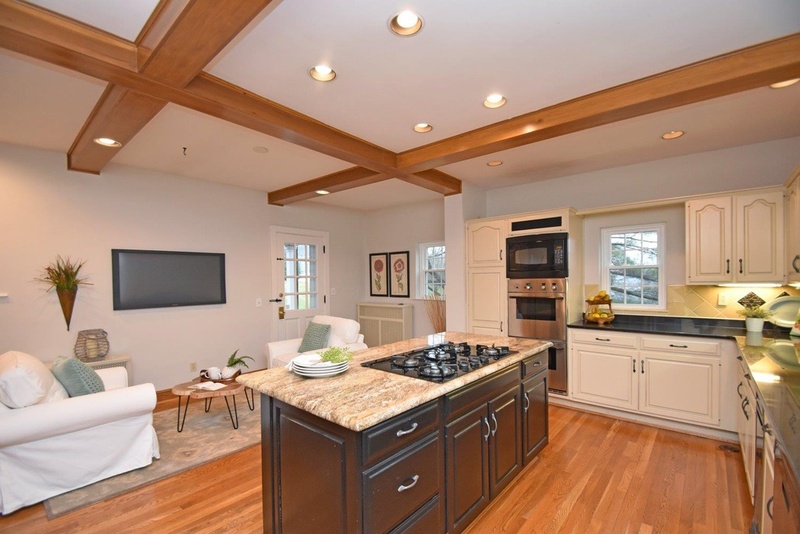 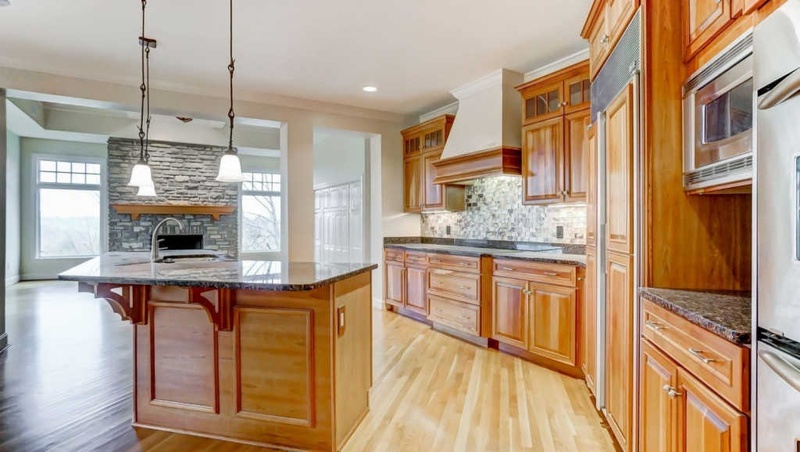 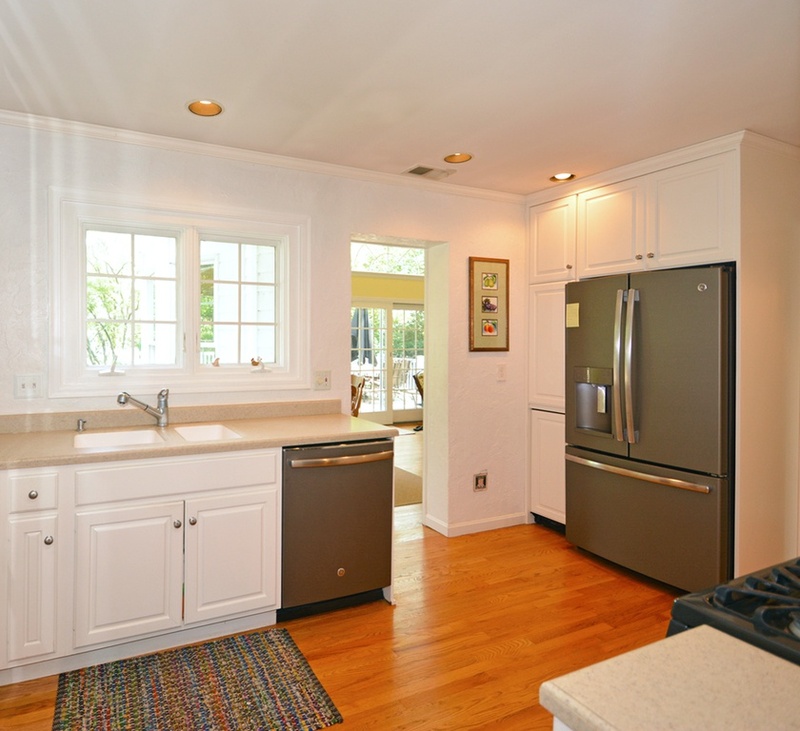 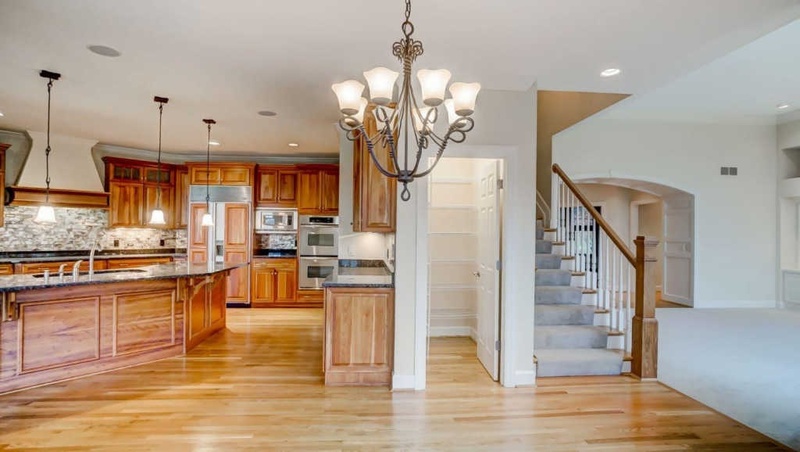 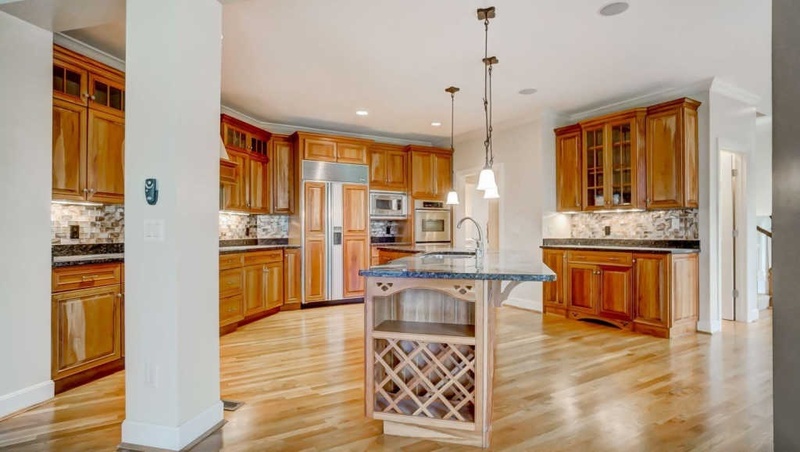 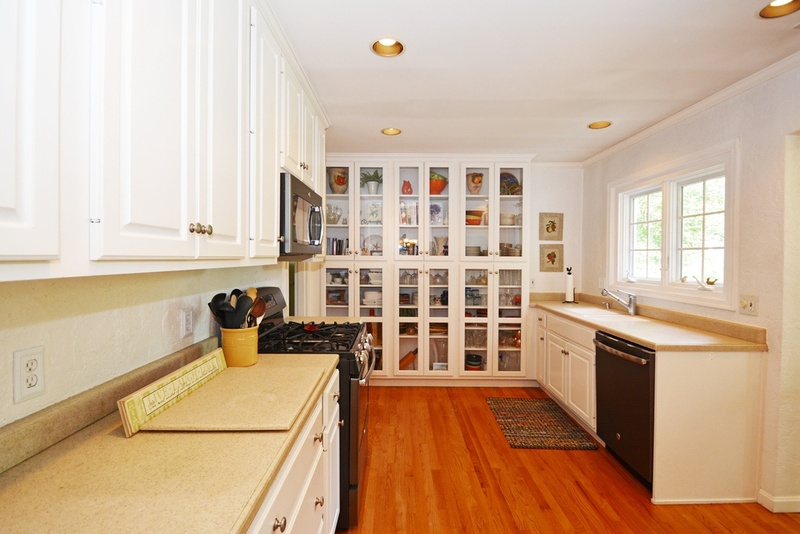 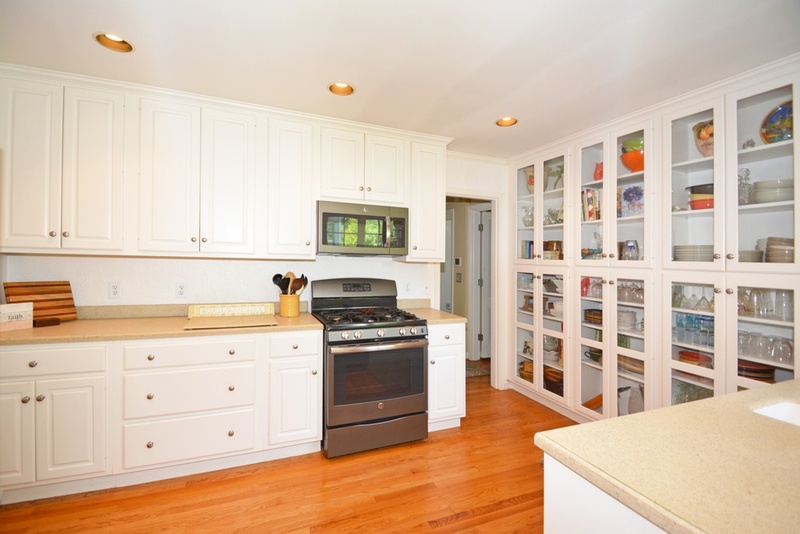 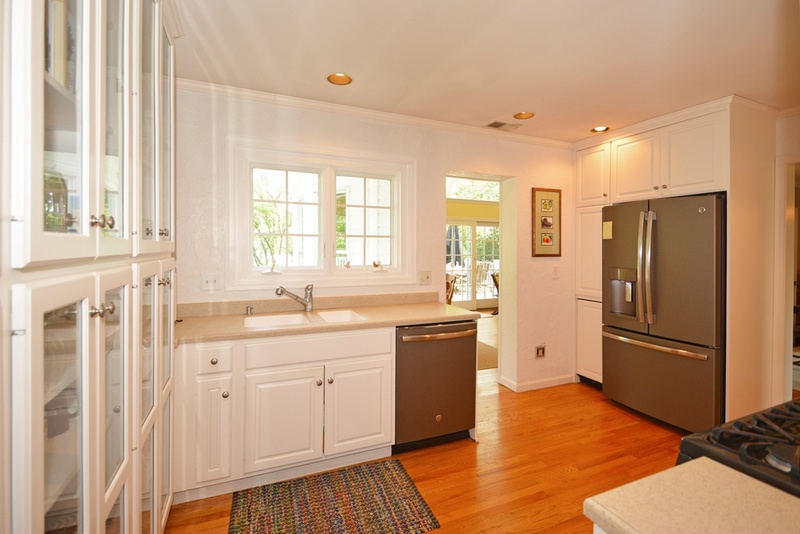 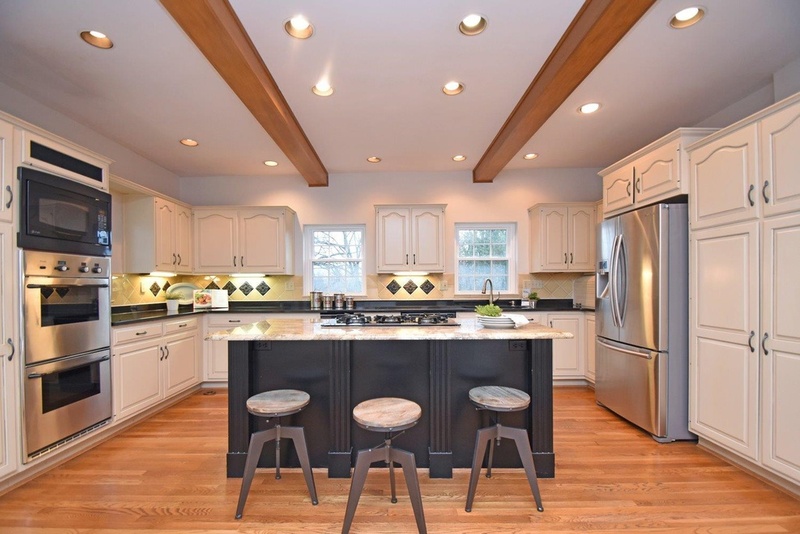 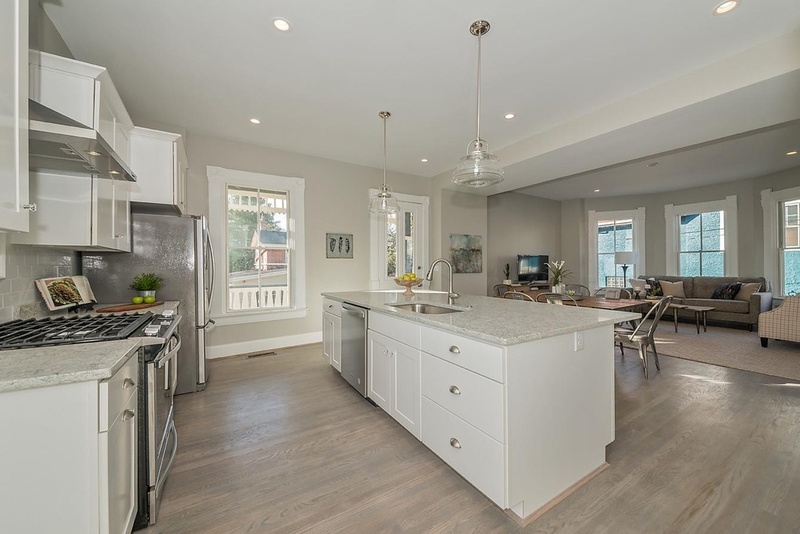 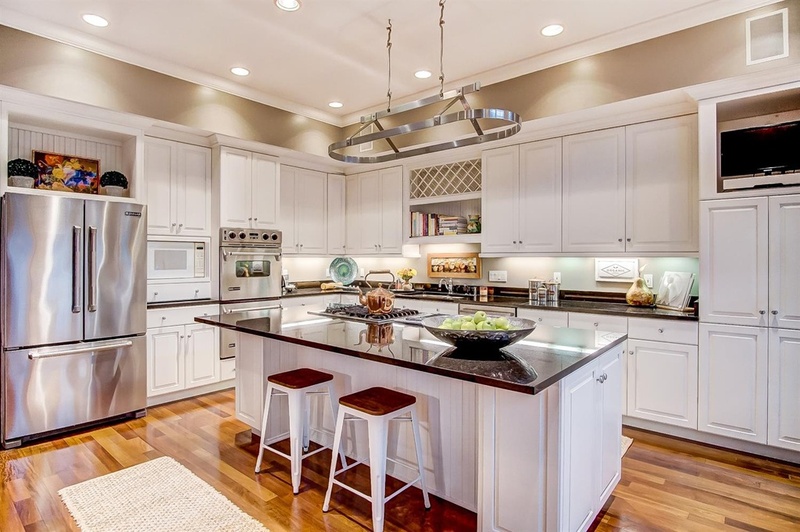 The home was built to entertain with a gourmet kitchen with granite countertops and stainless steel appliances. 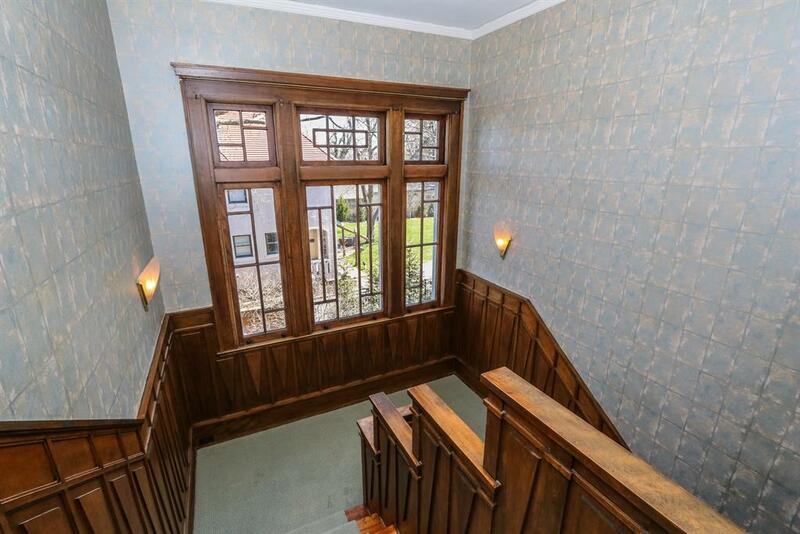 Plus, there’s a balcony off the kitchen! 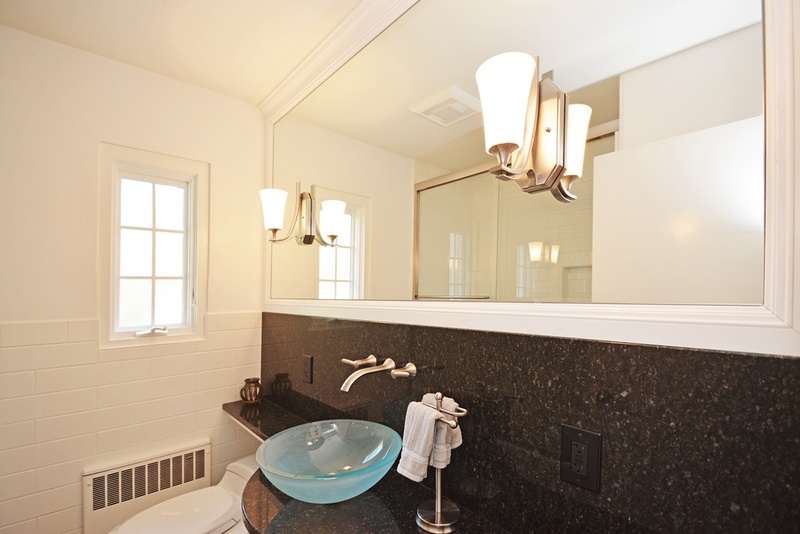 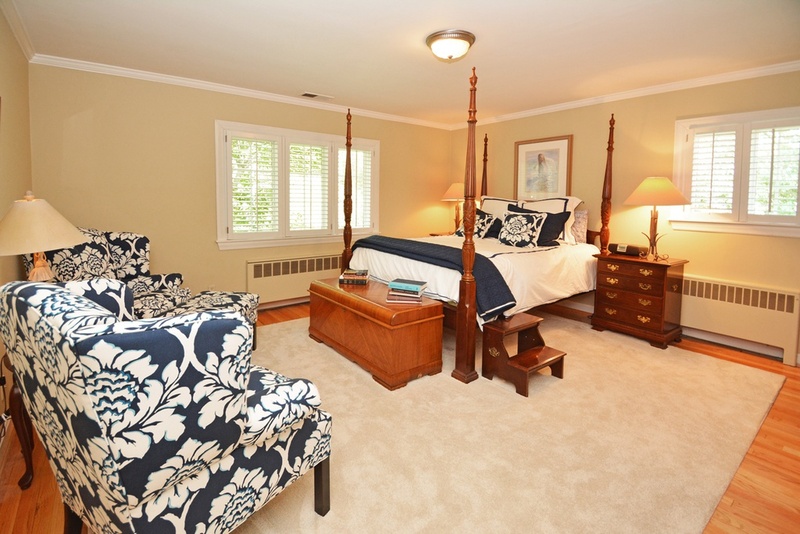 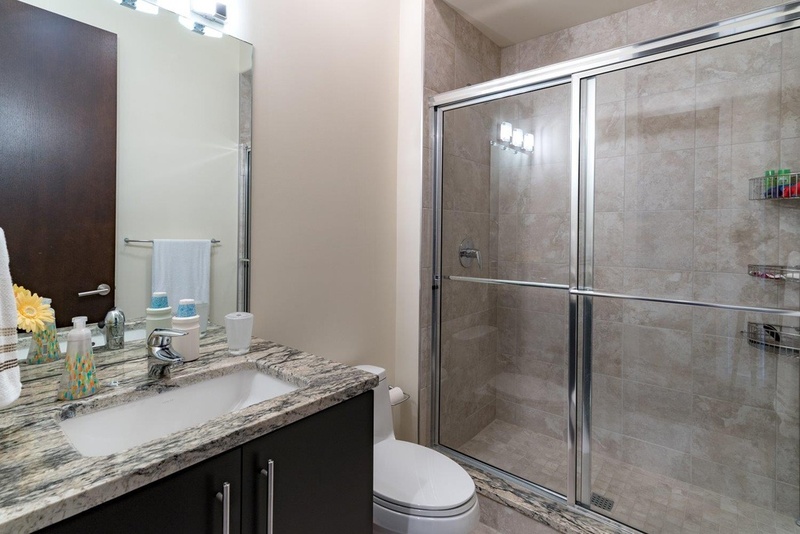 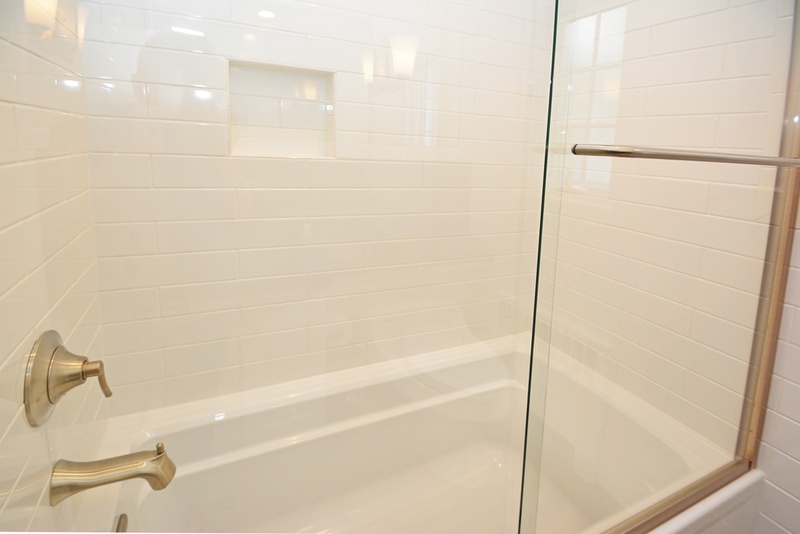 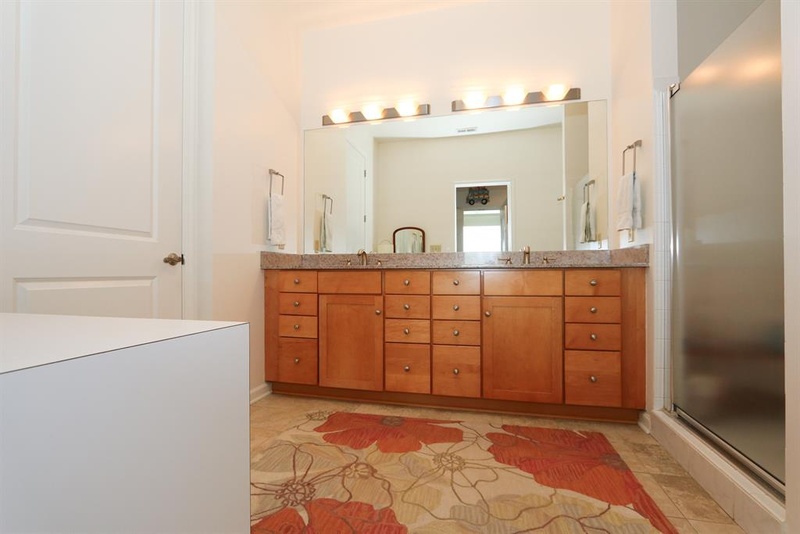 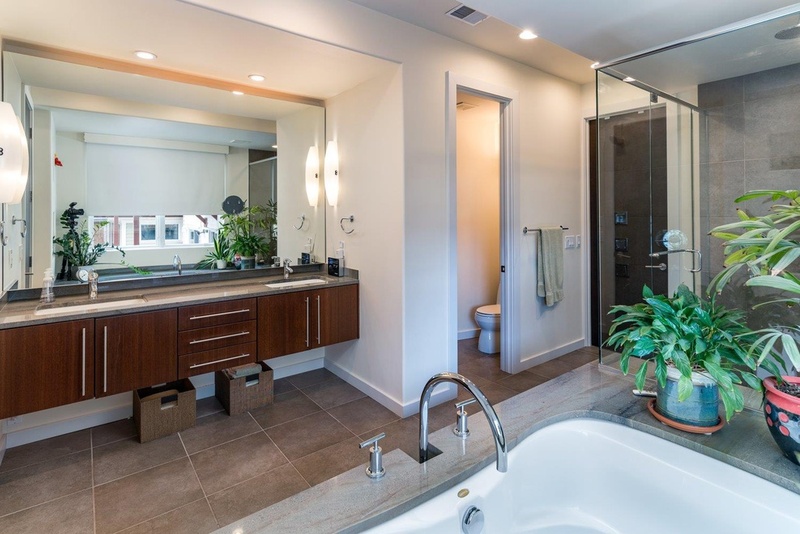 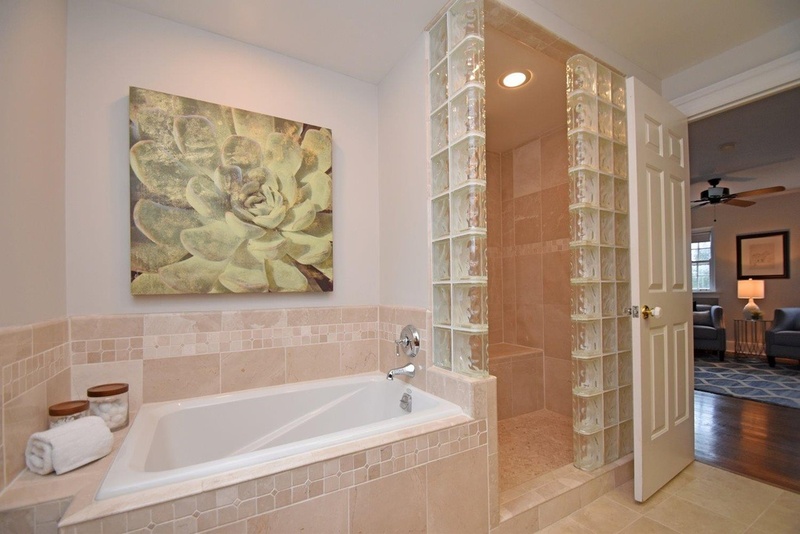 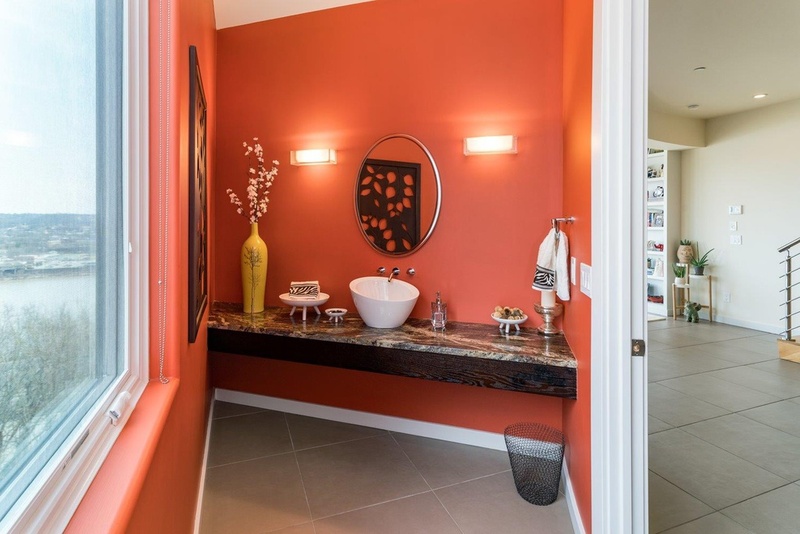 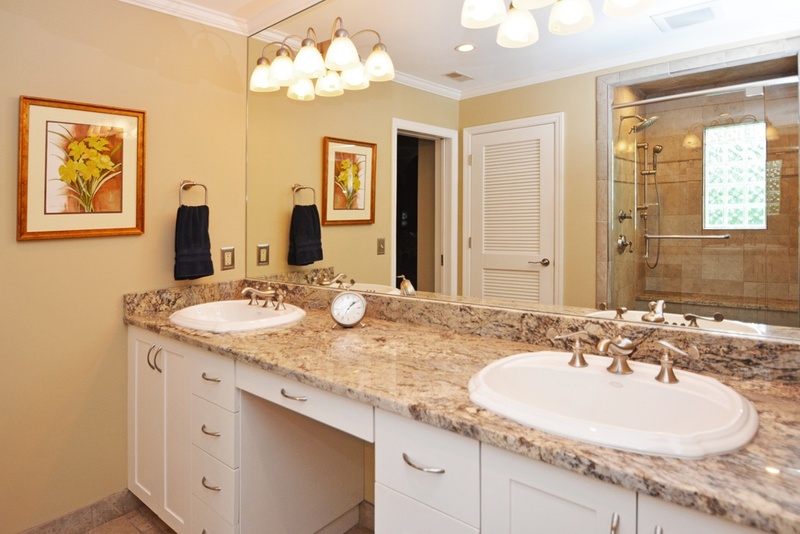 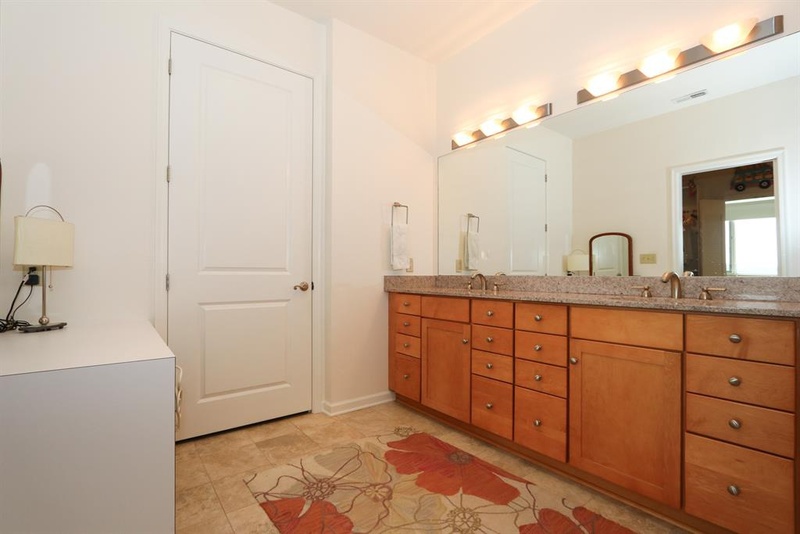 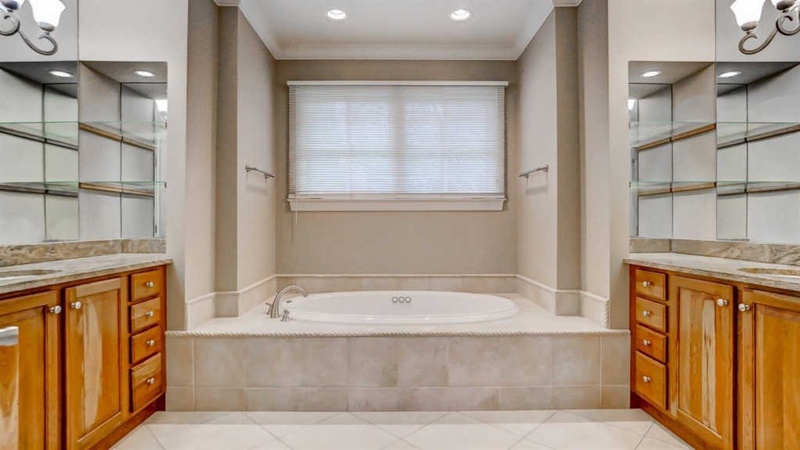 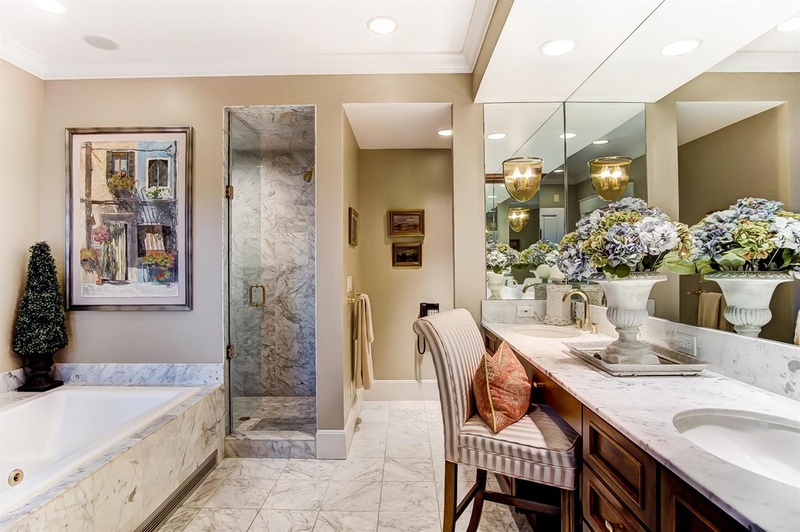 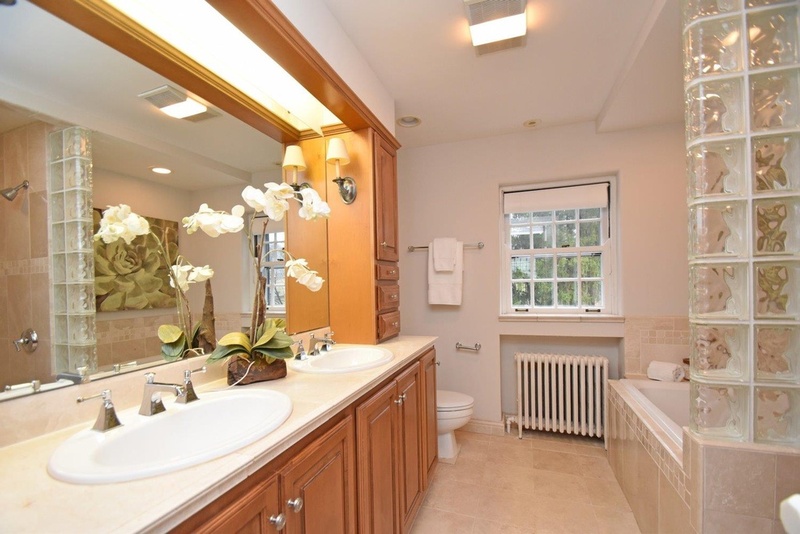 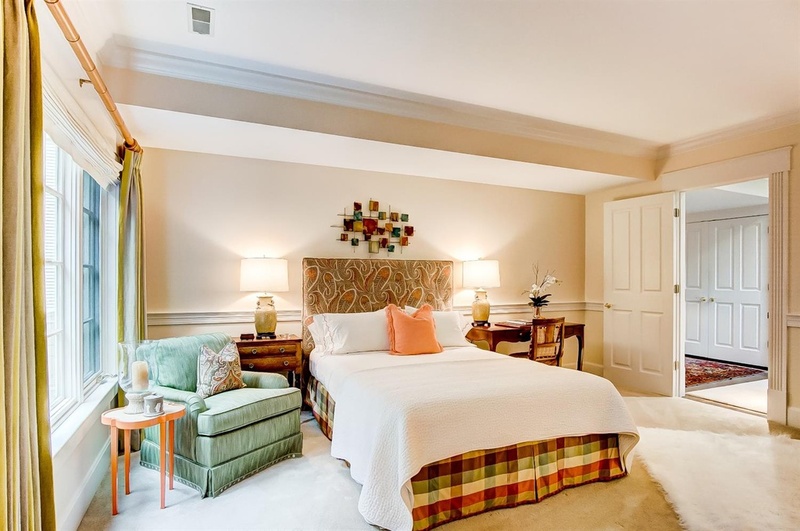 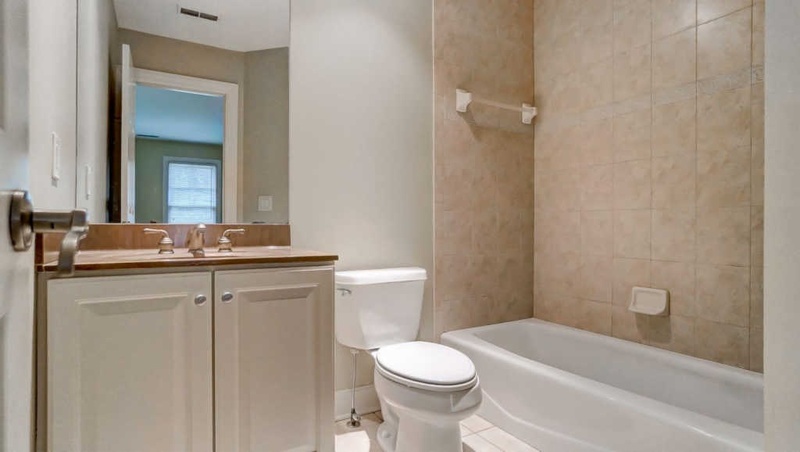 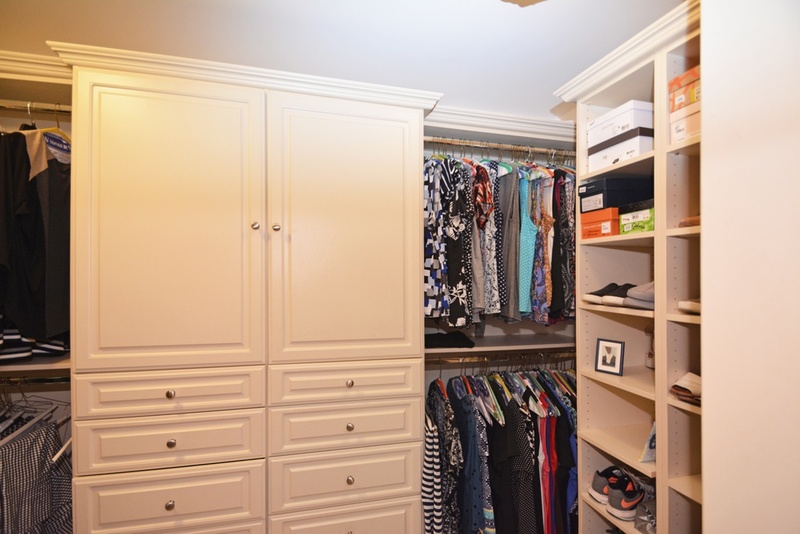 The luxury master suite has a cedar closet/dressing room and a lavish marble bath with a double vanity and a balcony! 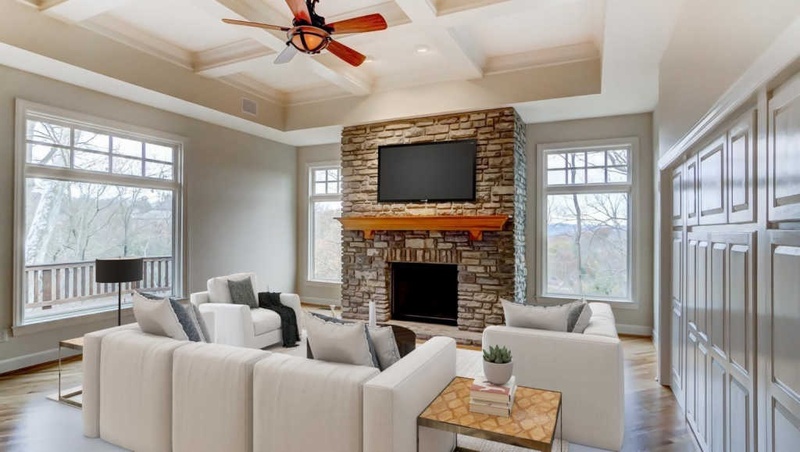 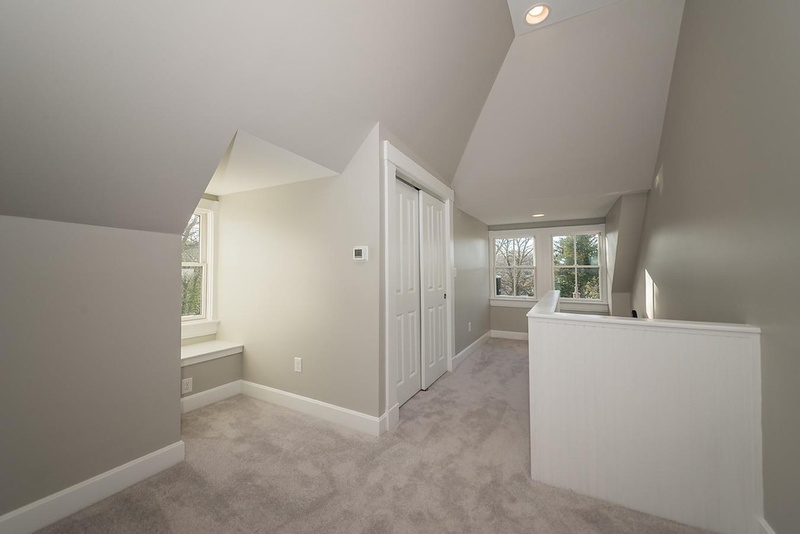 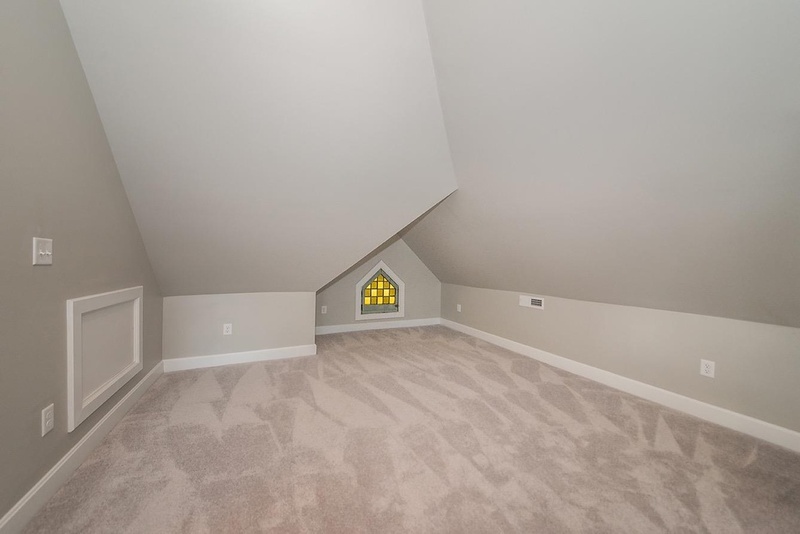 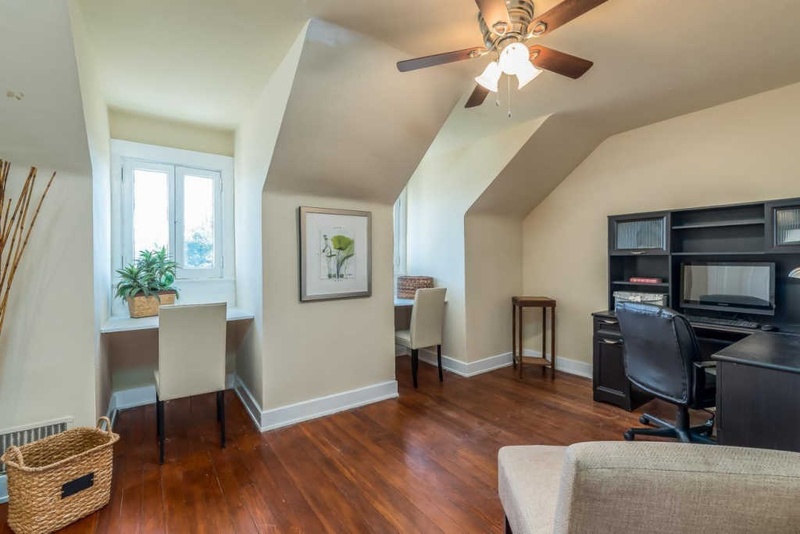 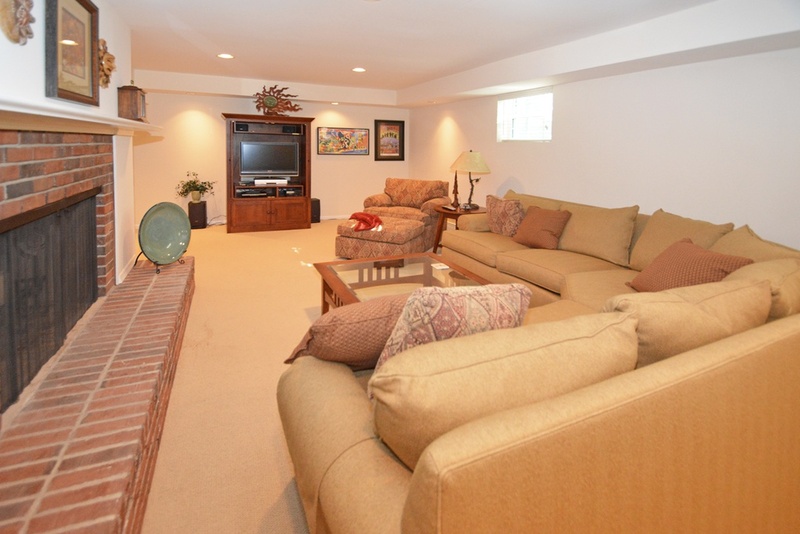 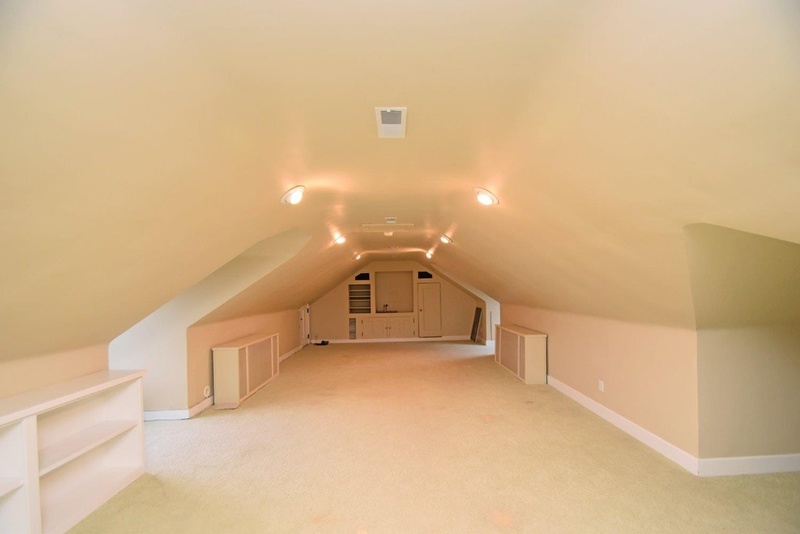 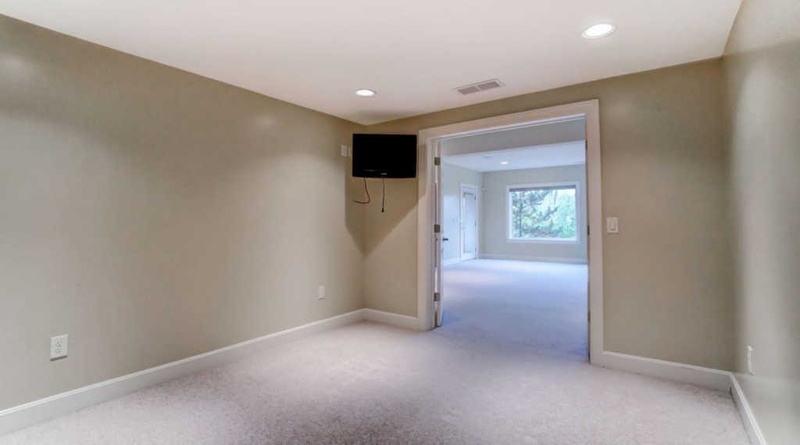 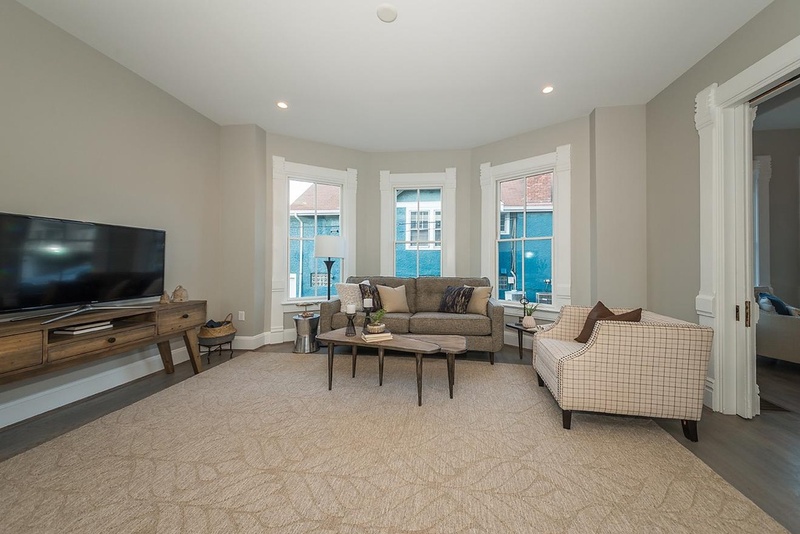 The loft family room features built-ins, wetbar, and walkout to a large patio and private, gated courtyard. 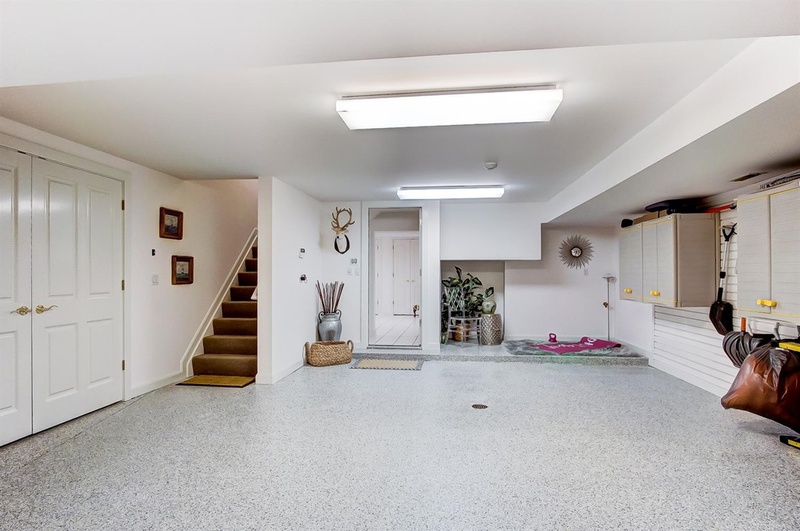 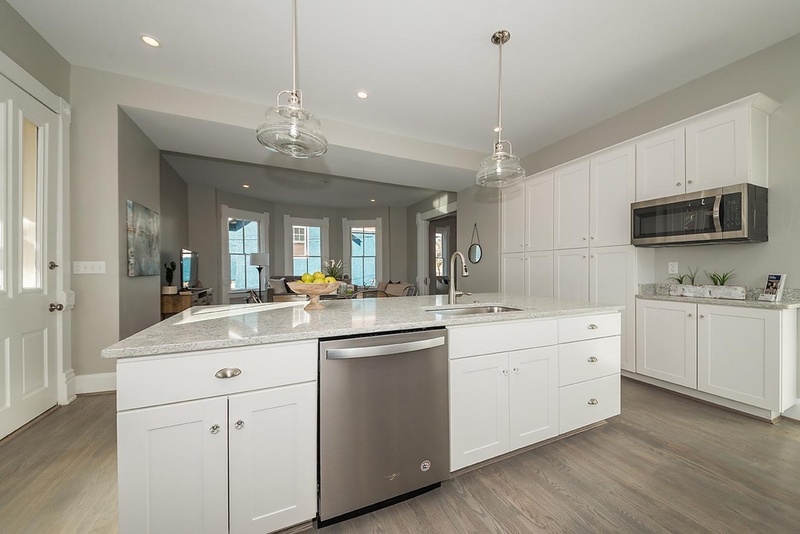 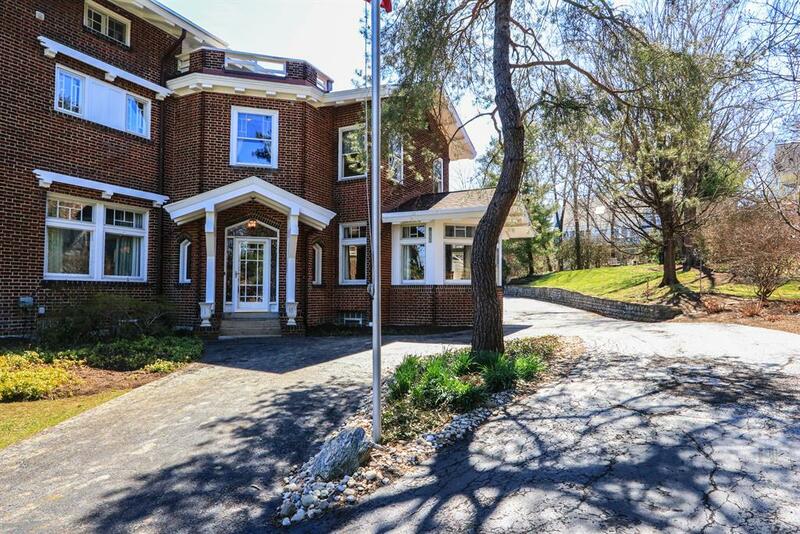 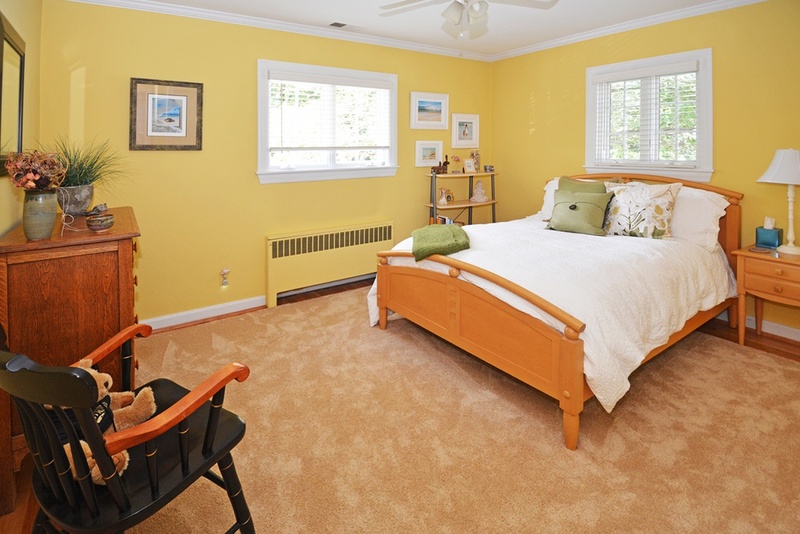 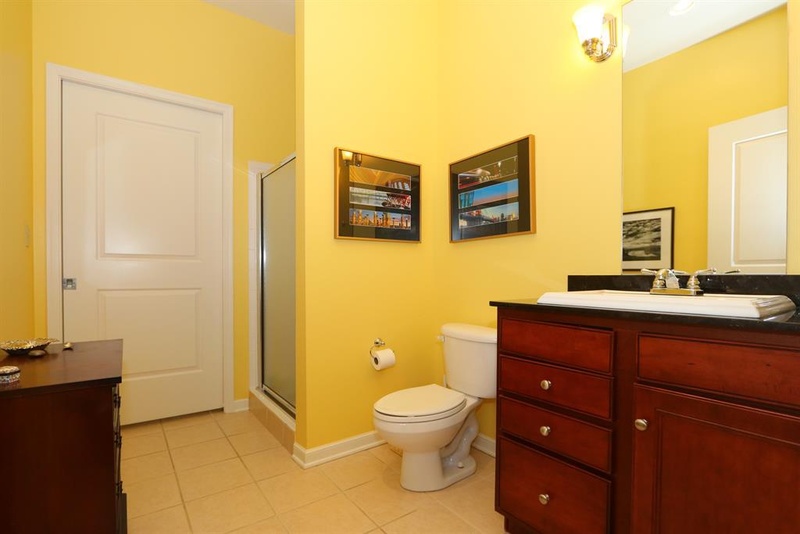 The home is 3 bedrooms, 4 bathrooms, and is listed at $1,349,900. 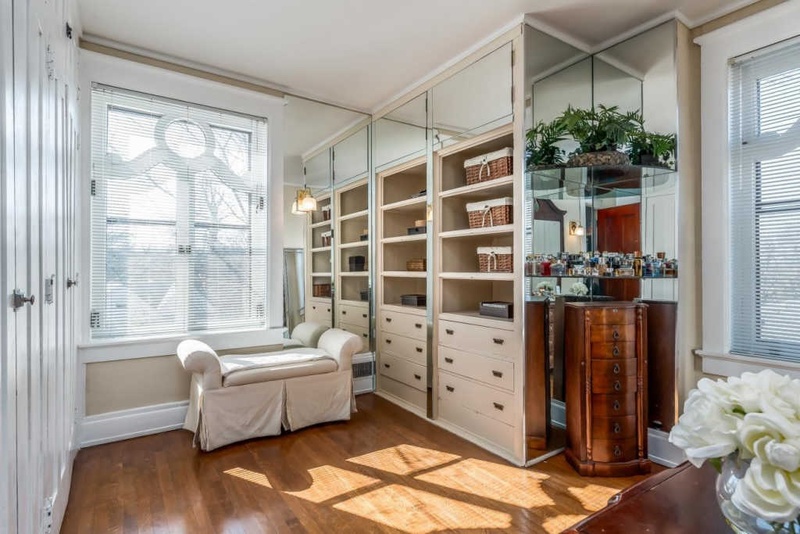 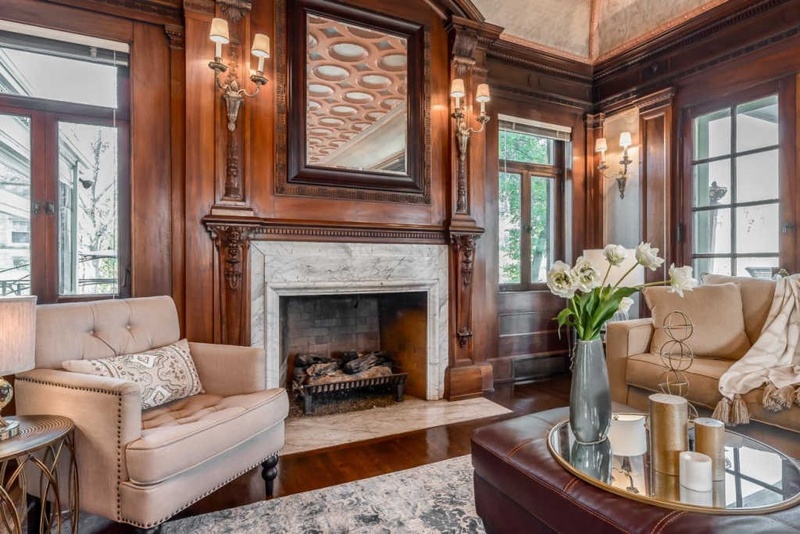 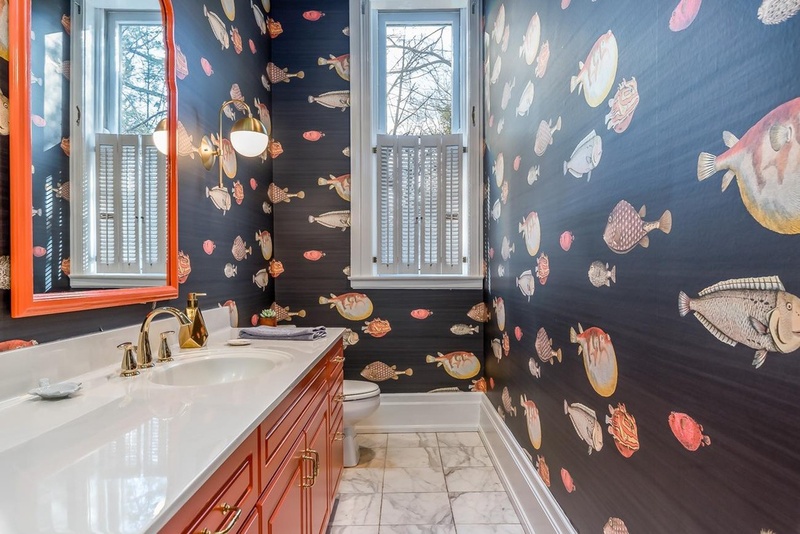 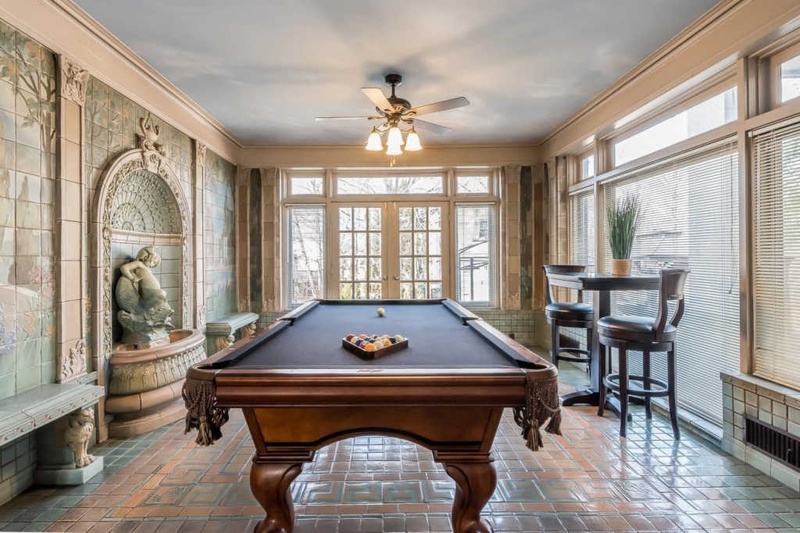 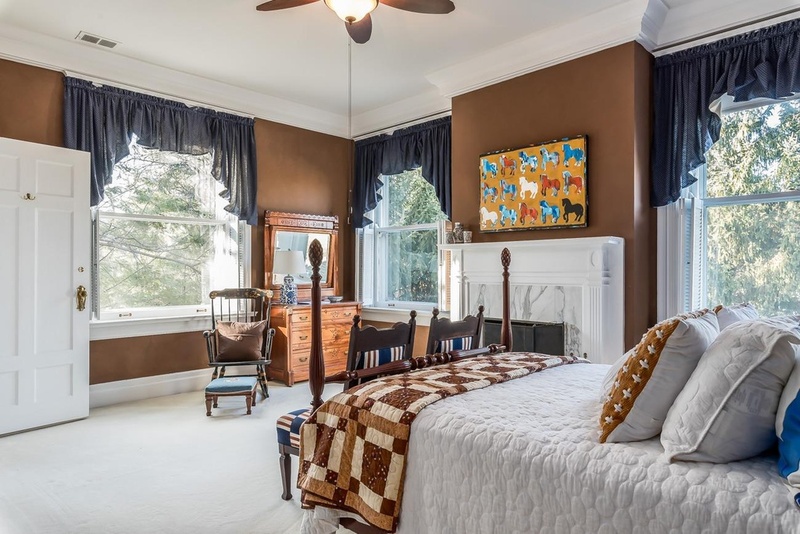 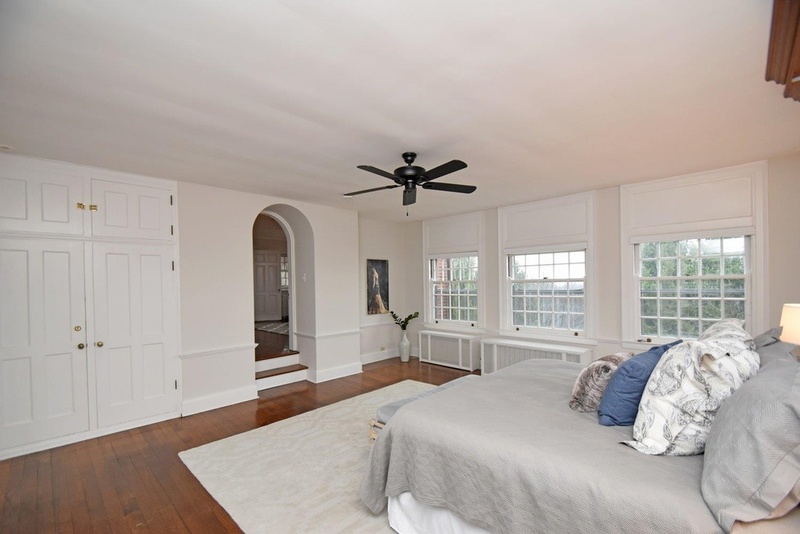 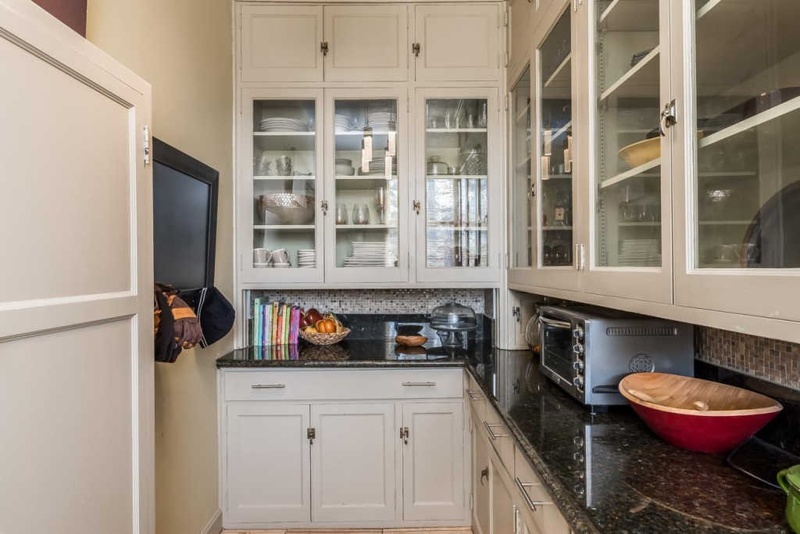 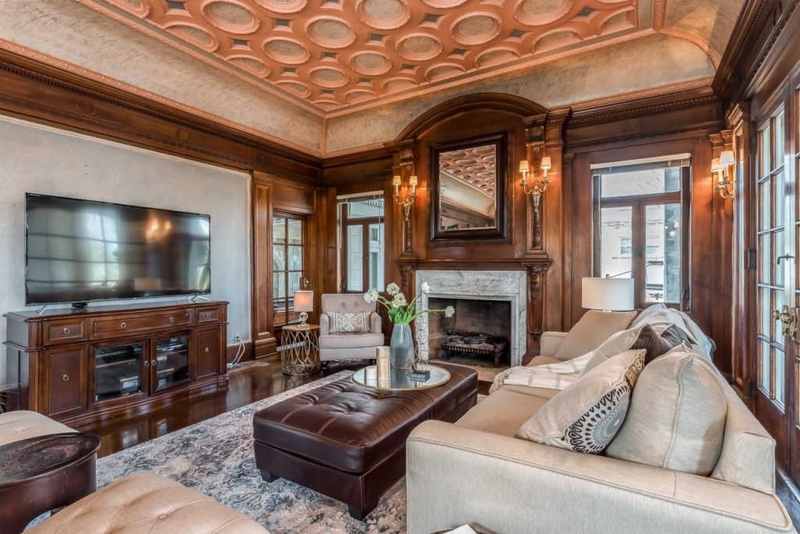 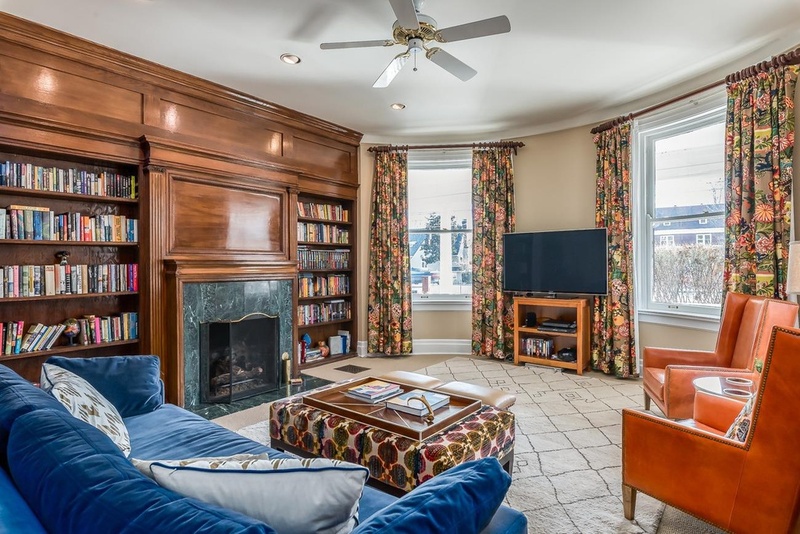 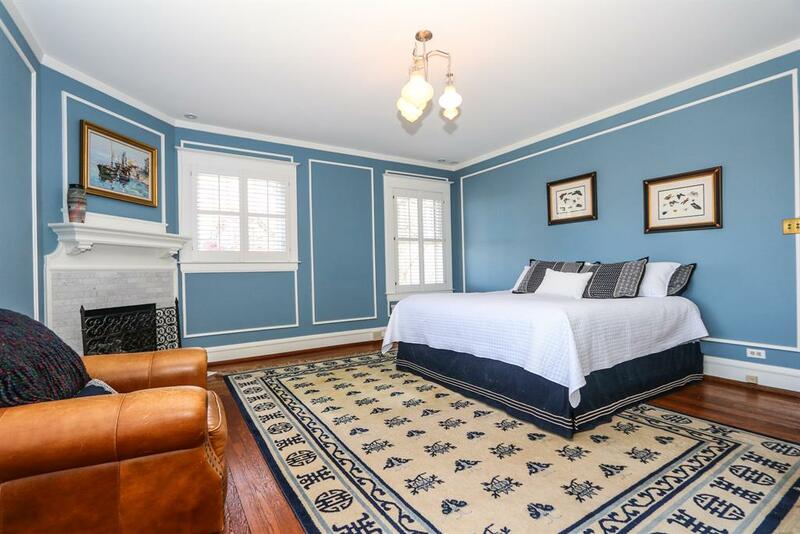 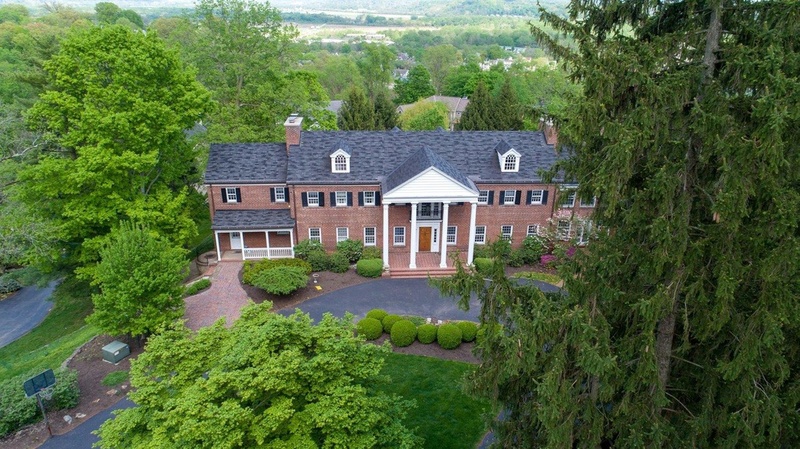 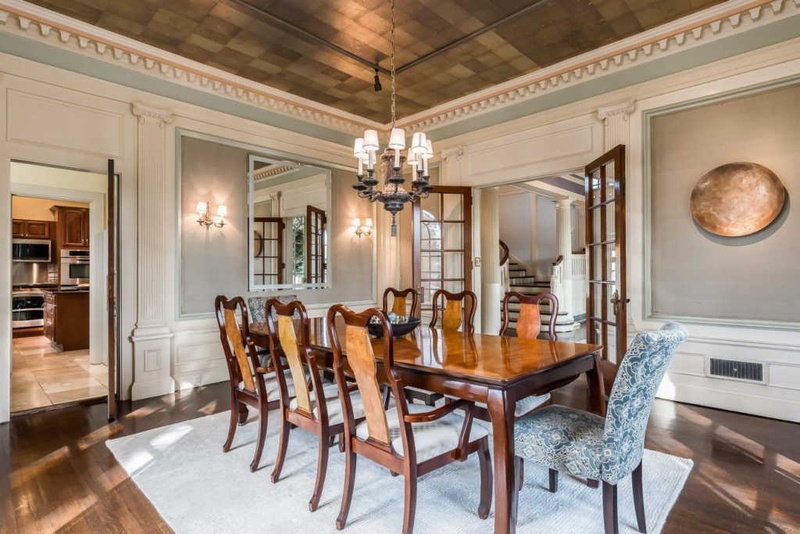 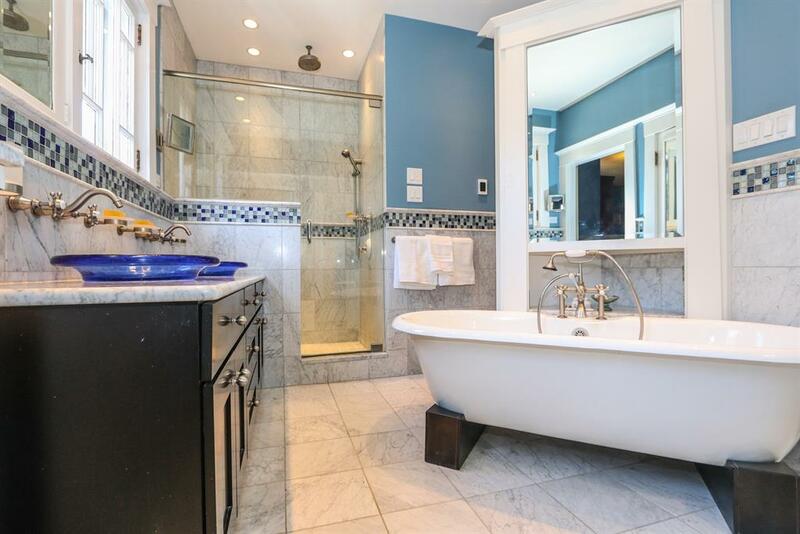 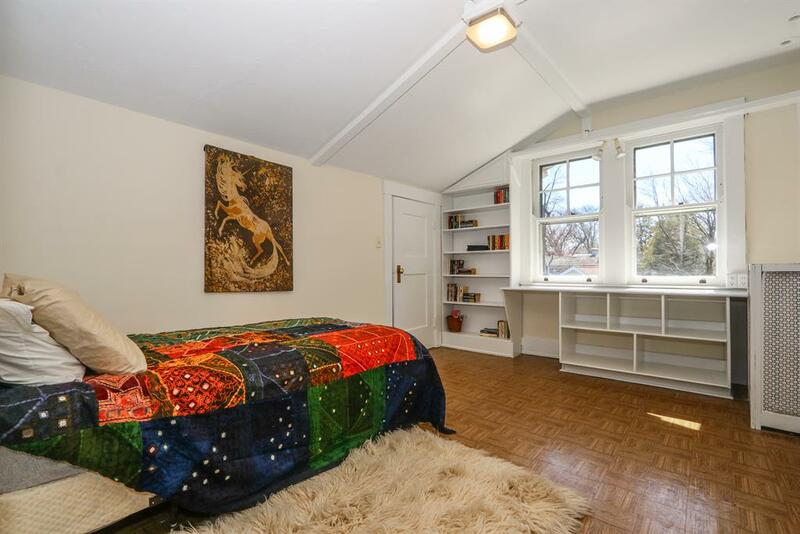 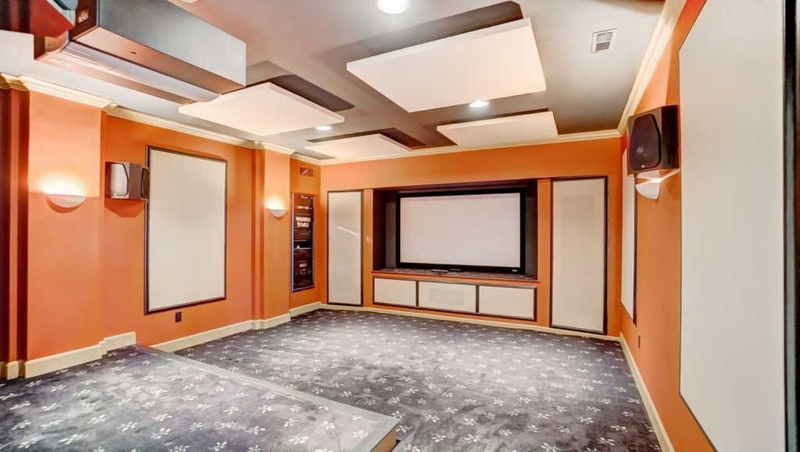 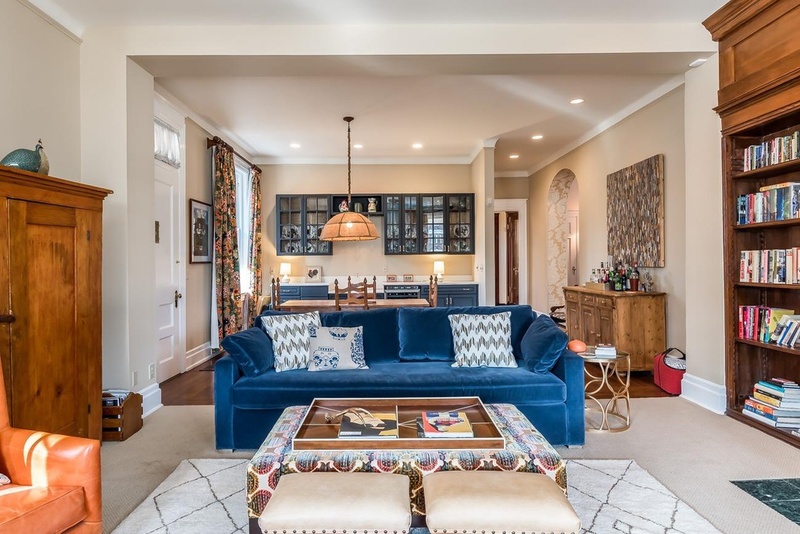 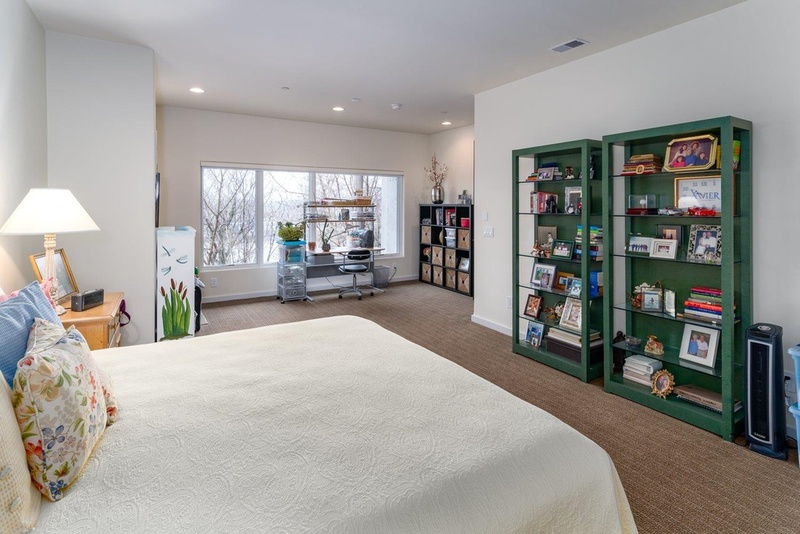 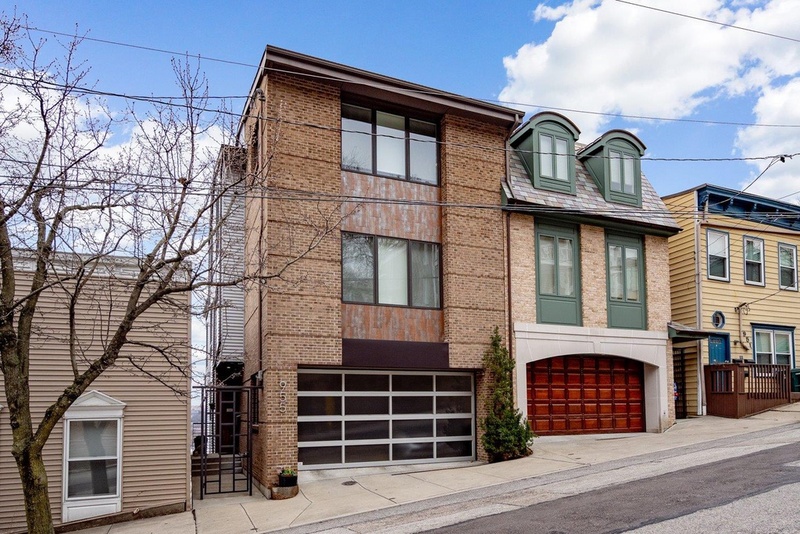 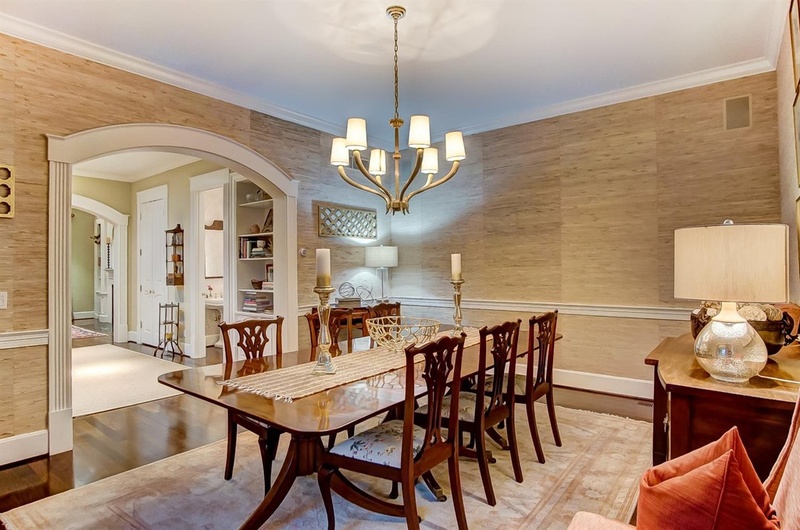 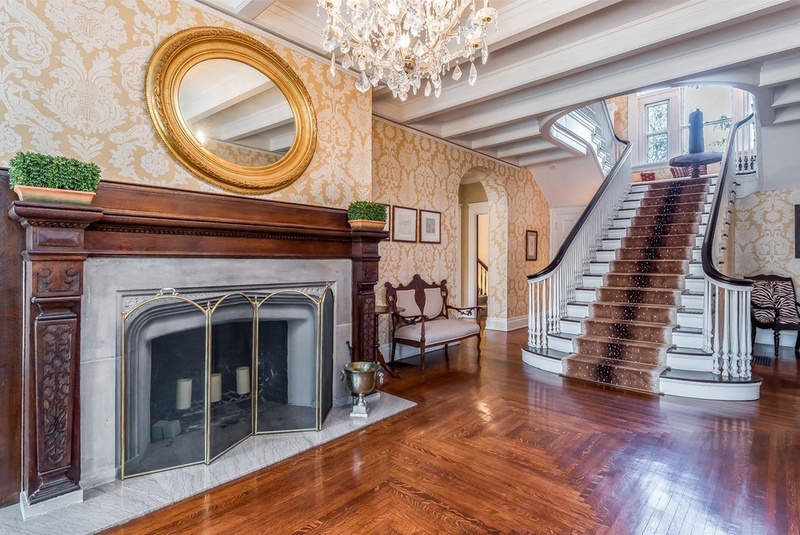 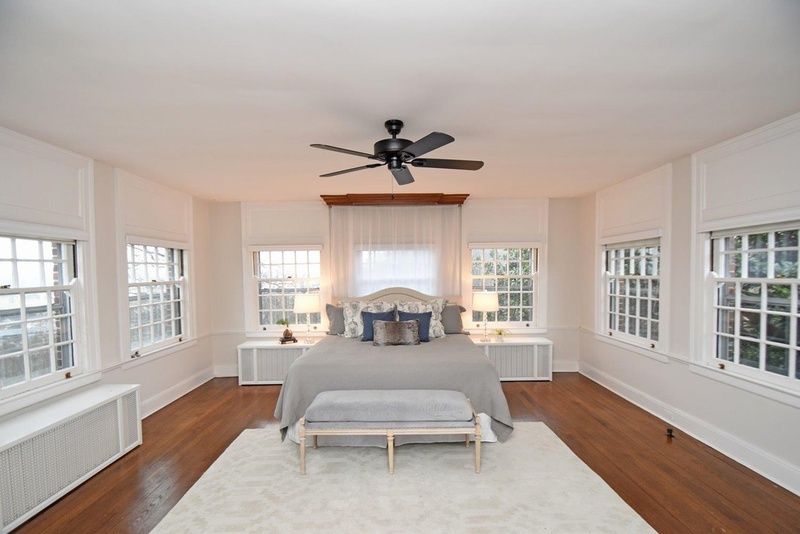 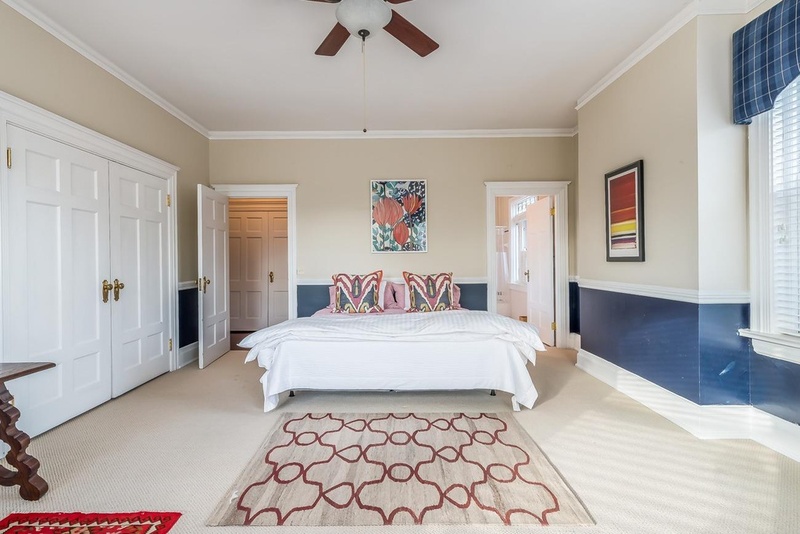 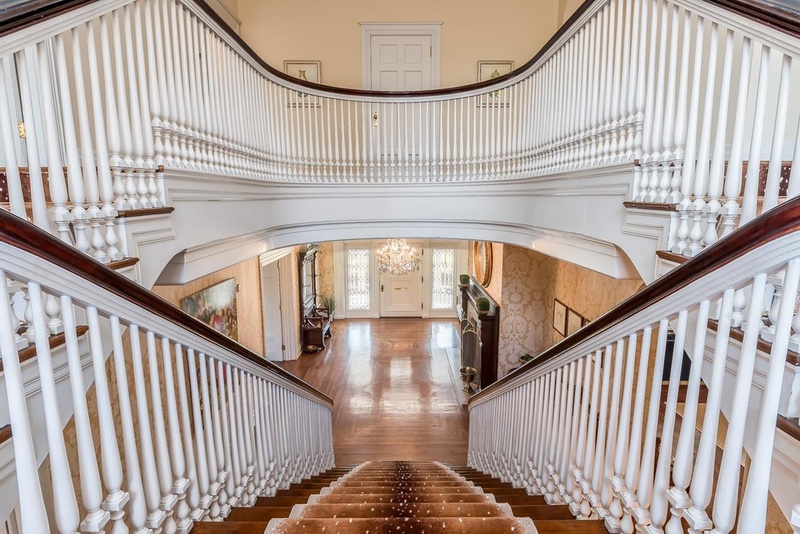 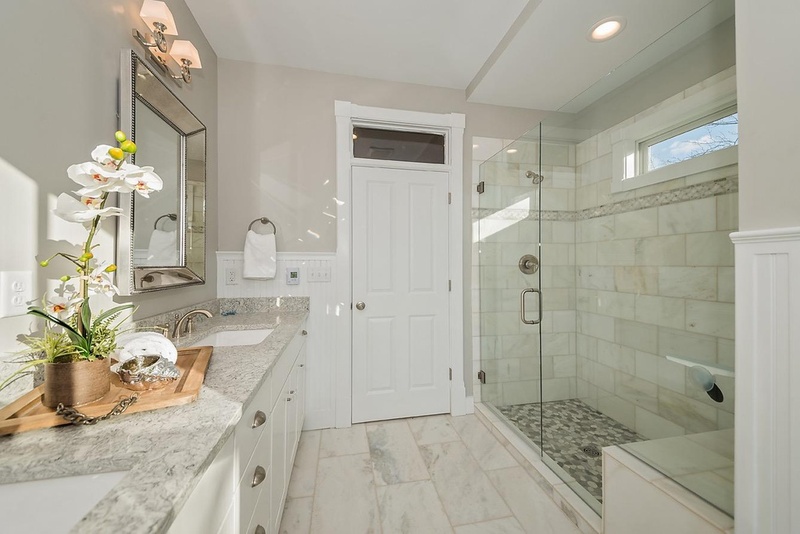 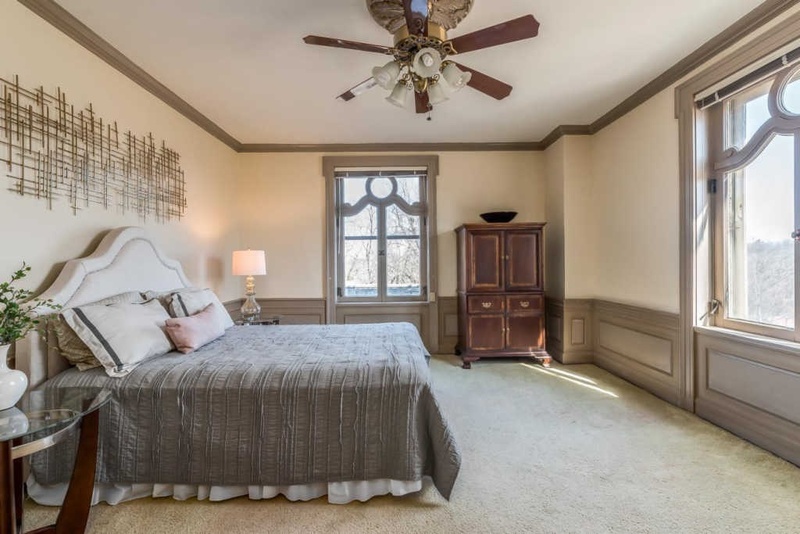 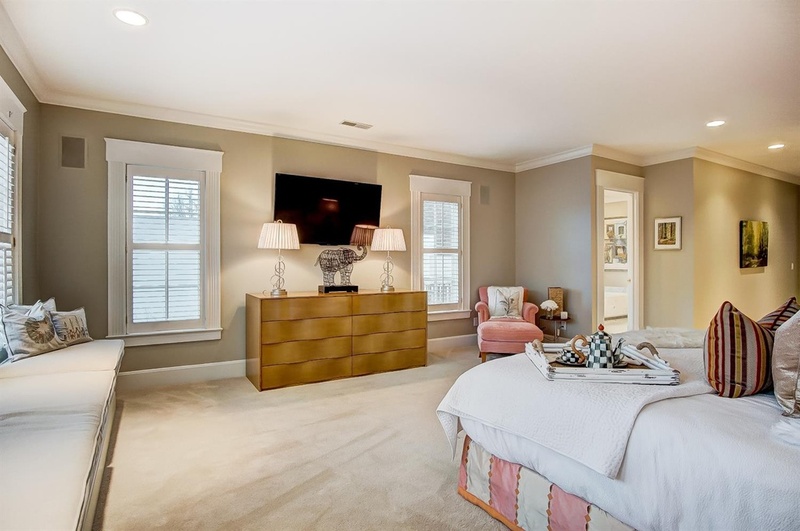 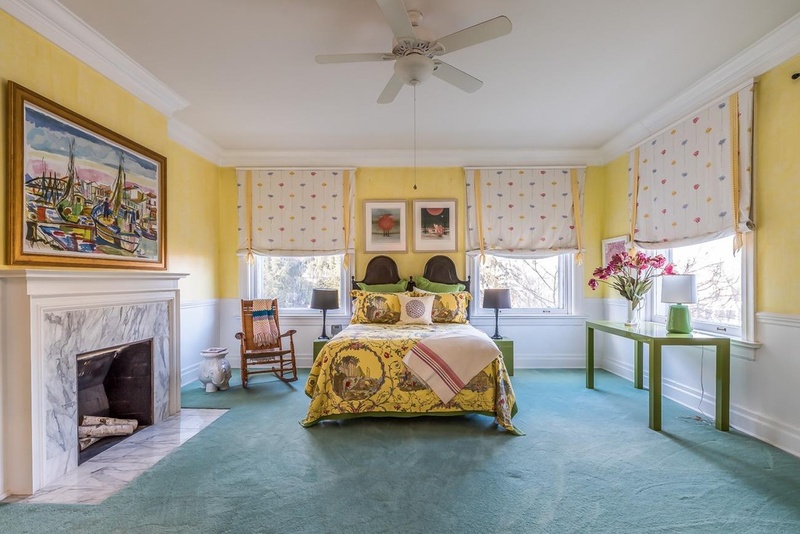 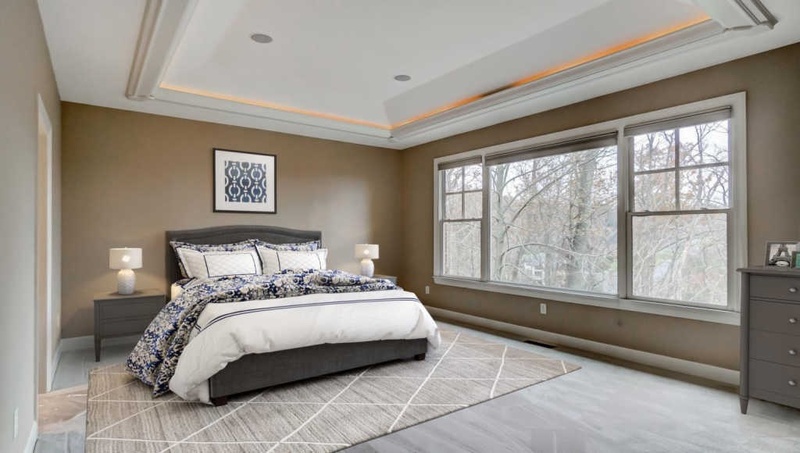 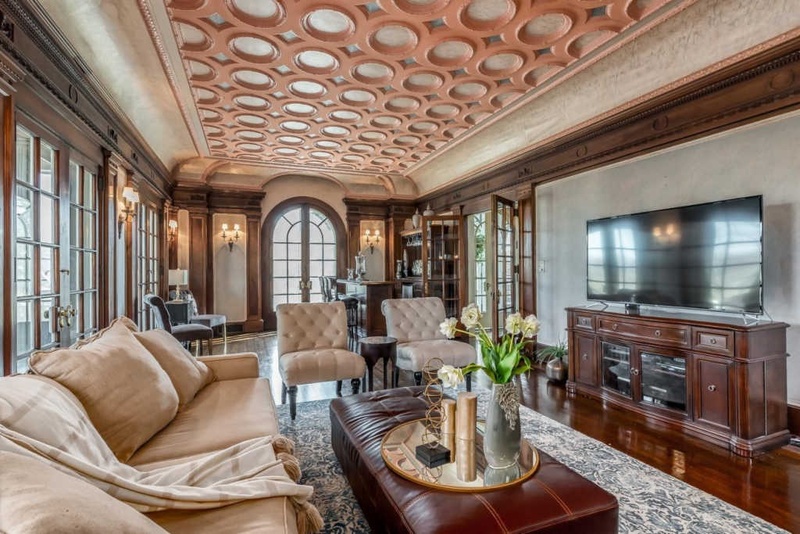 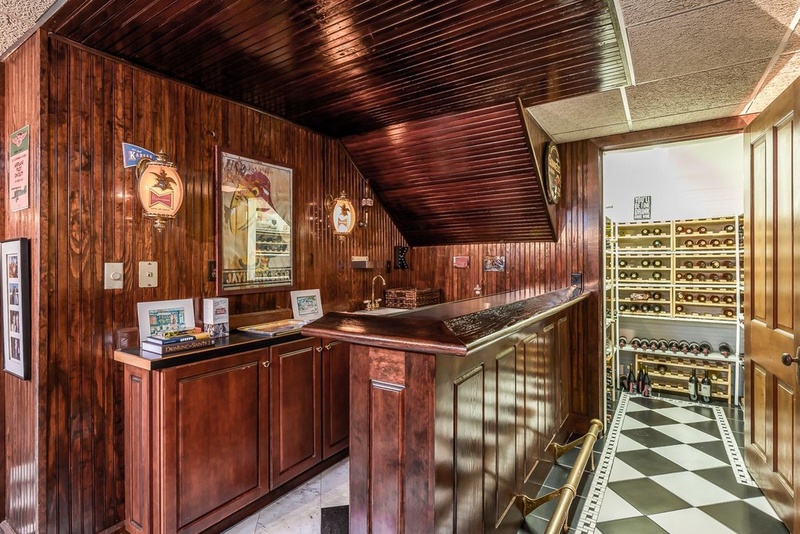 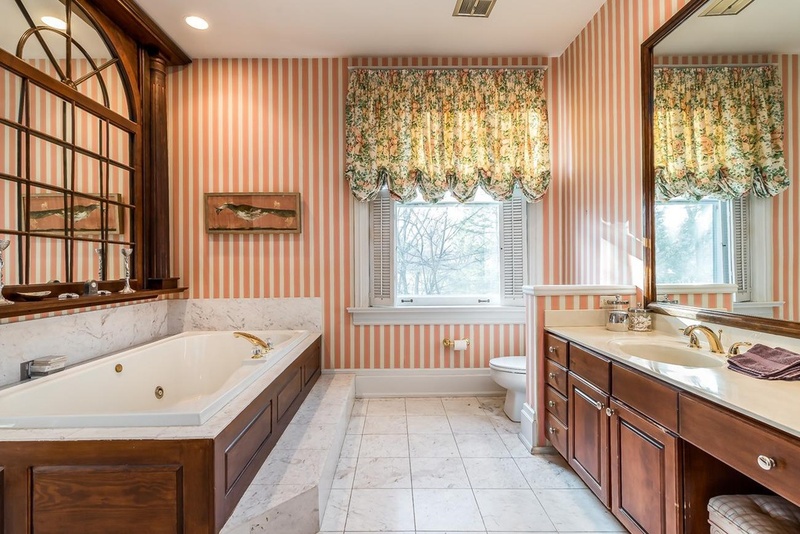 From six bedrooms and seven bathrooms to a wine cellar and three car garage, this week's Listing of the Week has lots of room and even more charm. 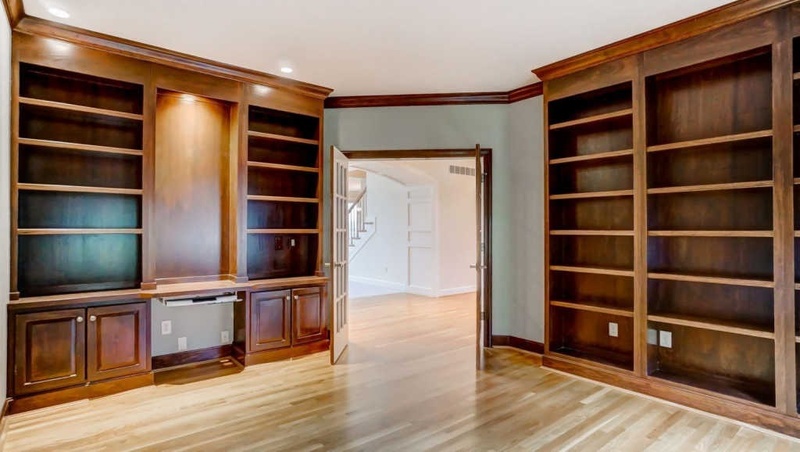 Read on to see inside. 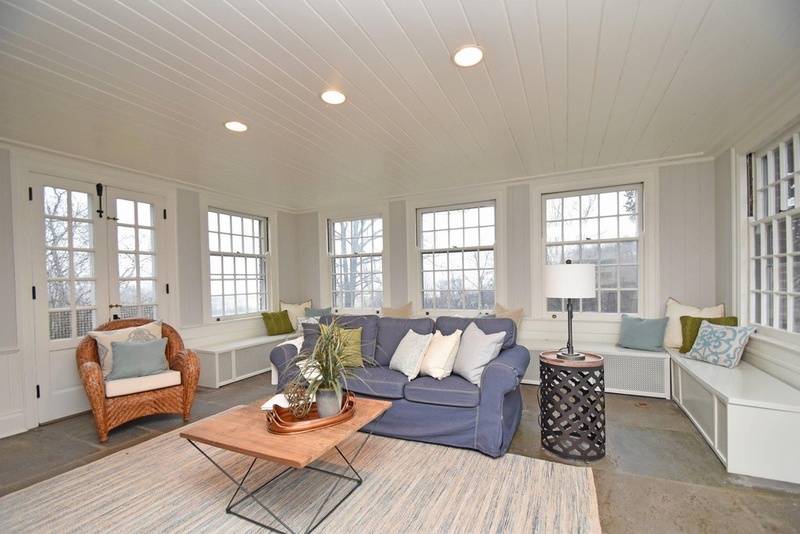 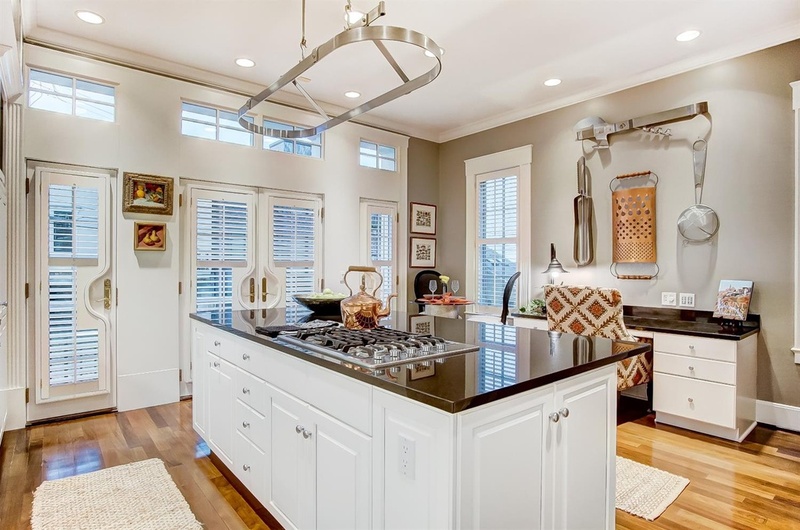 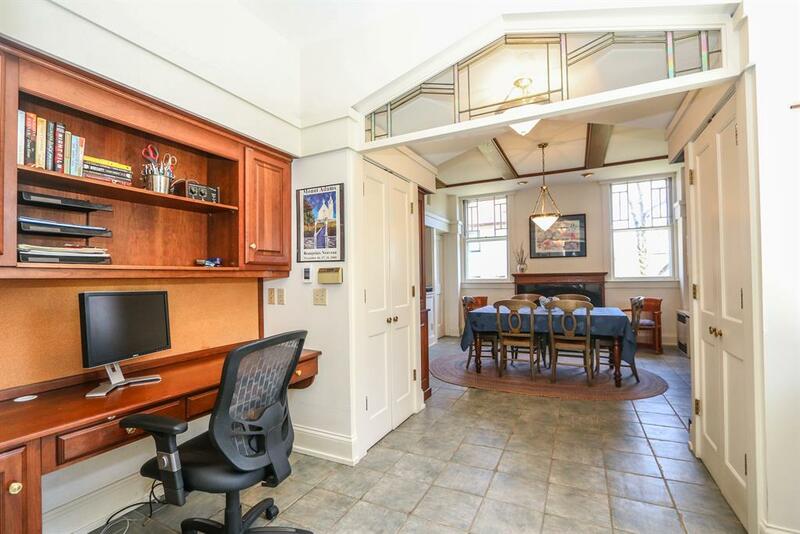 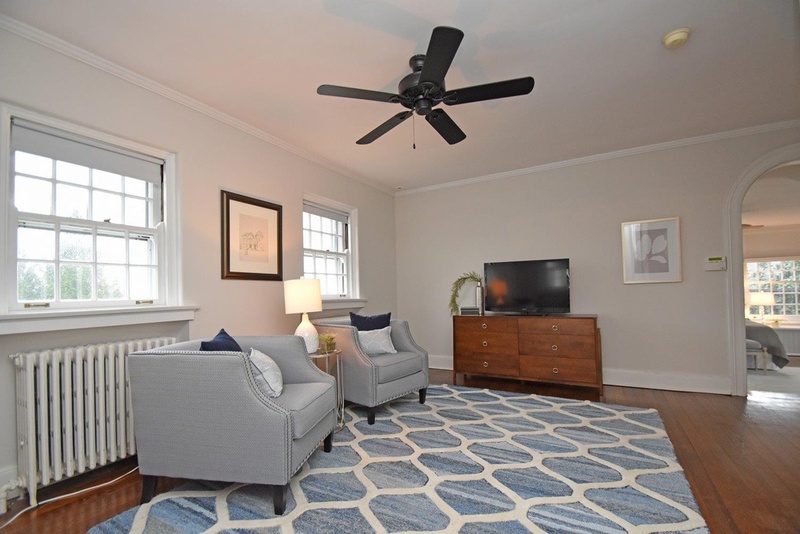 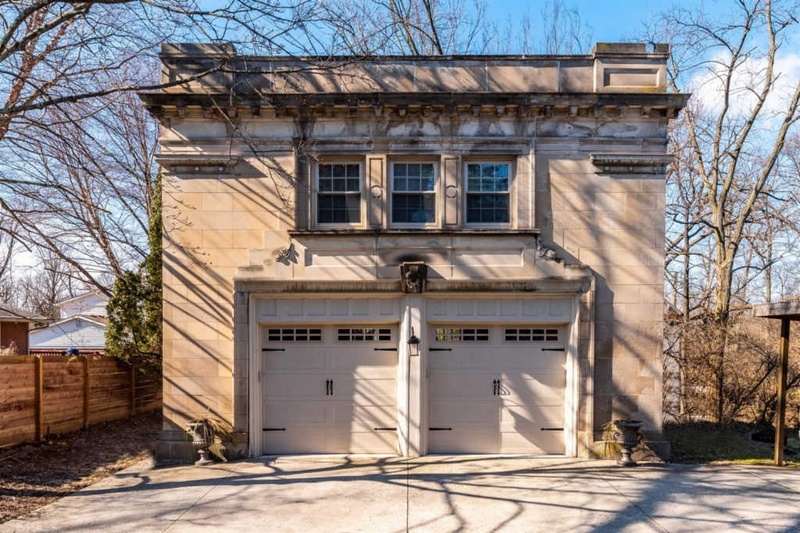 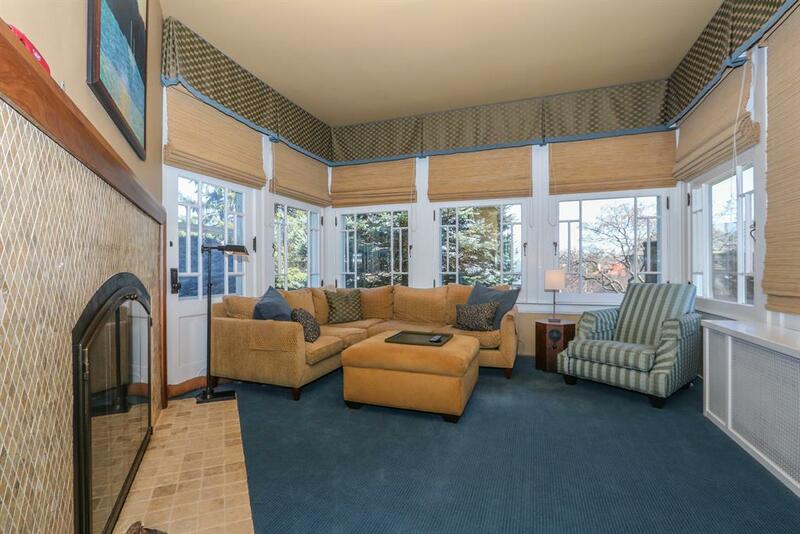 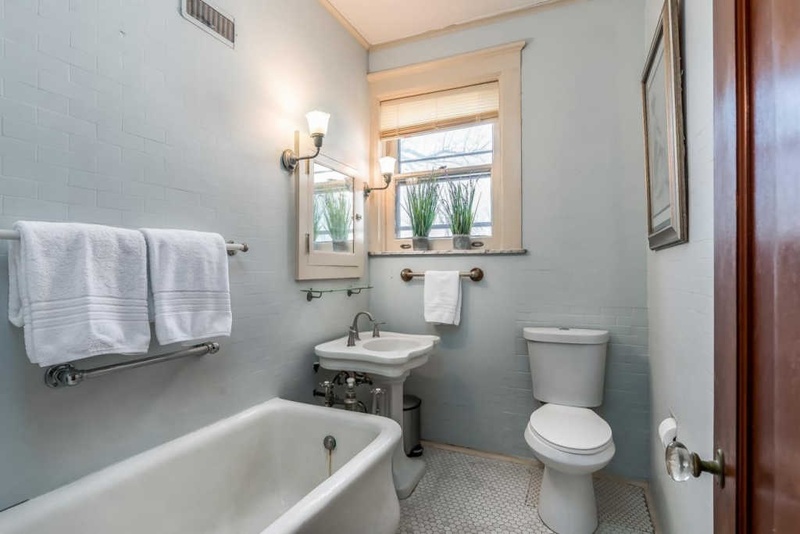 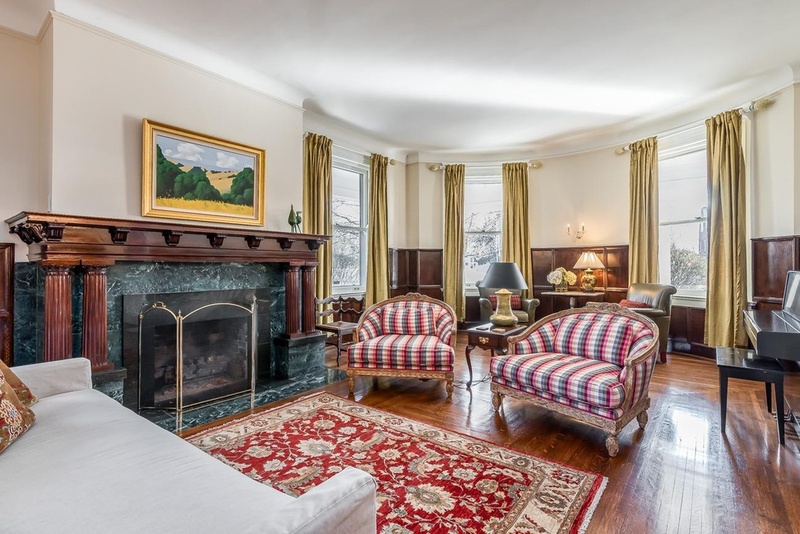 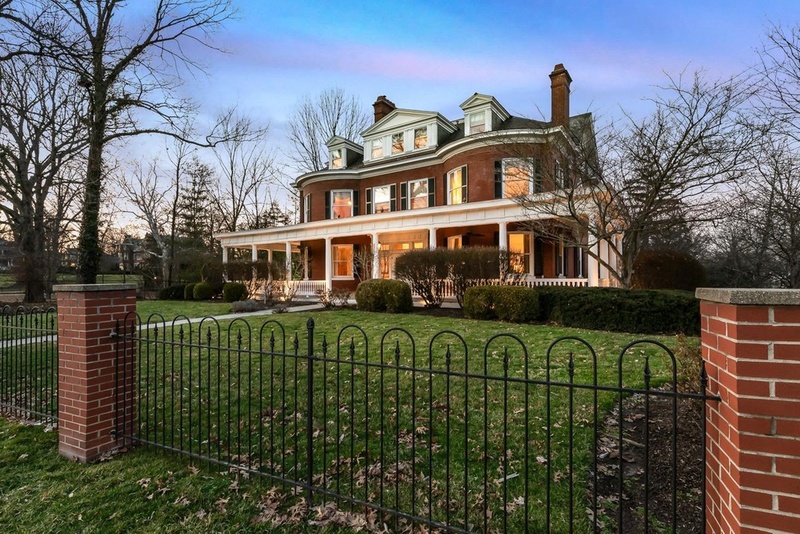 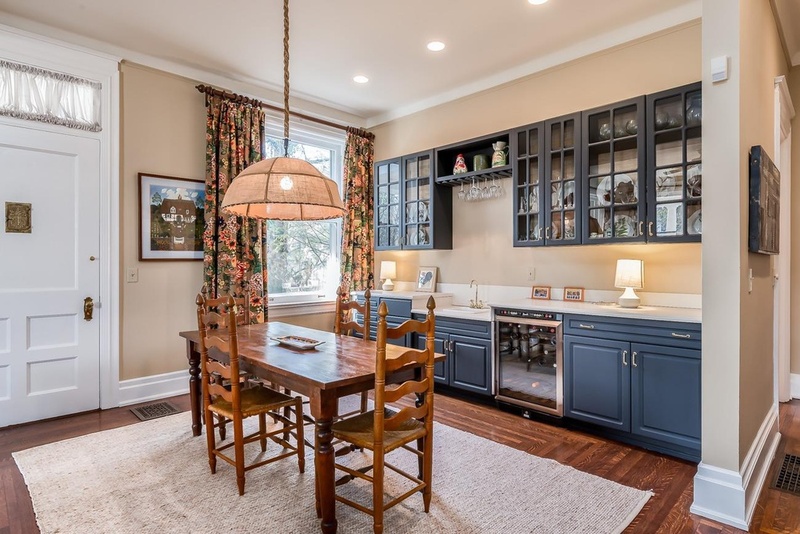 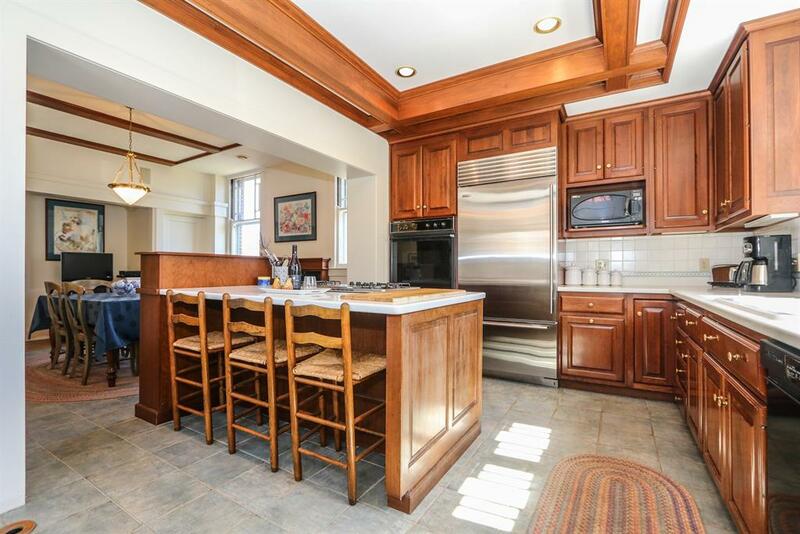 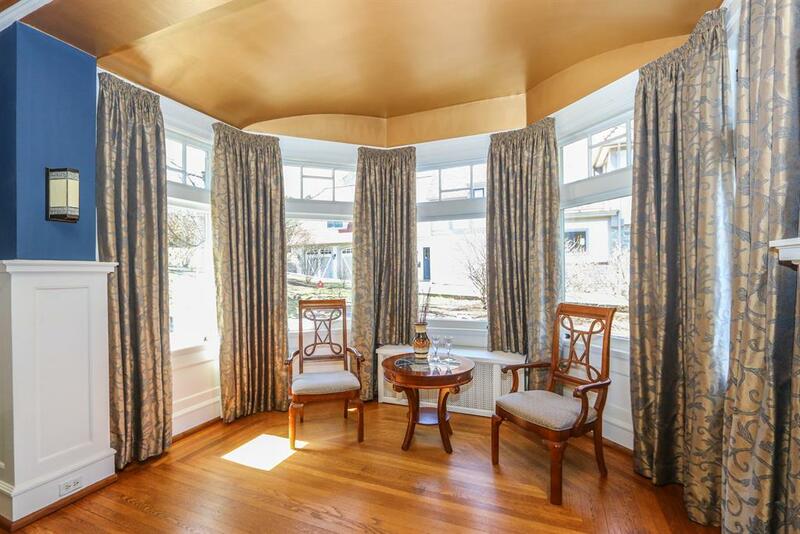 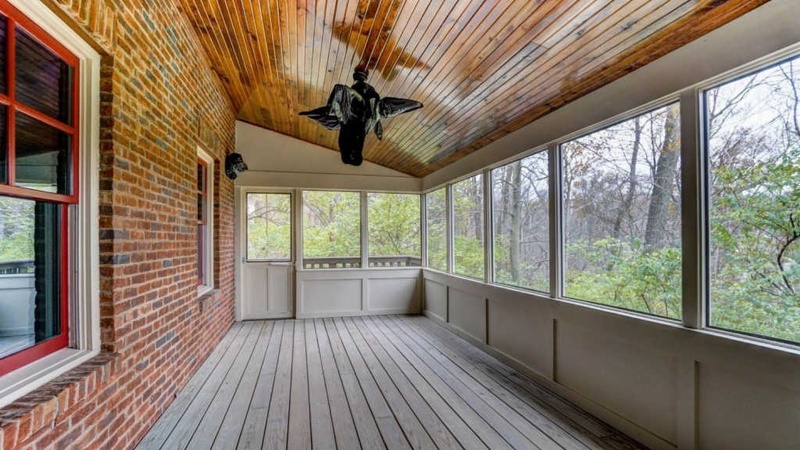 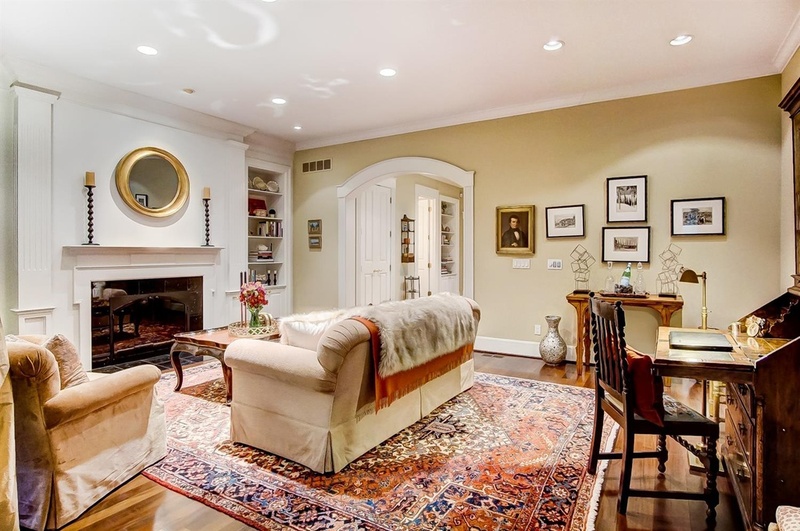 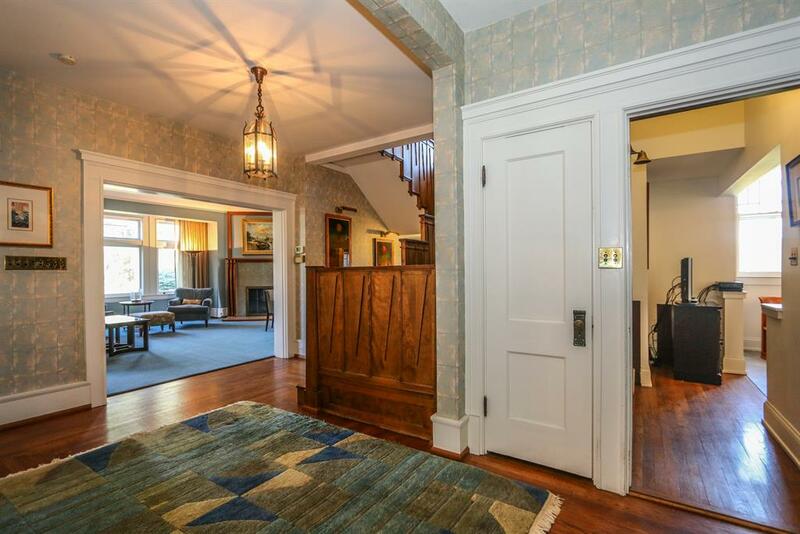 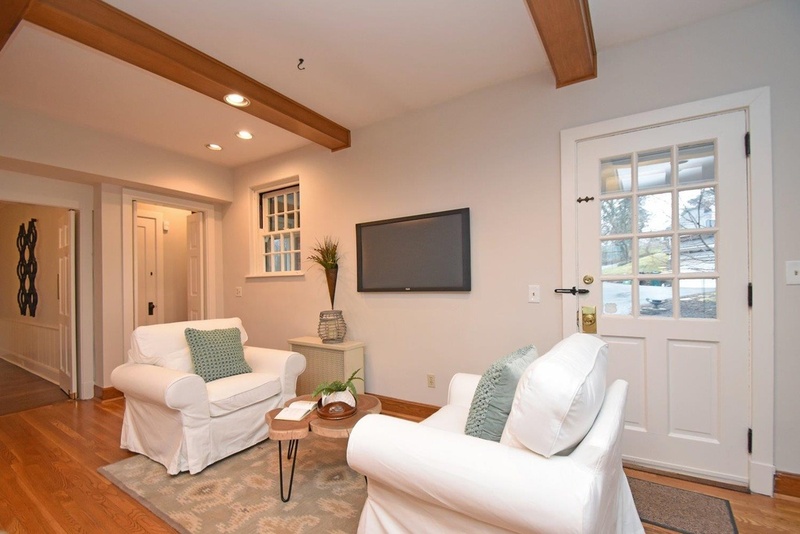 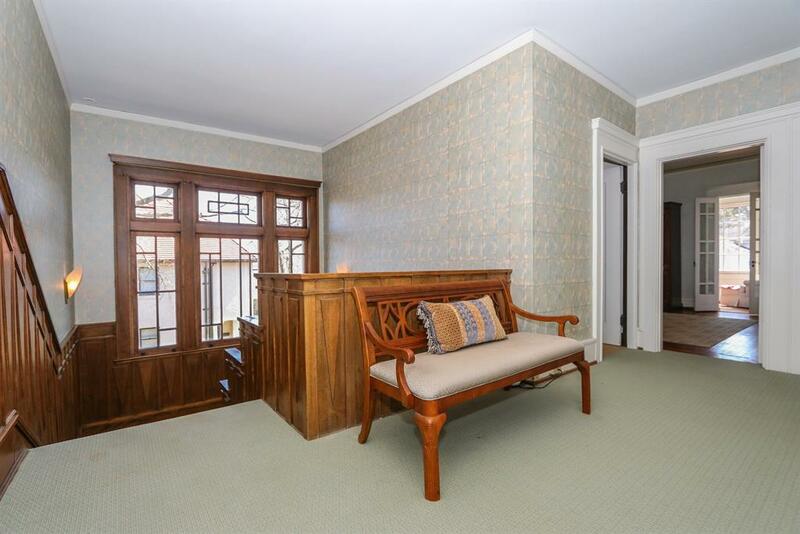 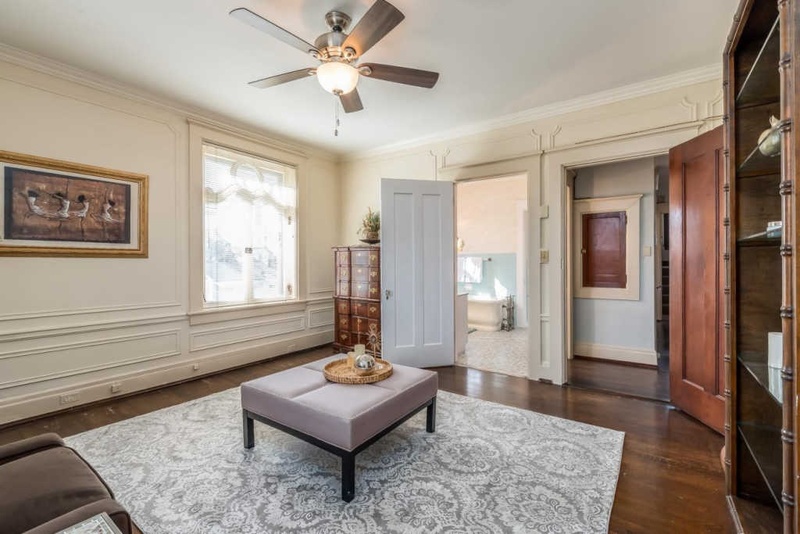 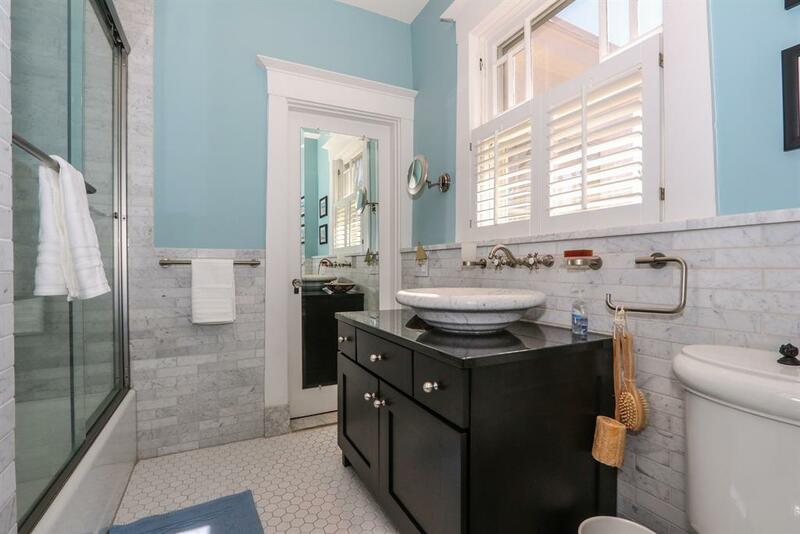 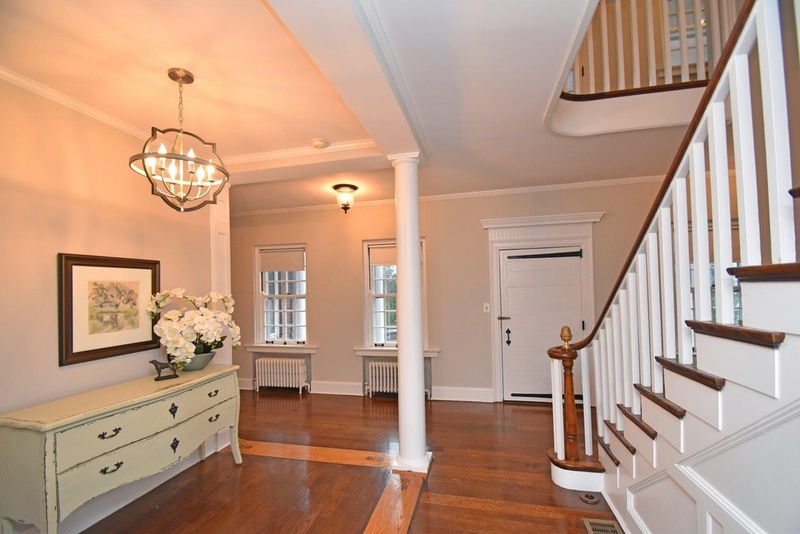 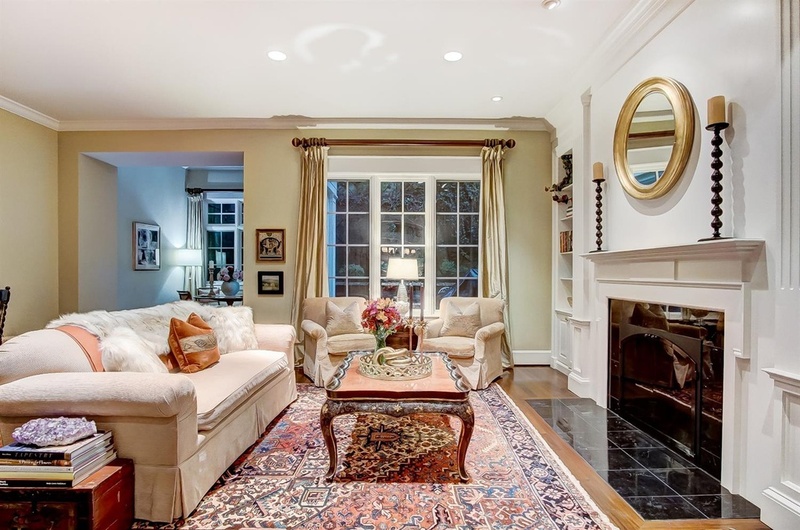 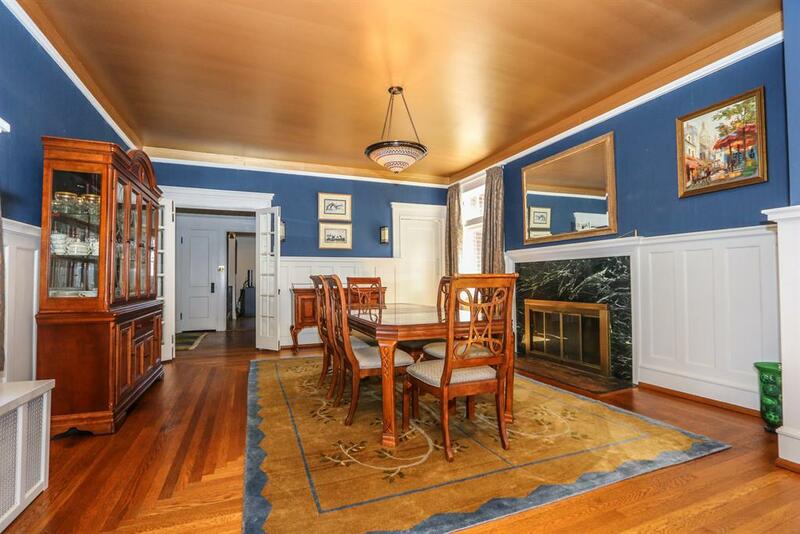 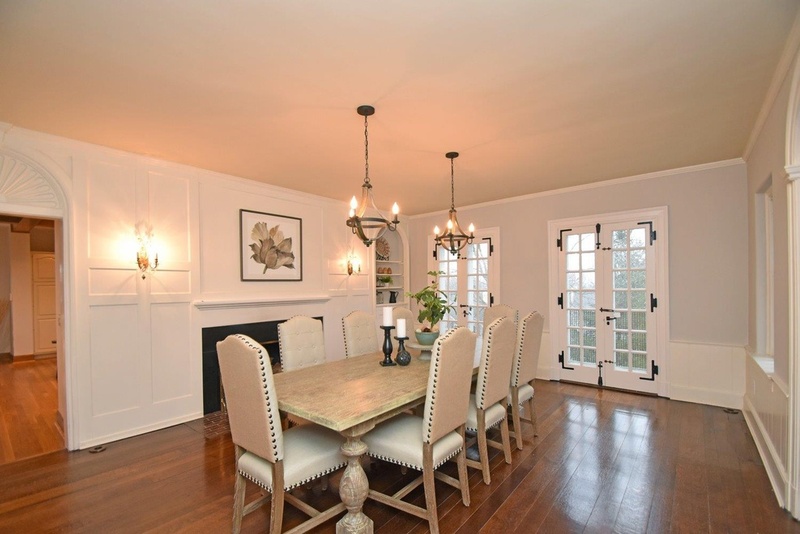 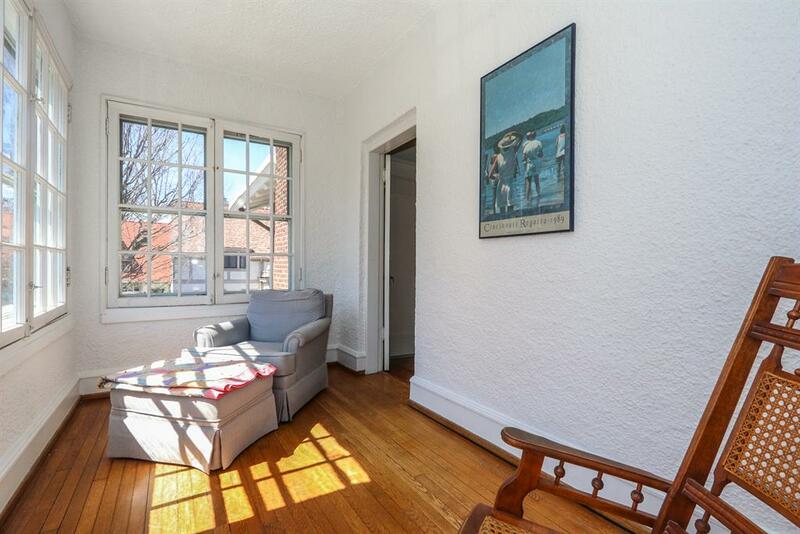 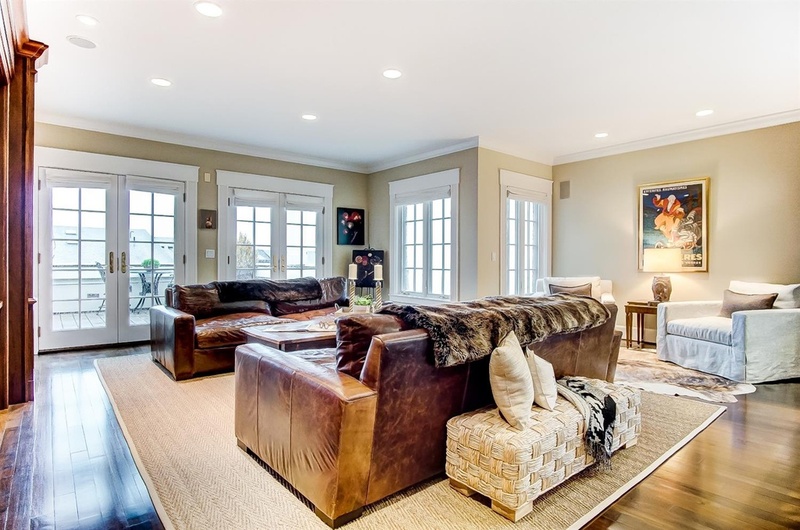 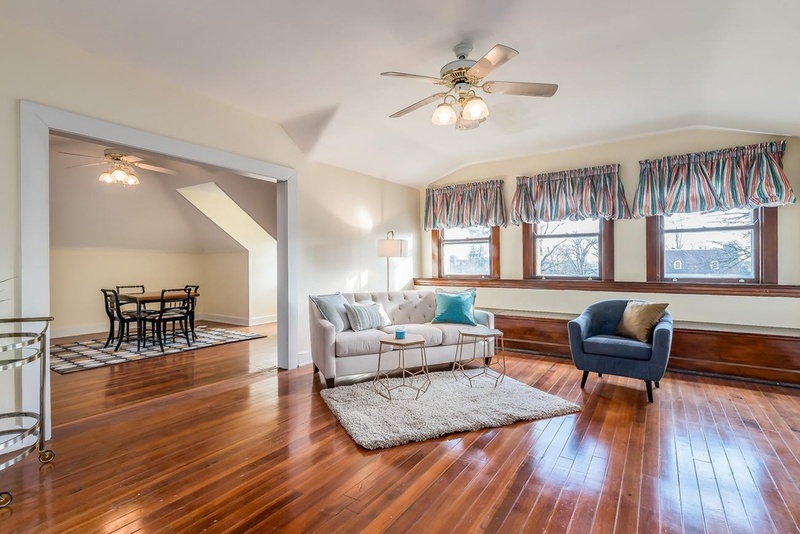 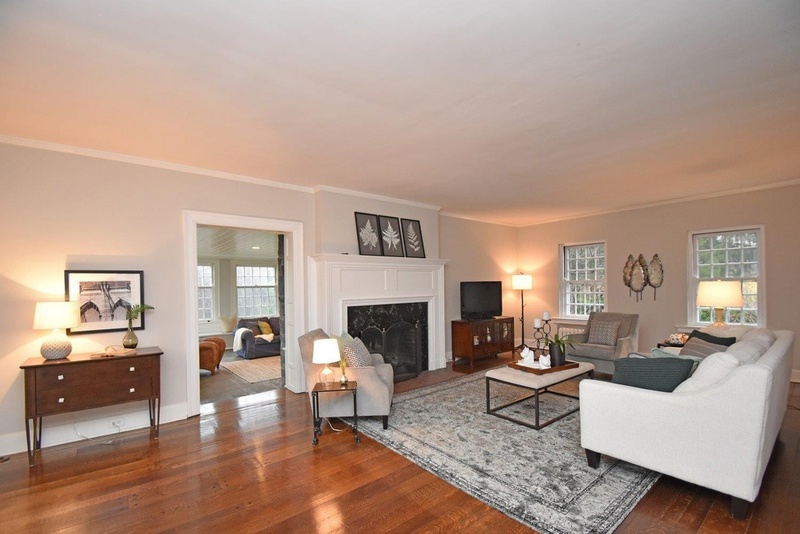 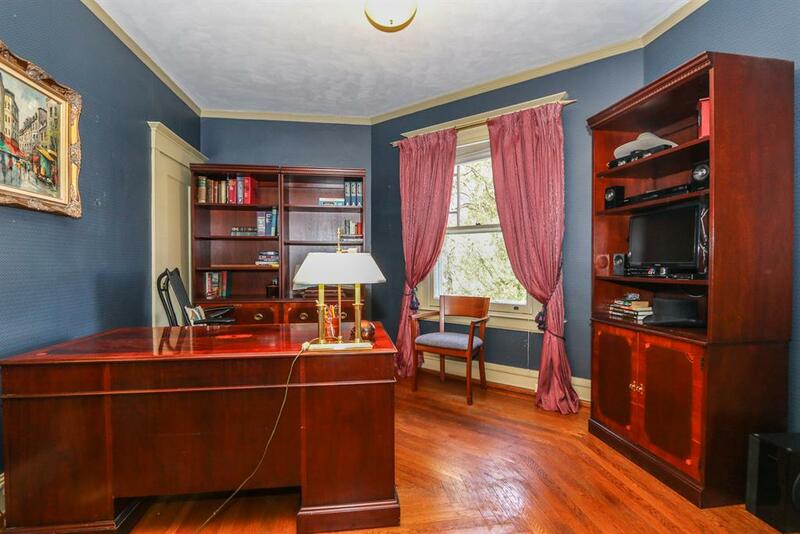 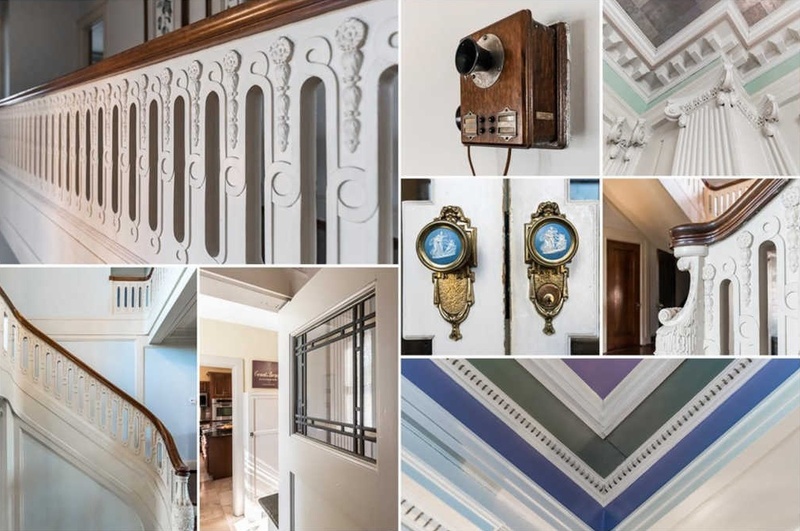 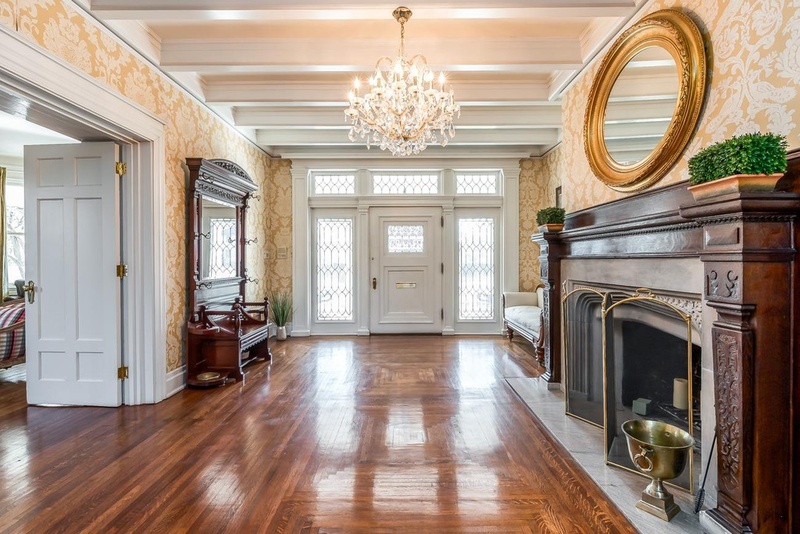 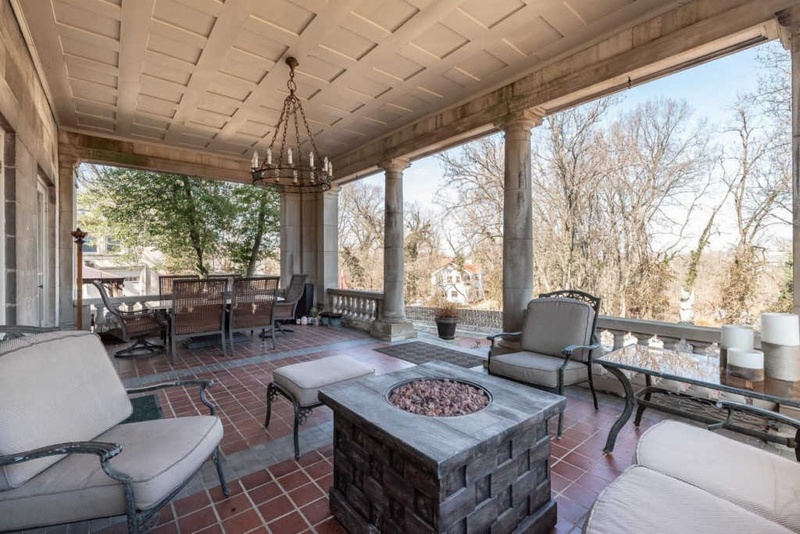 There’s certainly no lack of character in this beautiful home located in Walnut Hills Historic District. 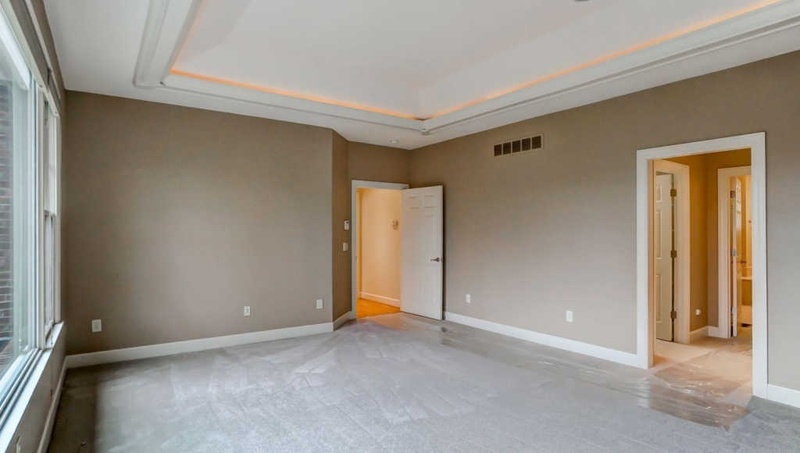 Rooms are large and their unique architecture feature endless character. 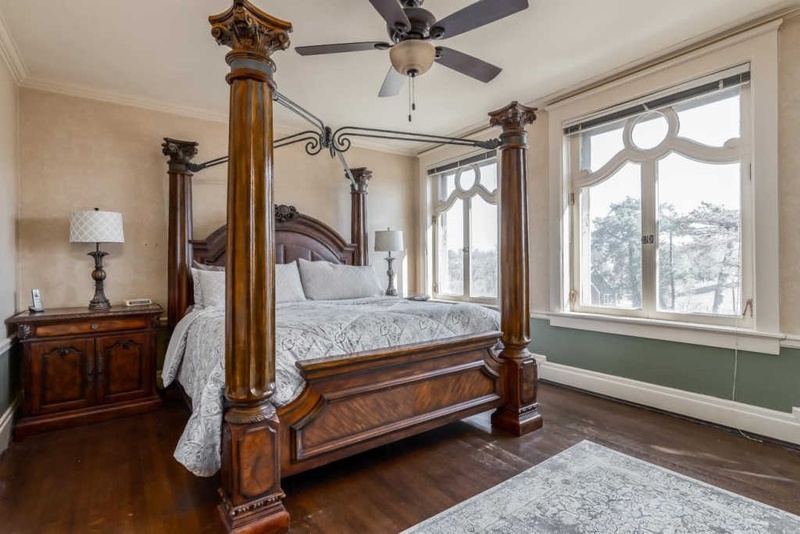 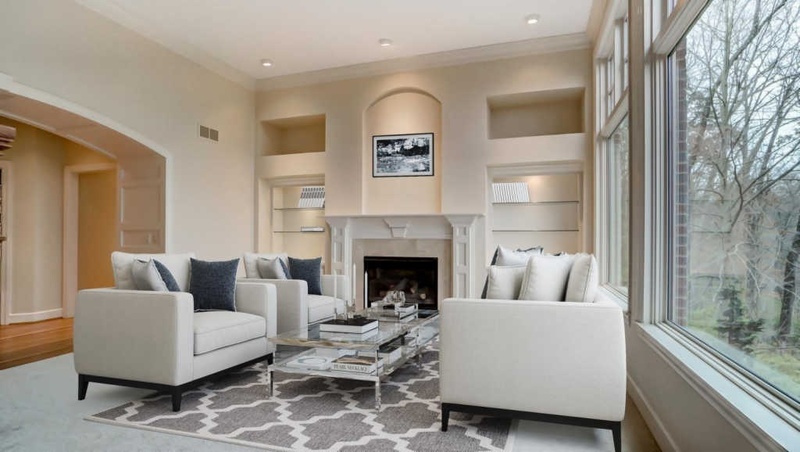 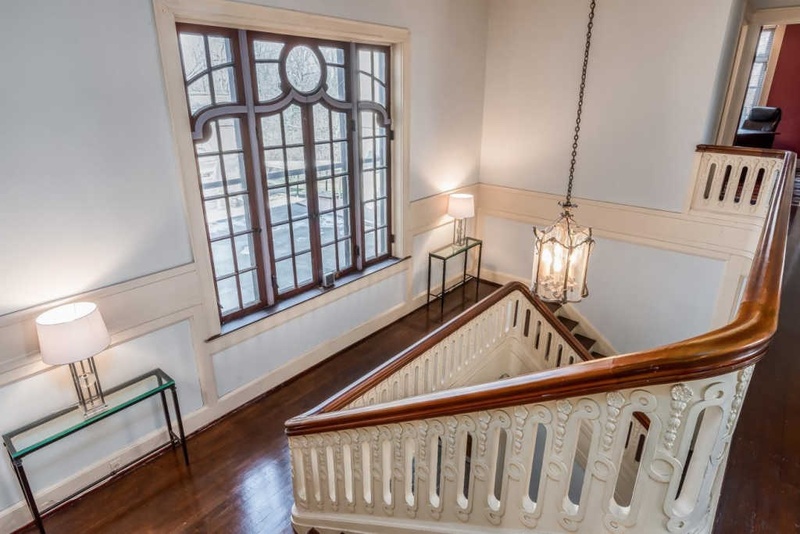 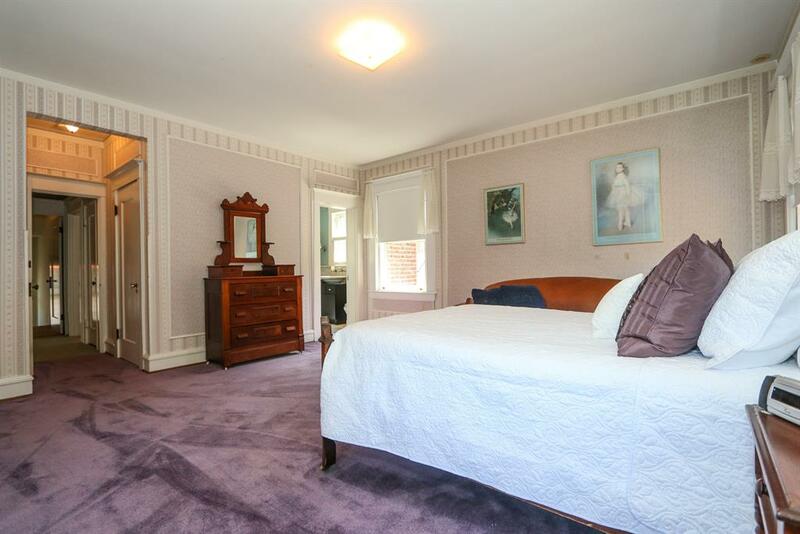 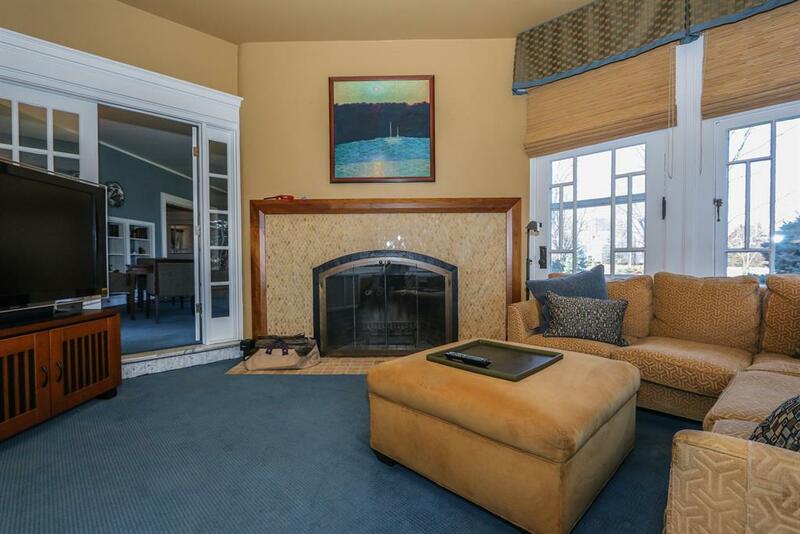 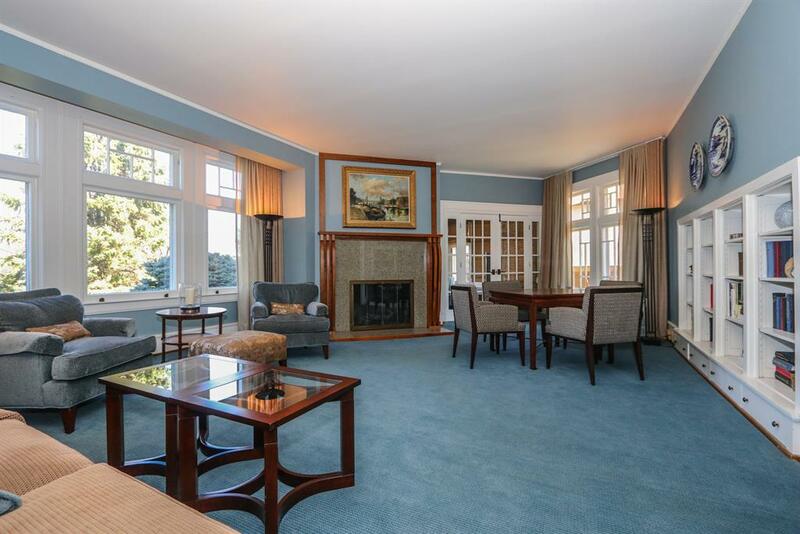 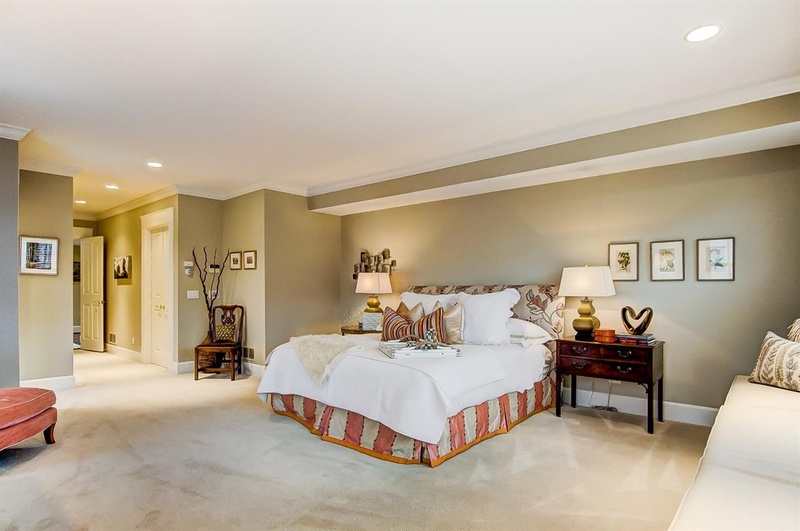 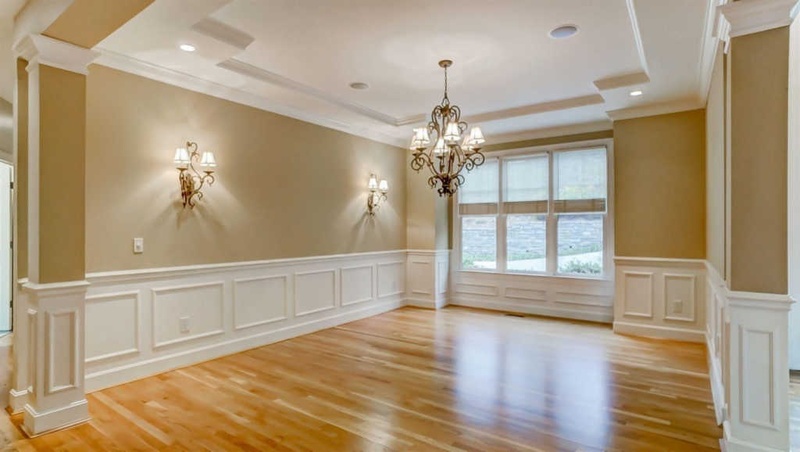 Every room is gorgeous, including the 6 bedrooms and 7 bathrooms. 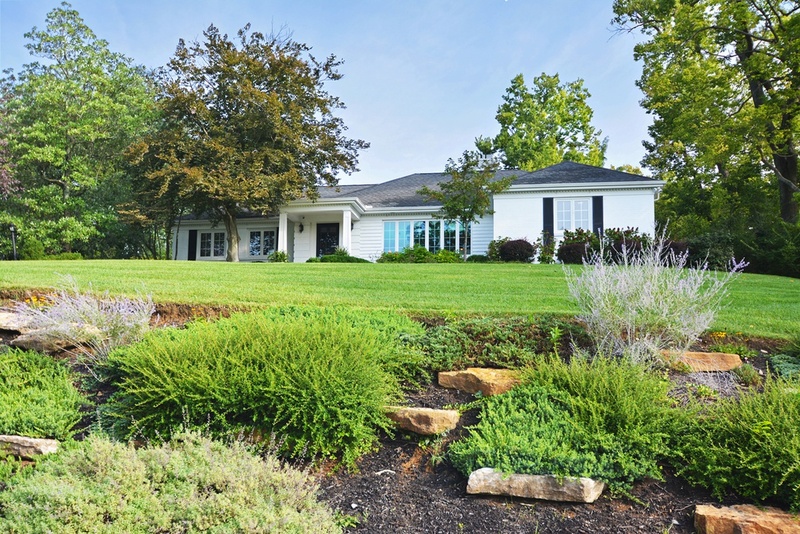 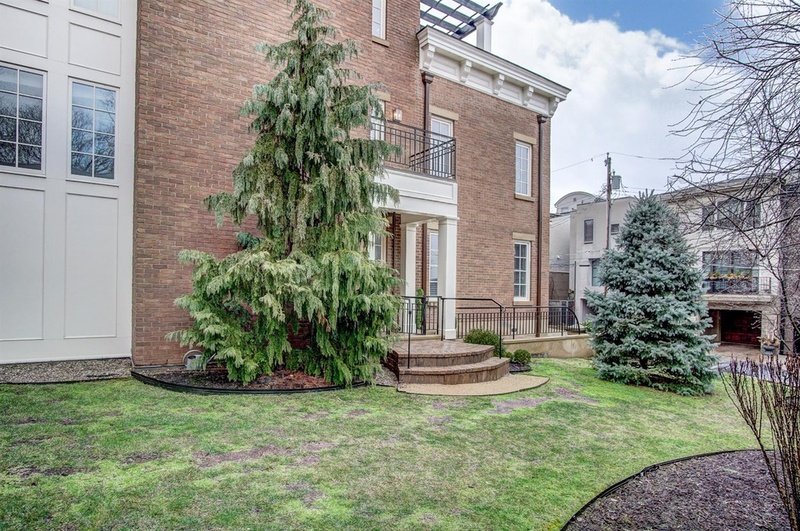 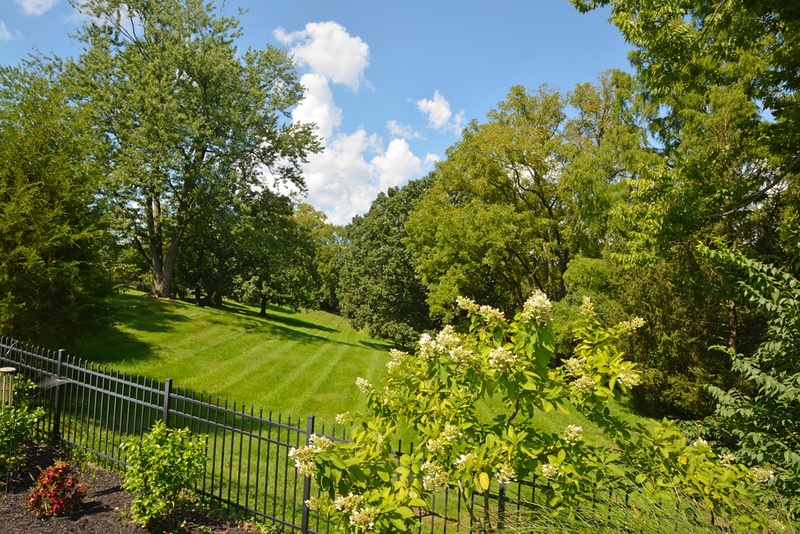 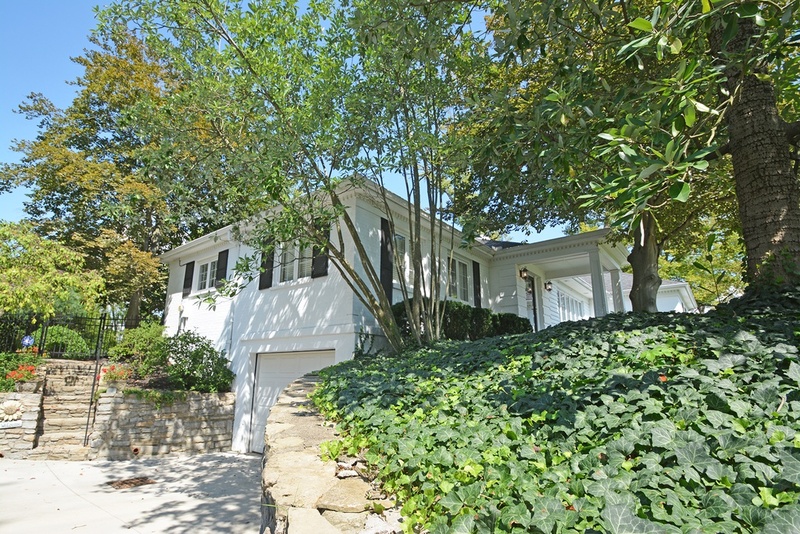 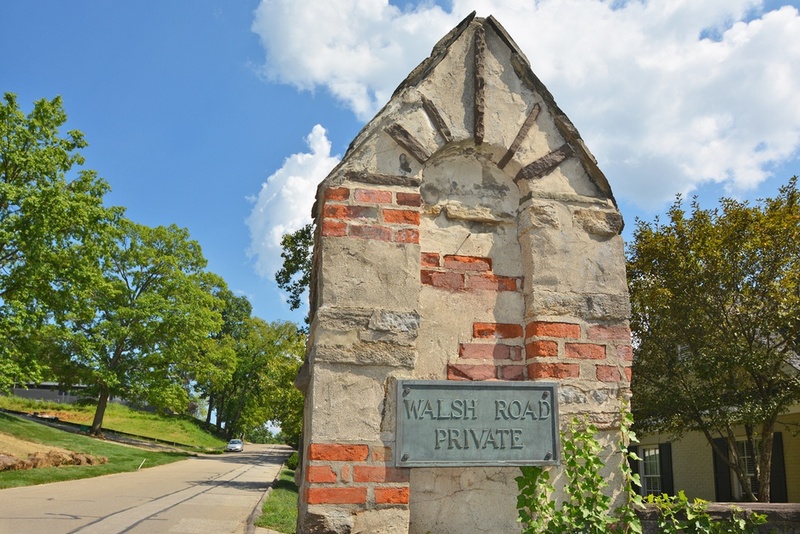 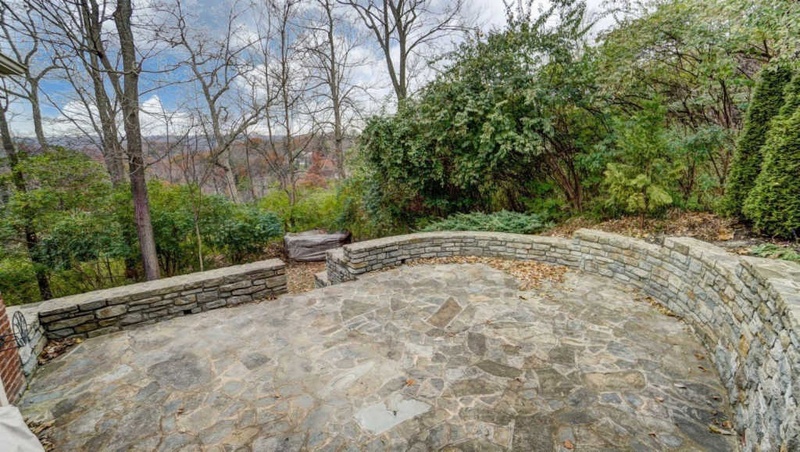 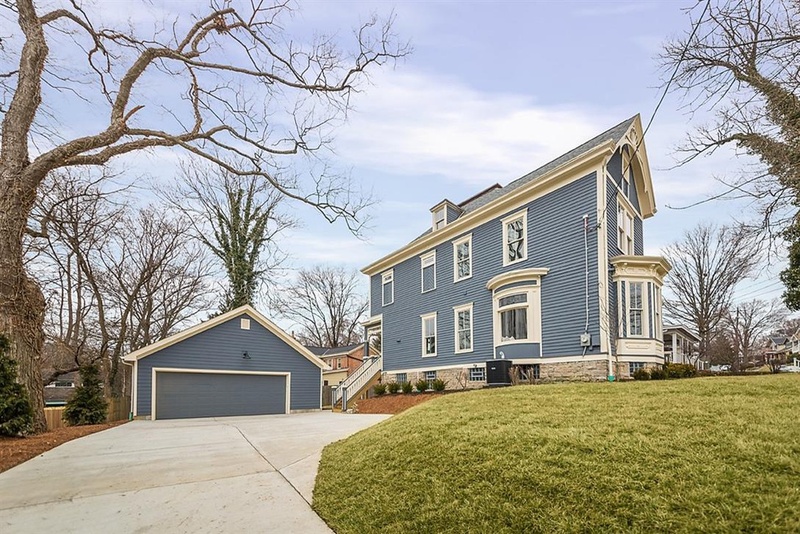 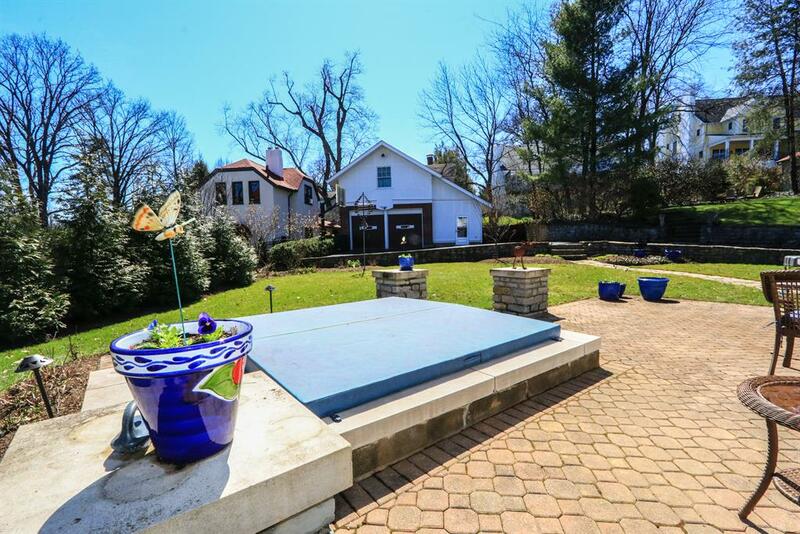 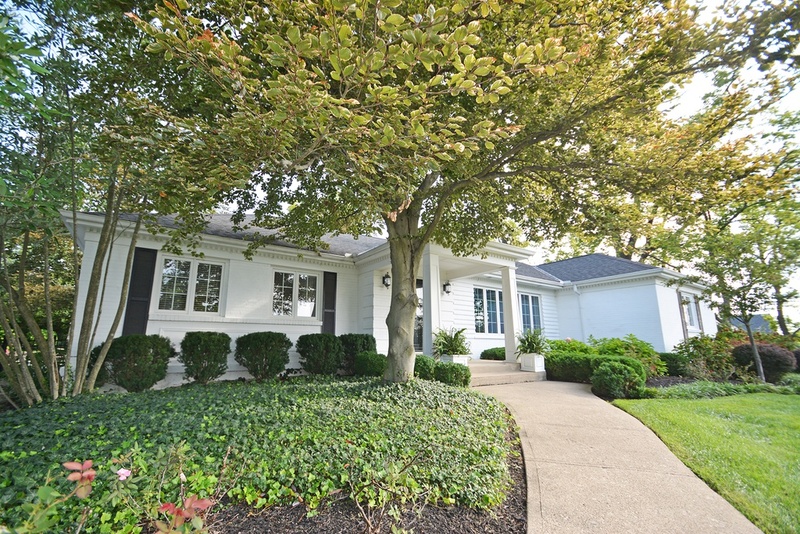 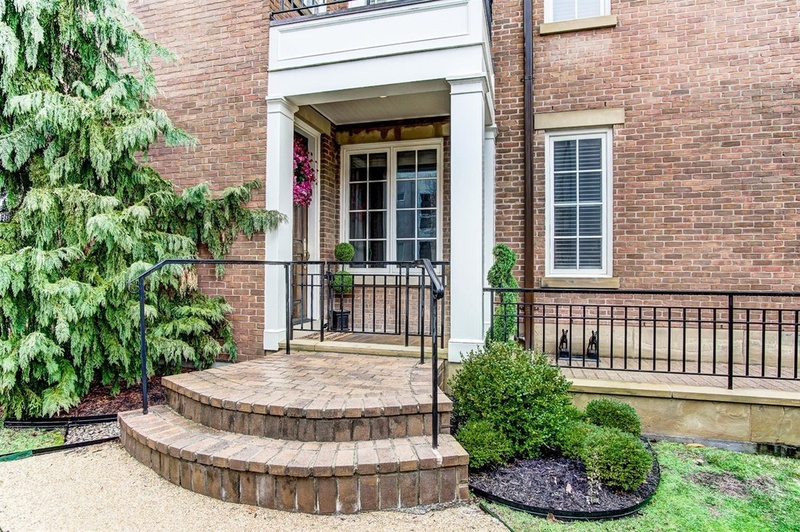 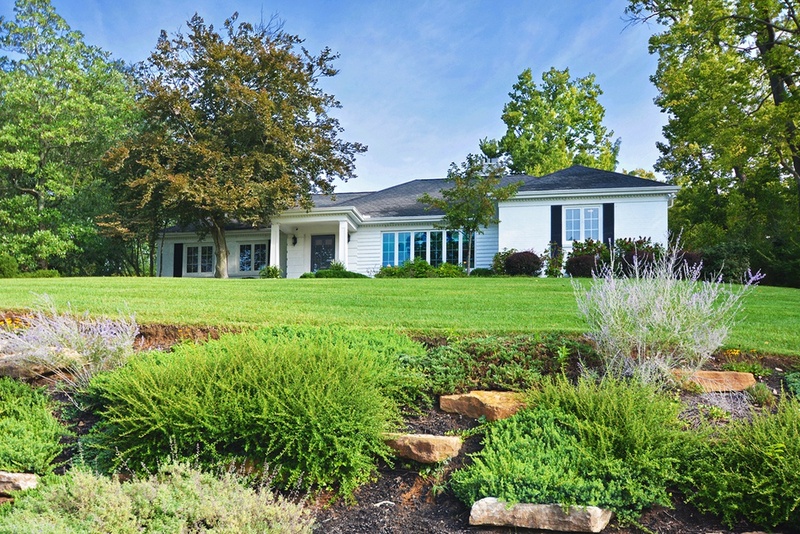 Listed at $985,000, this Walnut Hills home has a fenced in lot with a fountain in the backyard for entertaining. 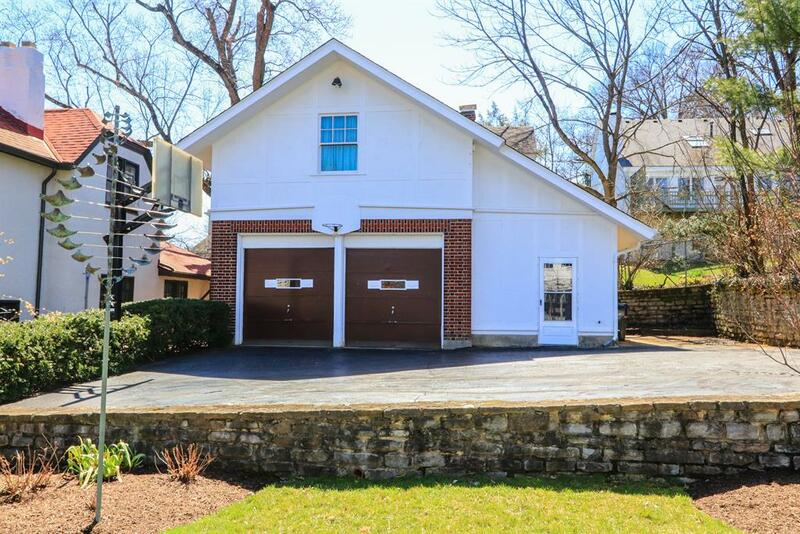 There’s also a 3-car garage. 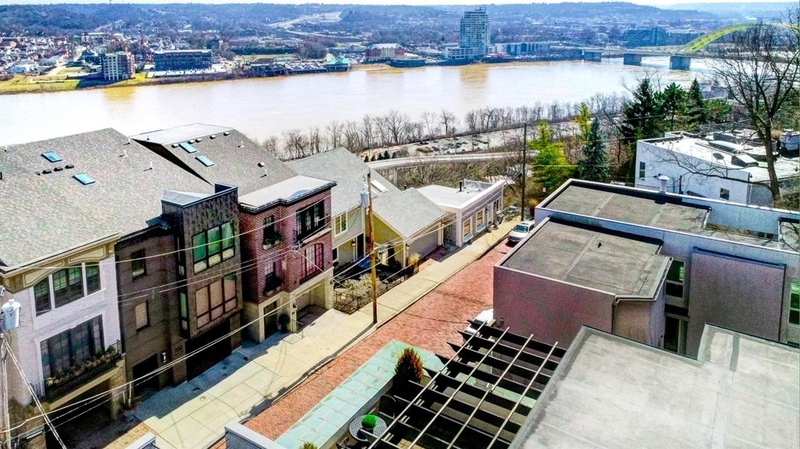 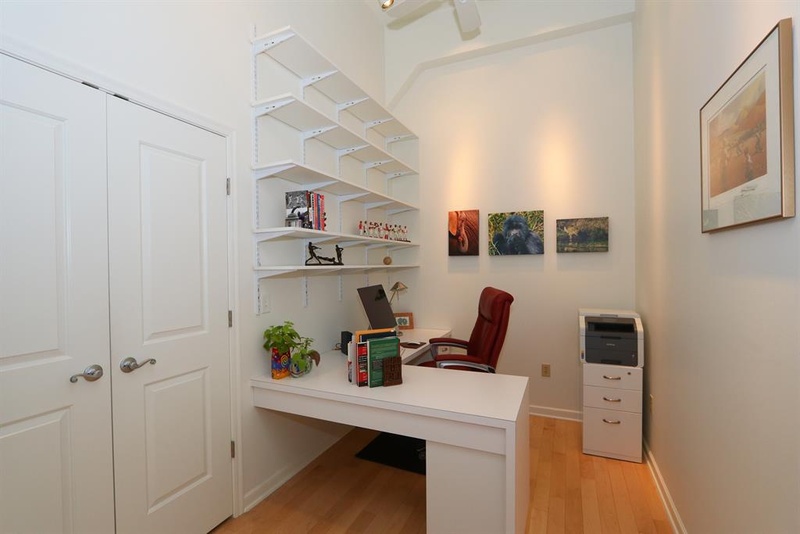 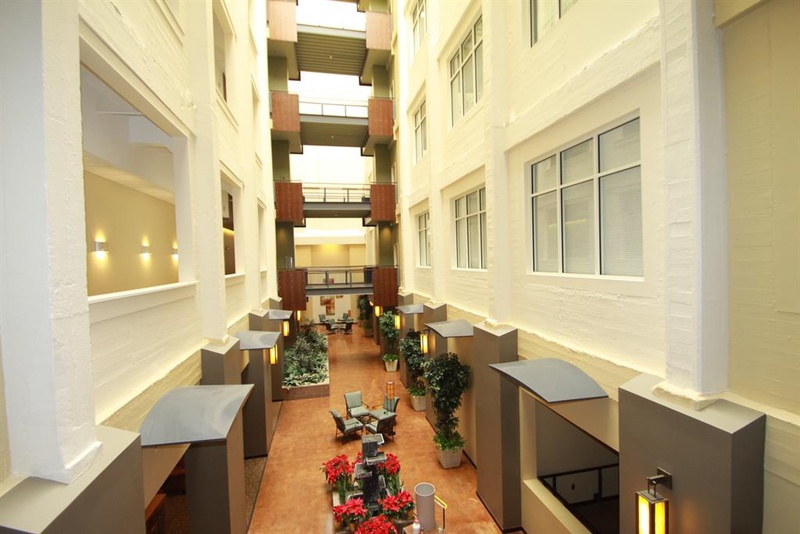 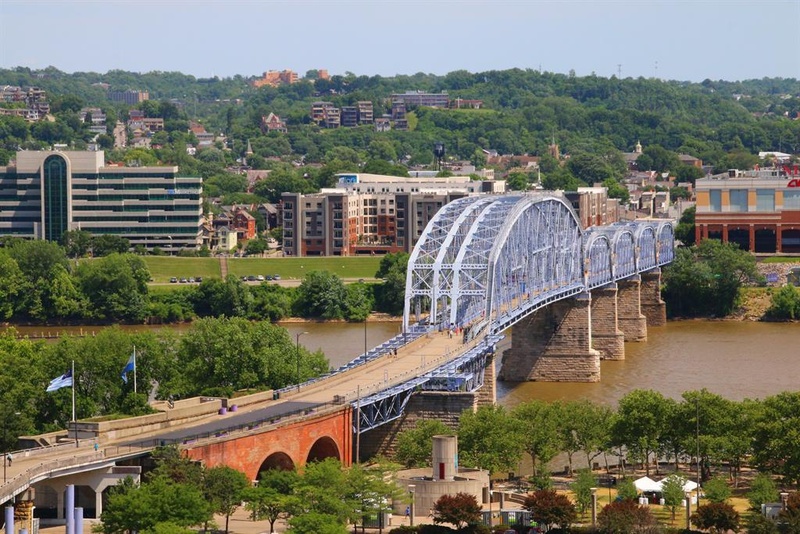 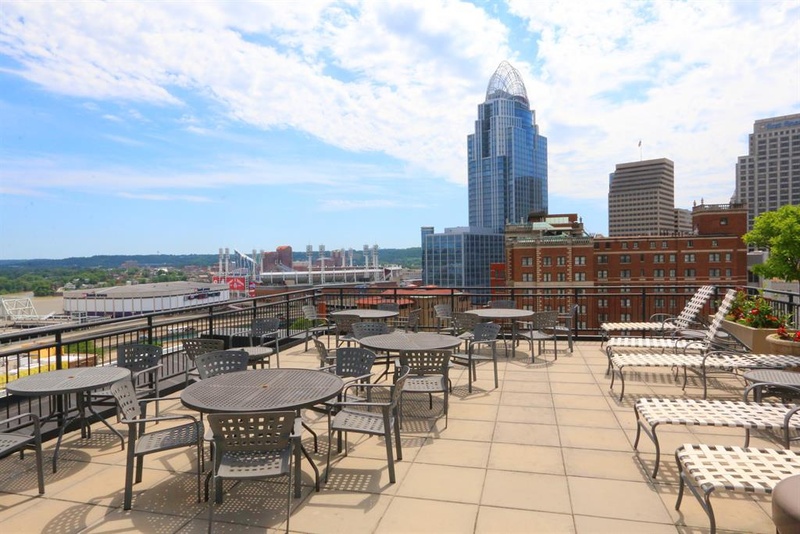 Location is also ideal as it’s near everything in Cincinnati. 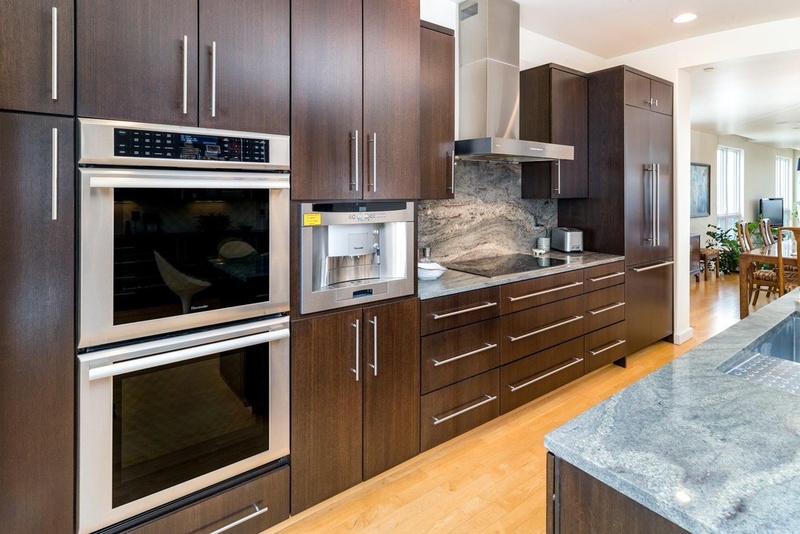 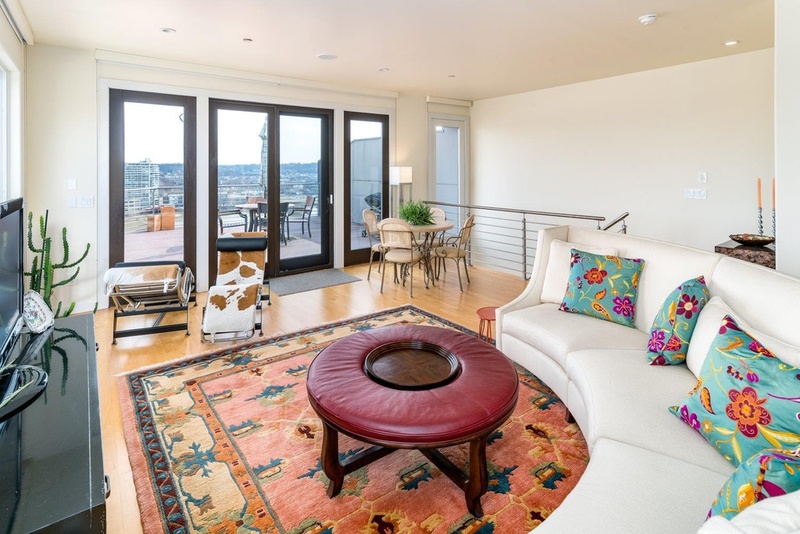 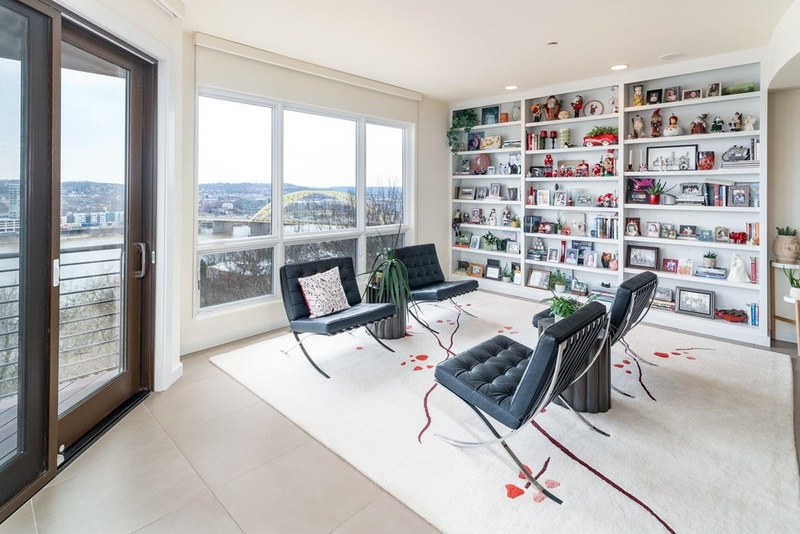 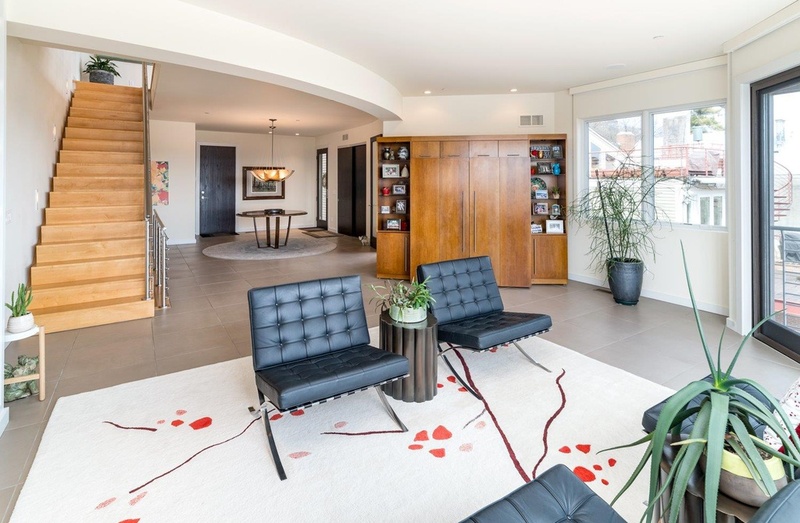 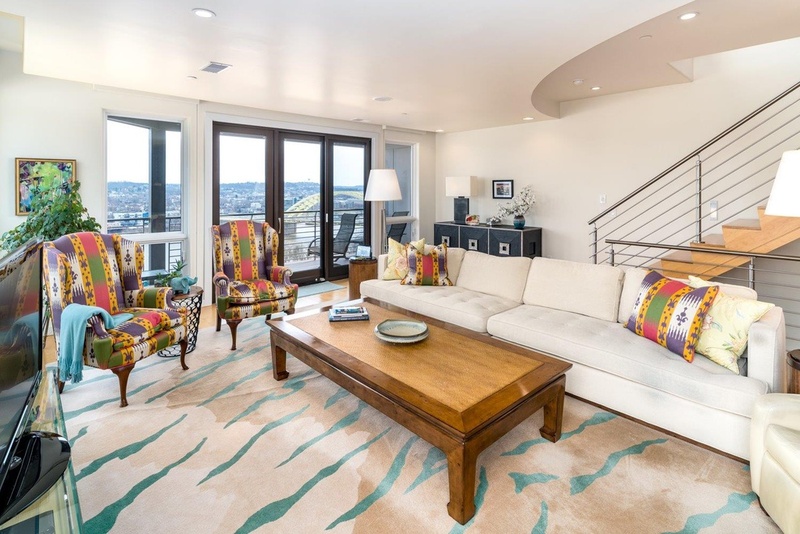 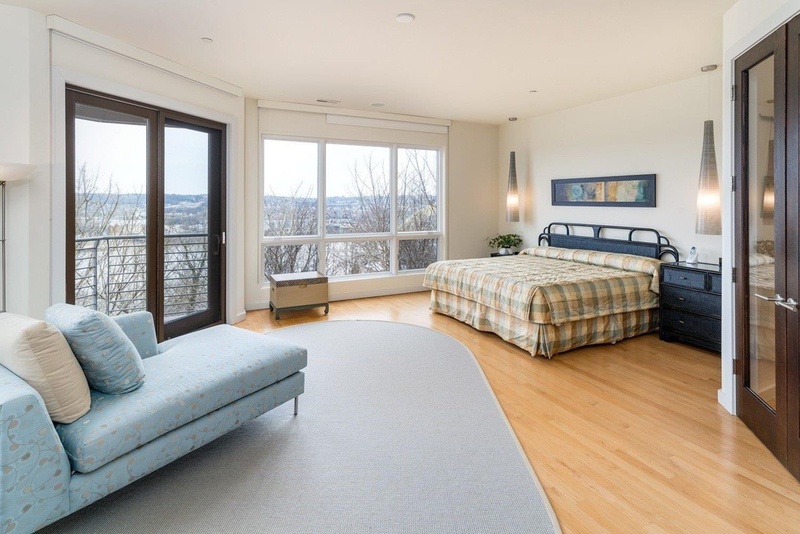 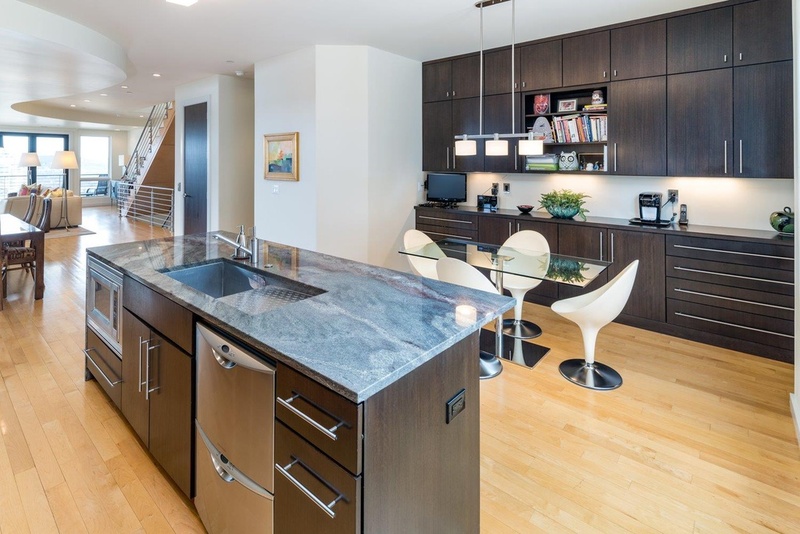 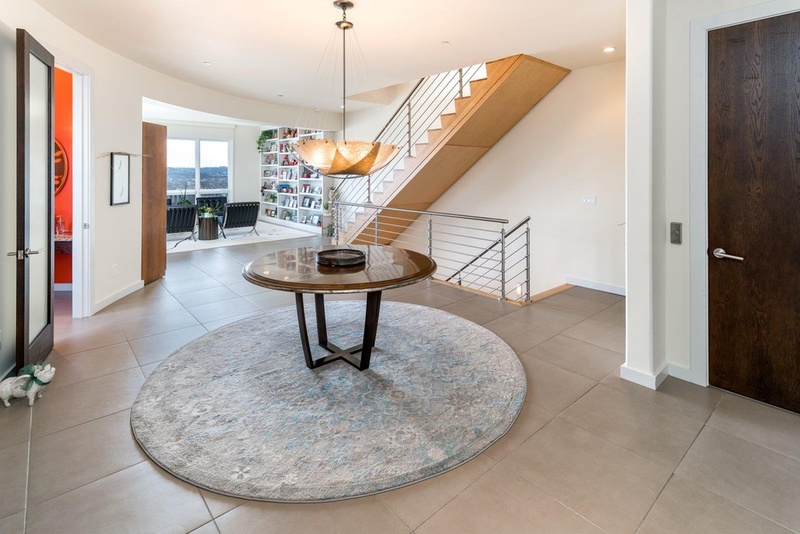 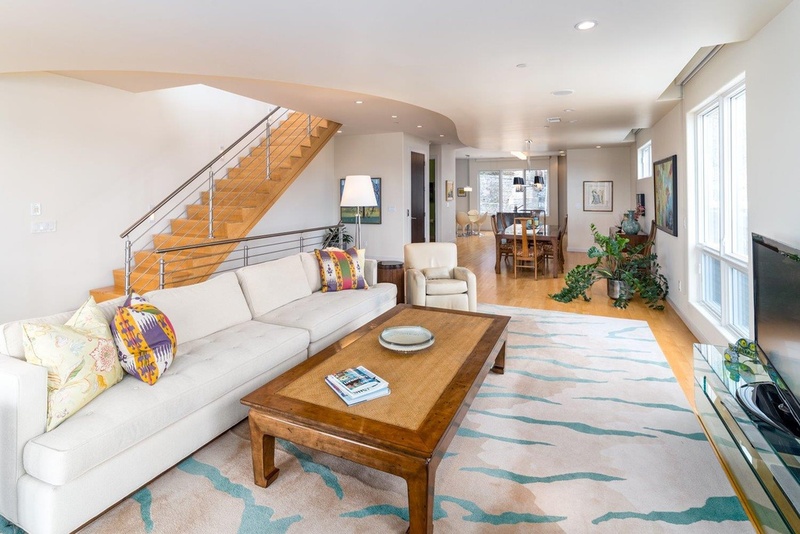 From modern finishes inside and panoramic city views outside, click for a sneak peek of downtown living at its finest in this week's Listing of the Week! 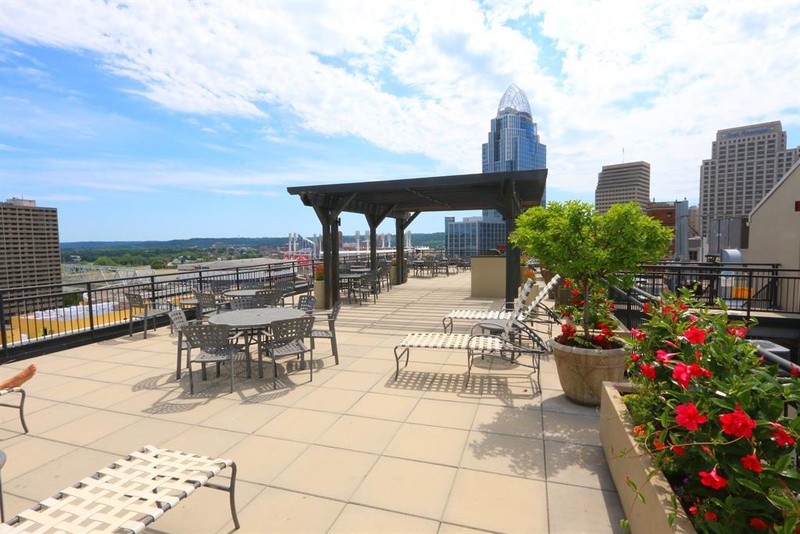 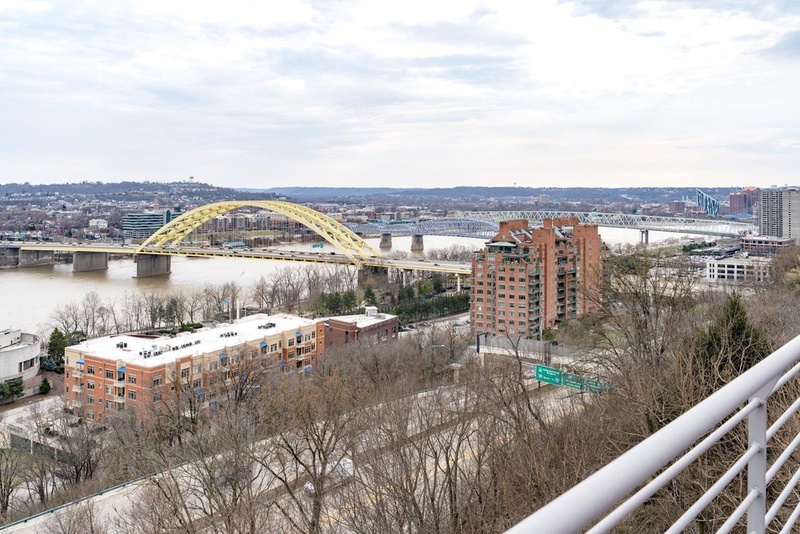 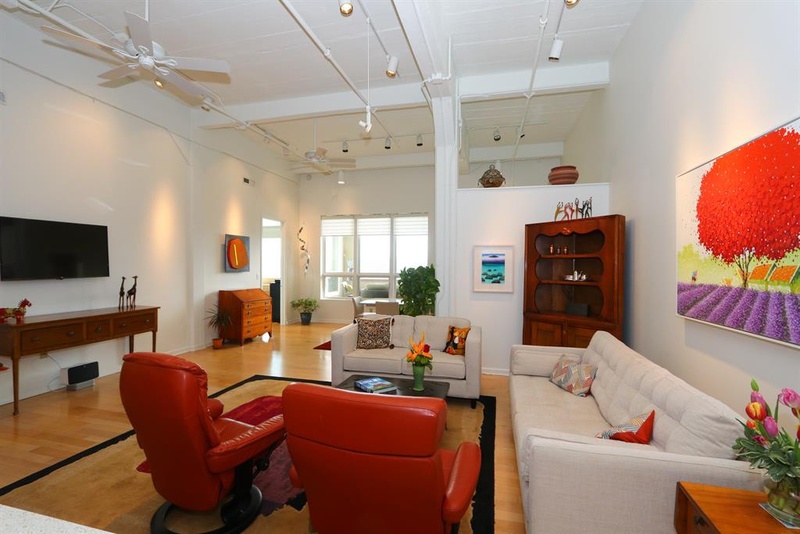 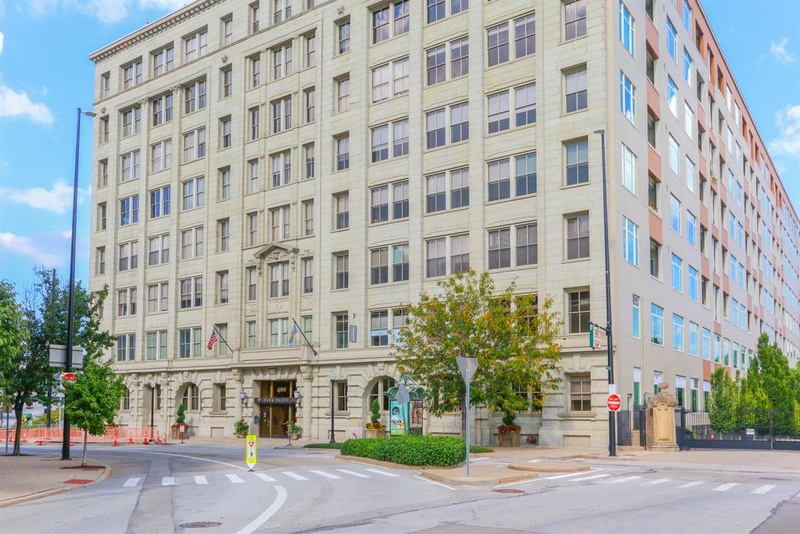 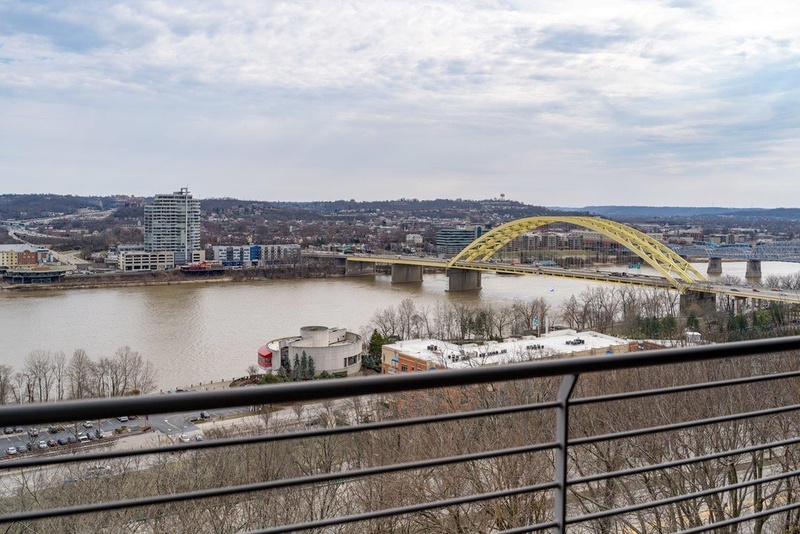 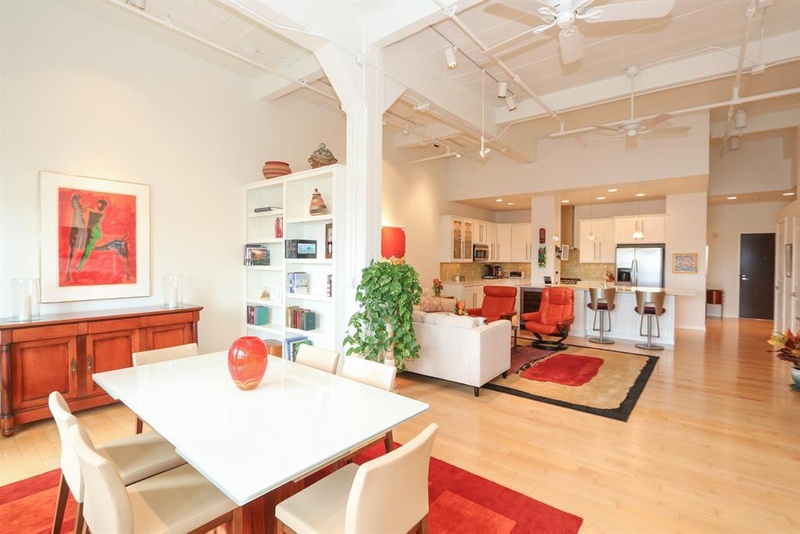 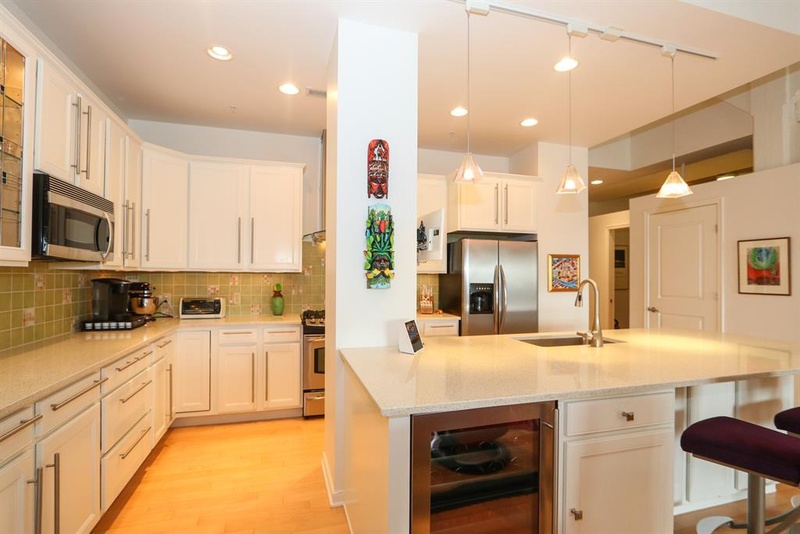 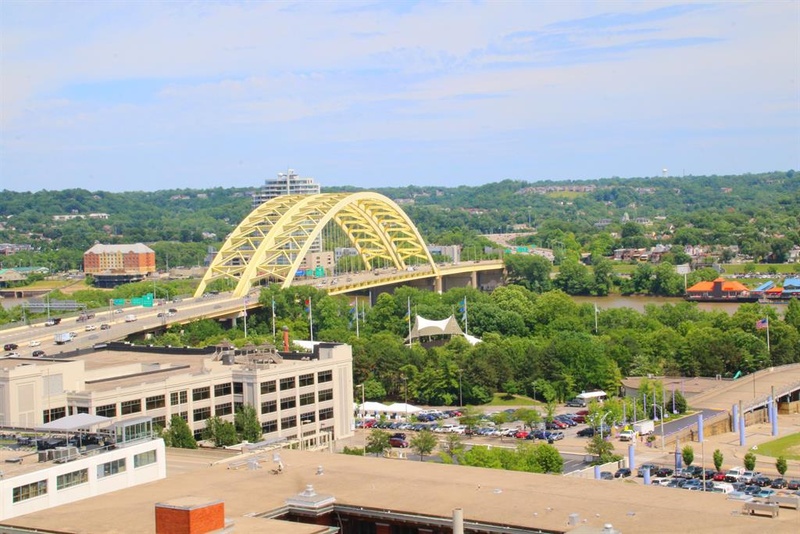 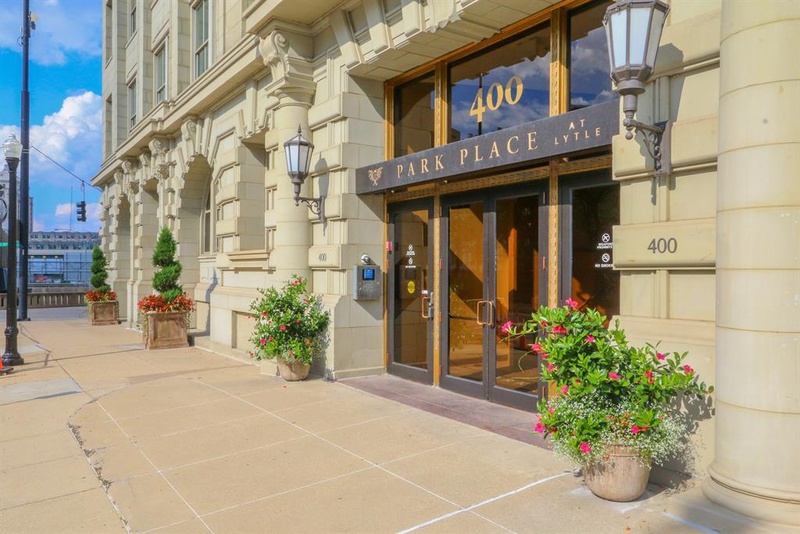 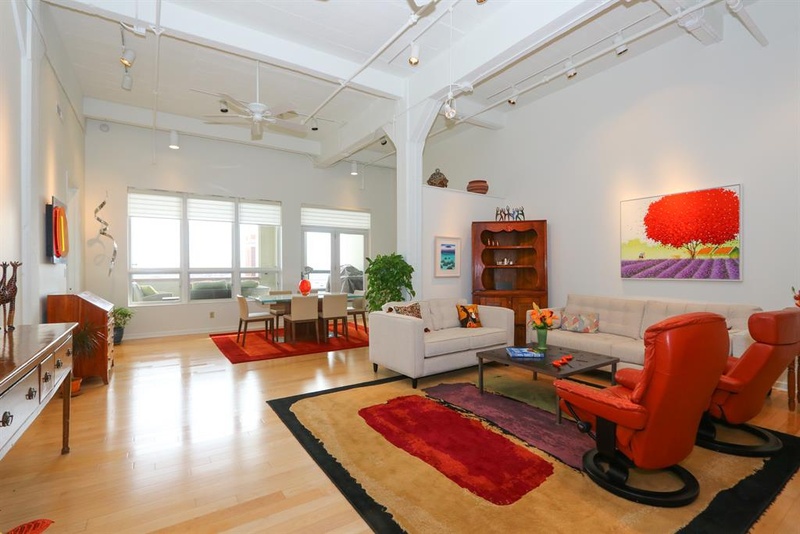 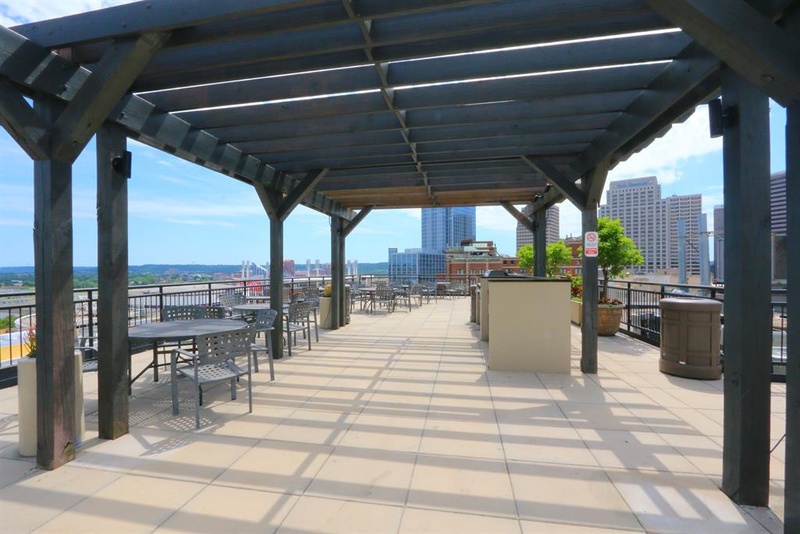 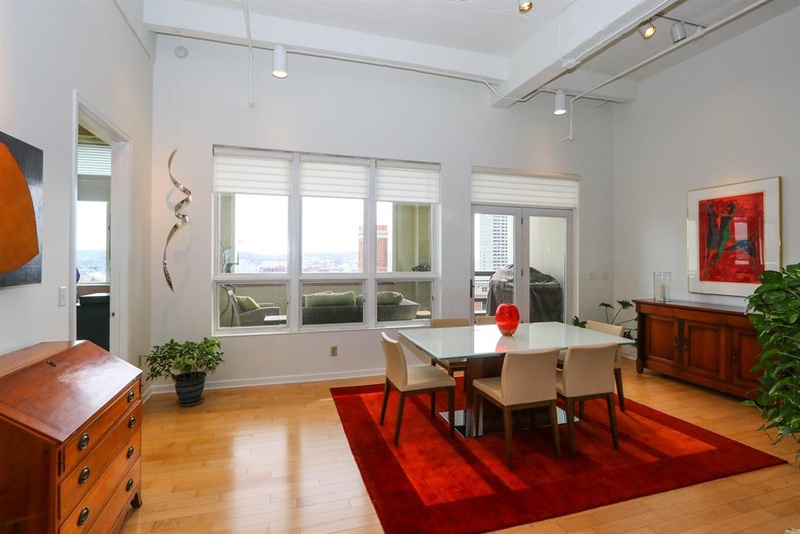 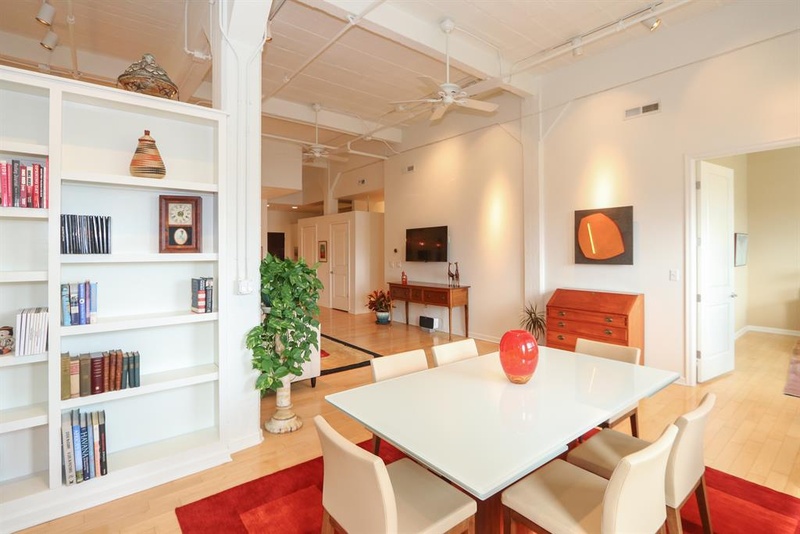 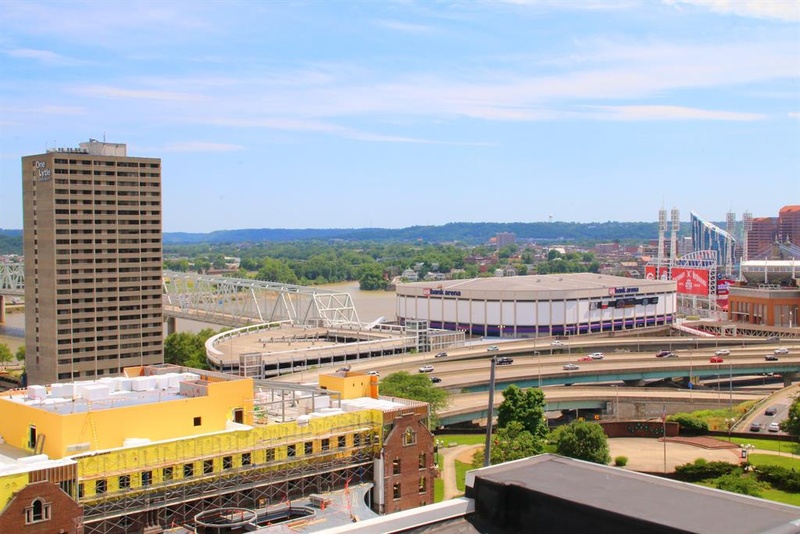 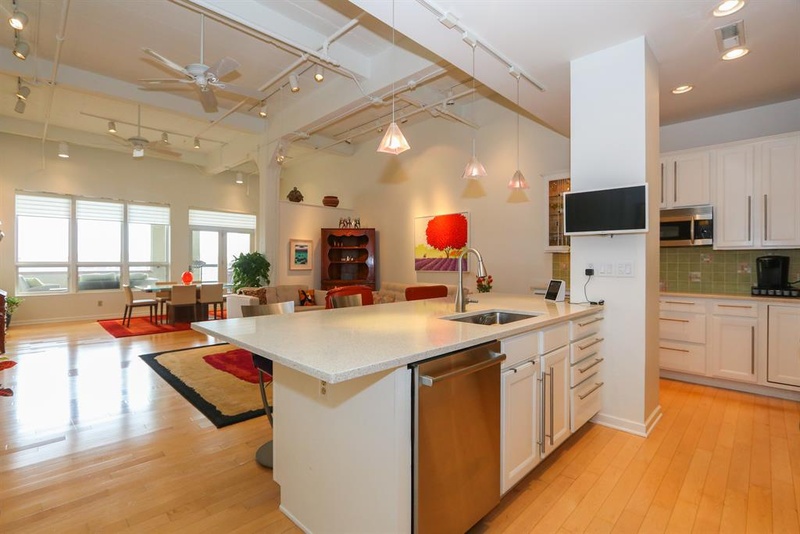 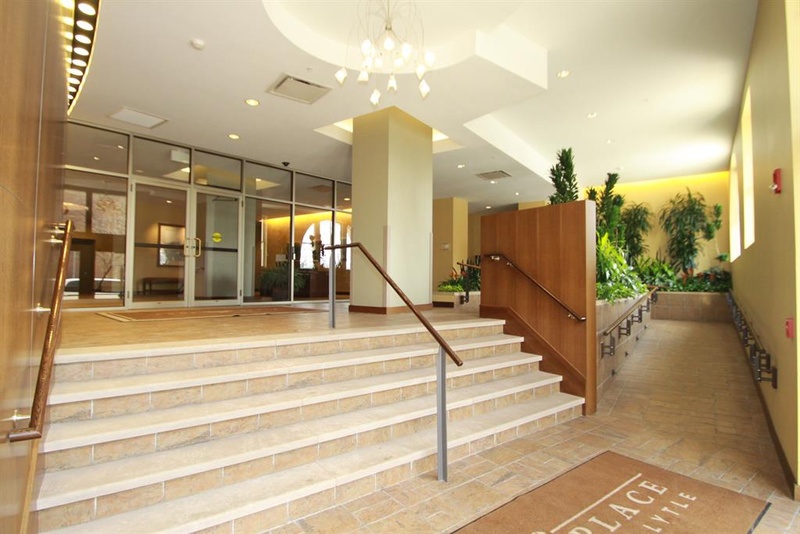 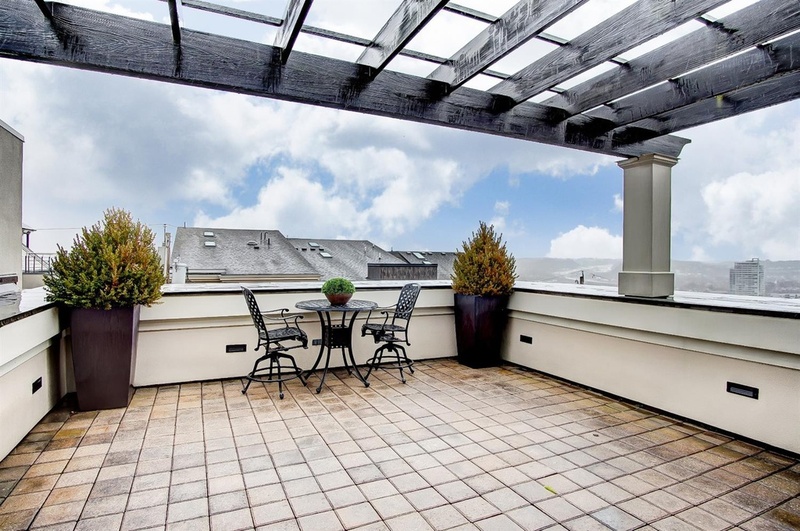 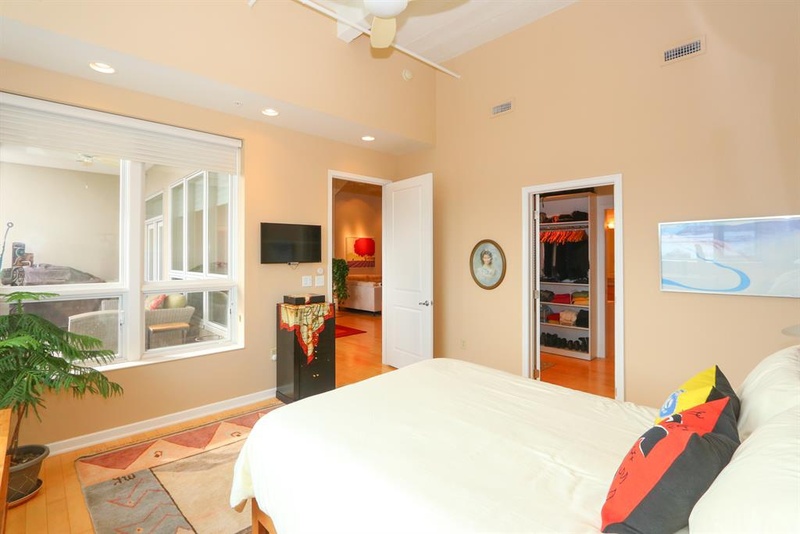 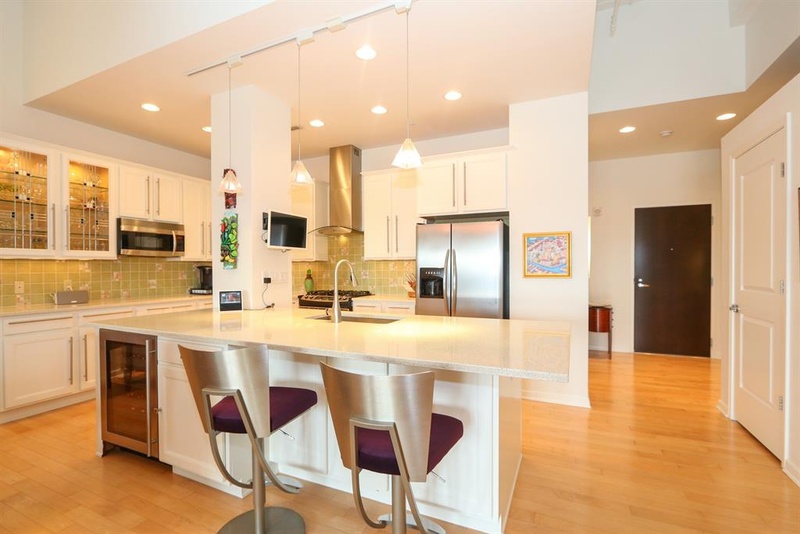 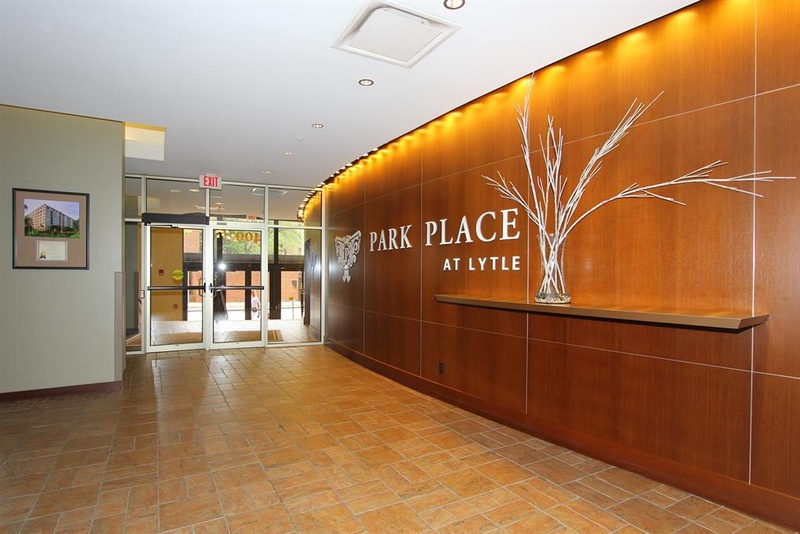 Listed at $660,000, this 2-bedroom, 2-bathroom condo in downtown Cincinnati features city living at its finest. 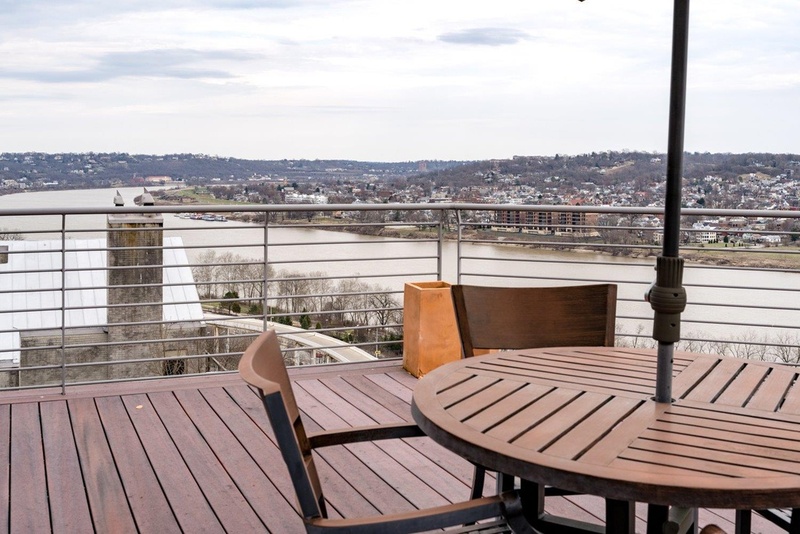 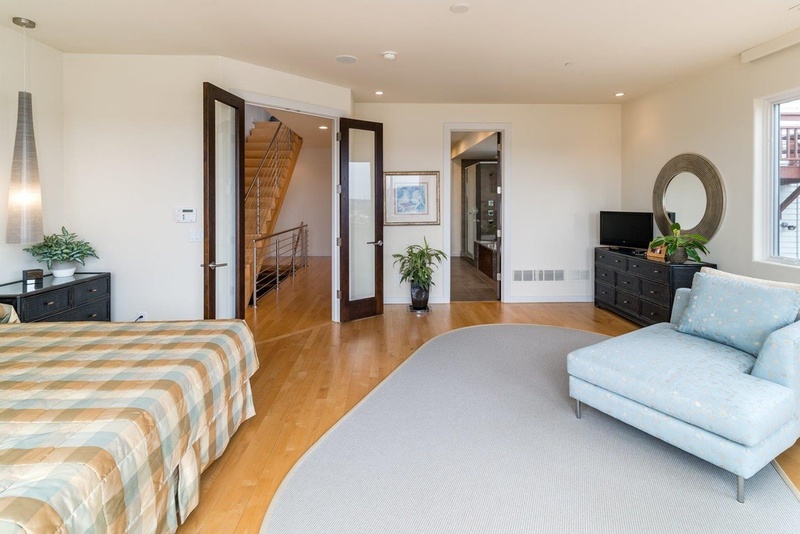 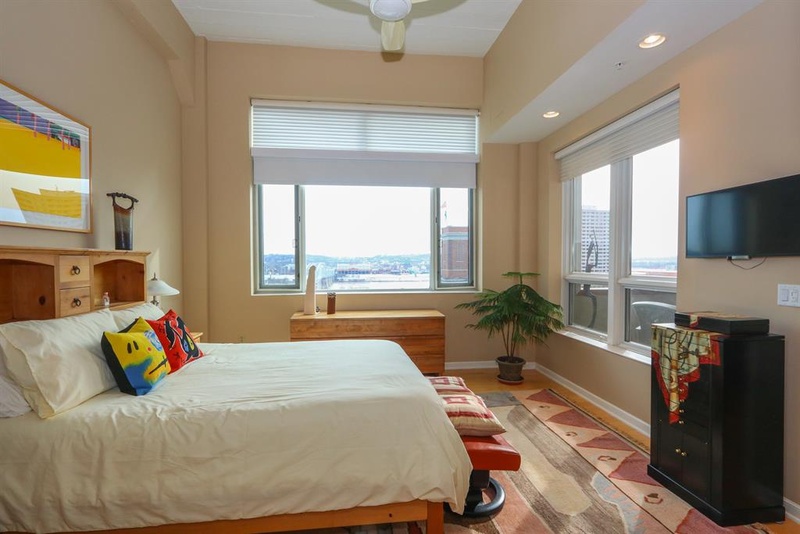 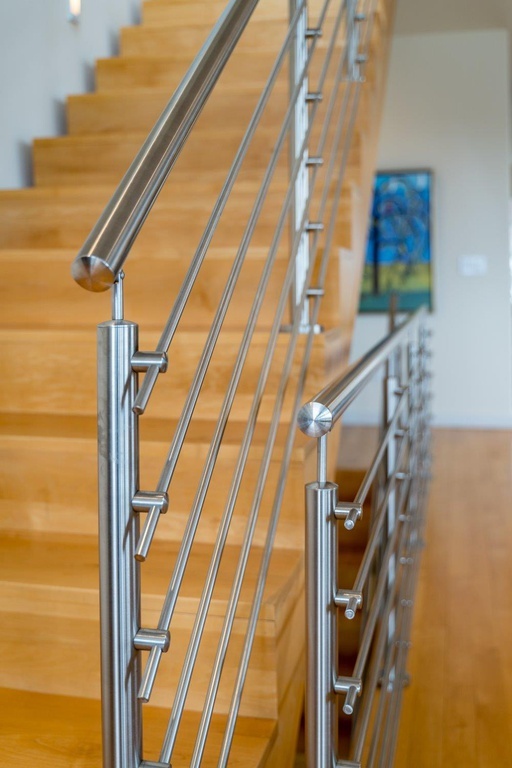 The 1,668-square-foot condo is contemporary and features a loft with a balcony and a river view. 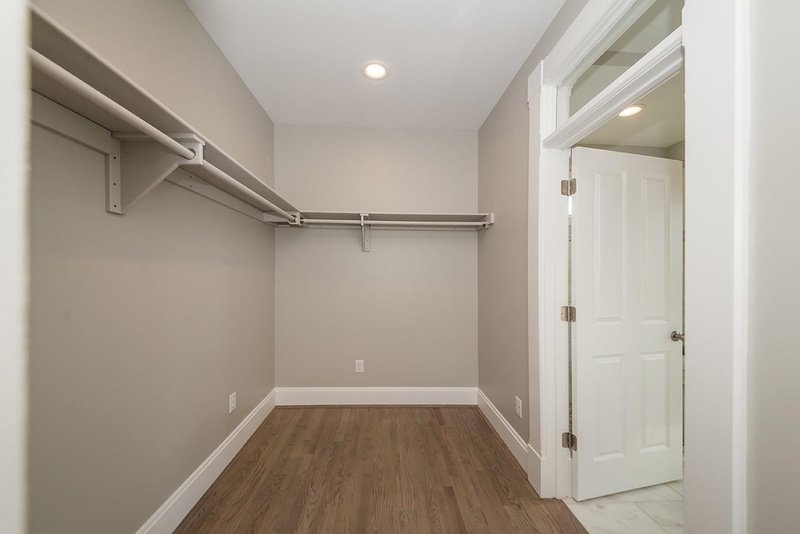 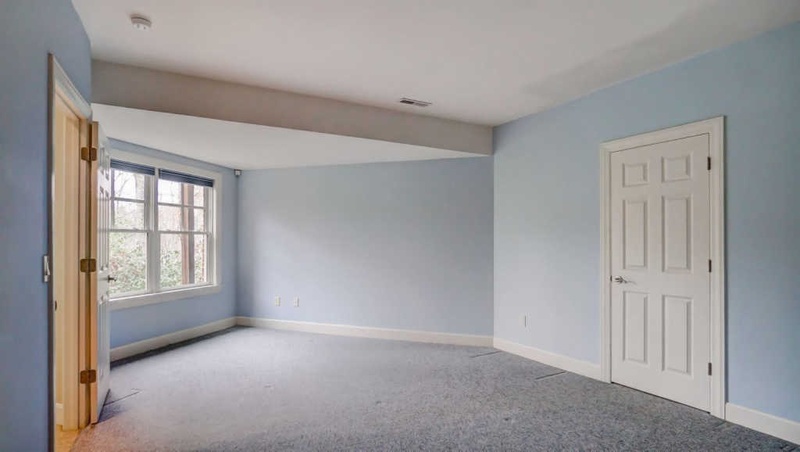 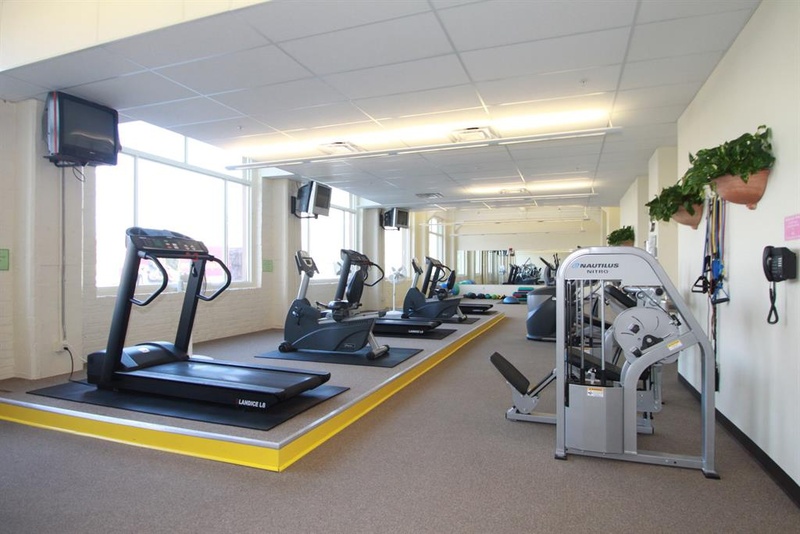 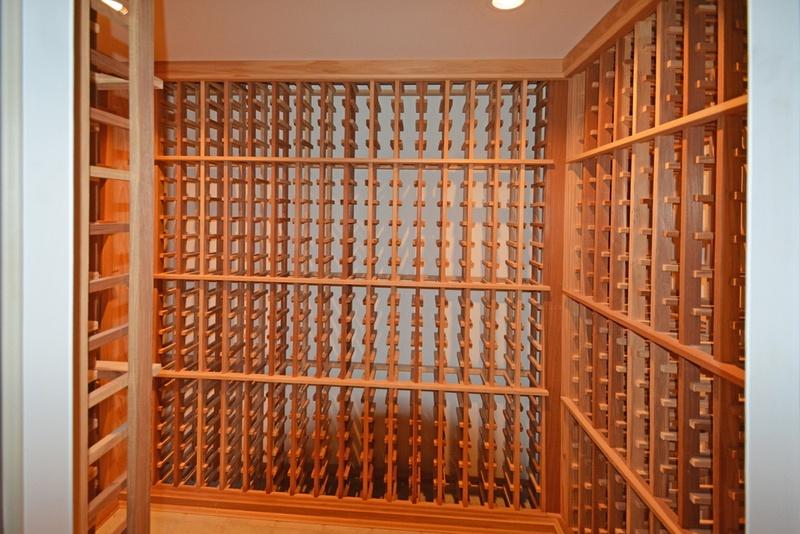 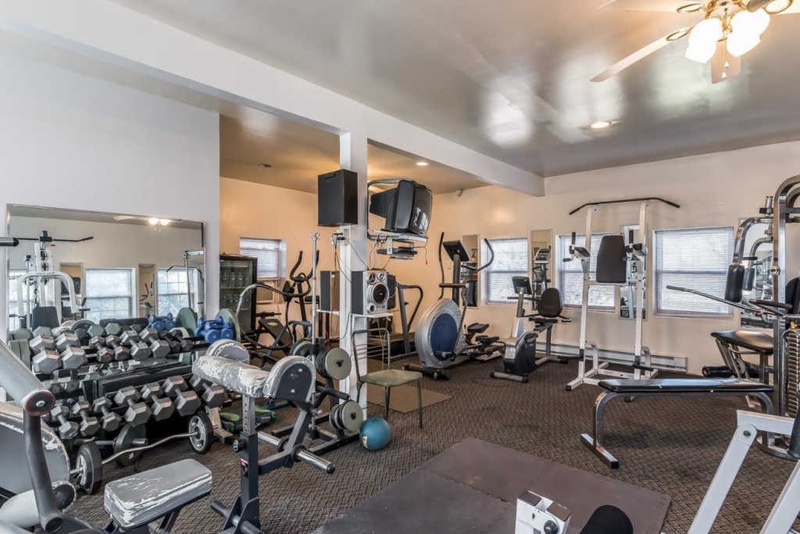 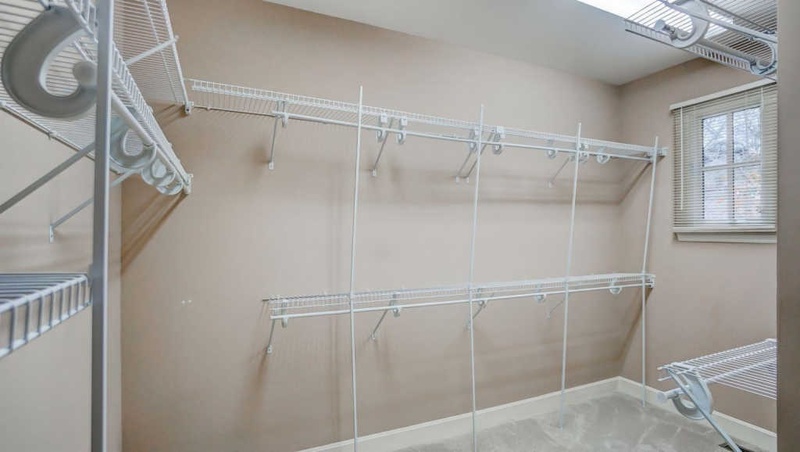 The condo comes with everything you need: parking, fitness center, party room, guest suites, storage, and neighbors. 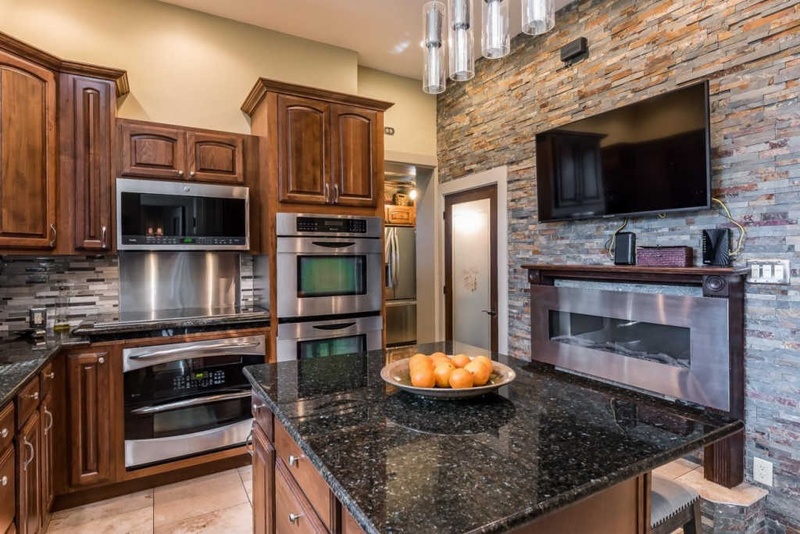 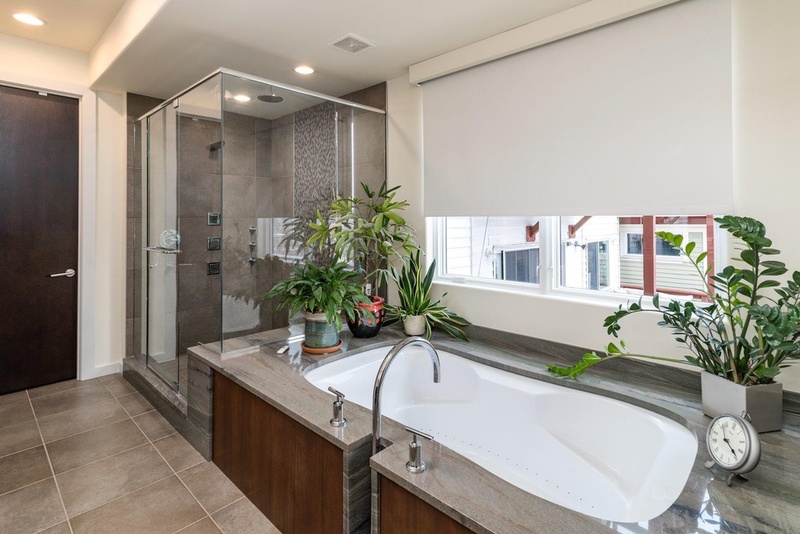 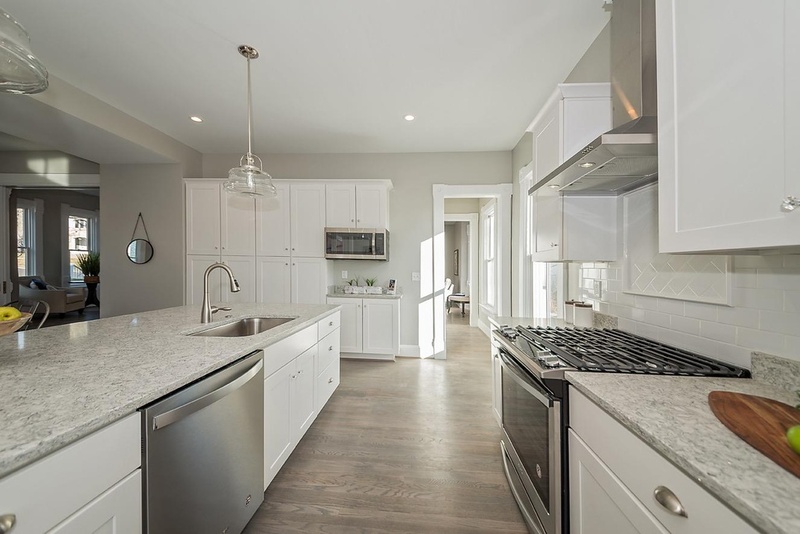 Improvements since 2016 include: tile backsplash, quartz countertops with added storage, a wine cooler, a Bosch 3-level dishwasher, power shades, ceiling fans, a large linen closet, and a new washer/dryer.